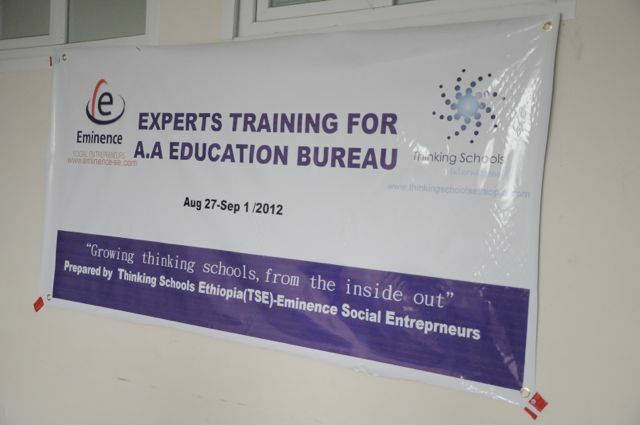 Eminence Social Entrepreneurs corridors were buzzing with the delighted sounds of enlightened education experts yesterday, March 8, 2012. 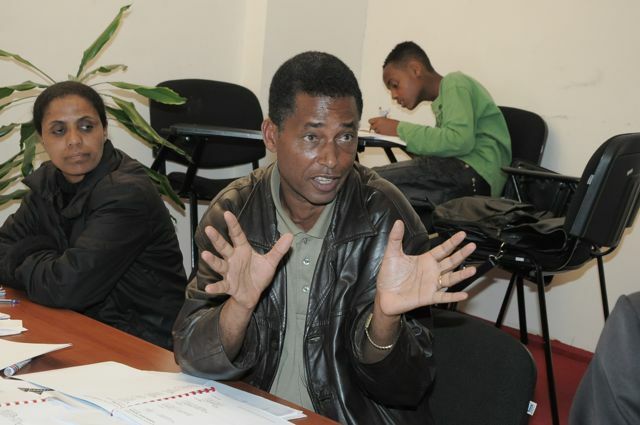 Except the handful that already had had opportunities to attend Thinking Schools workshops or training, what to expect was clearly vague to some. 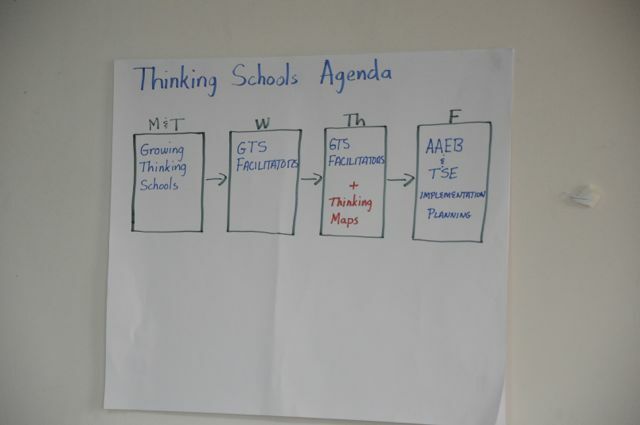 The introduction by Dr. Hyerle highlighted Thinking Schools mission and goals supported by demonstrated successes achieved across countries in which the program has been implemented. 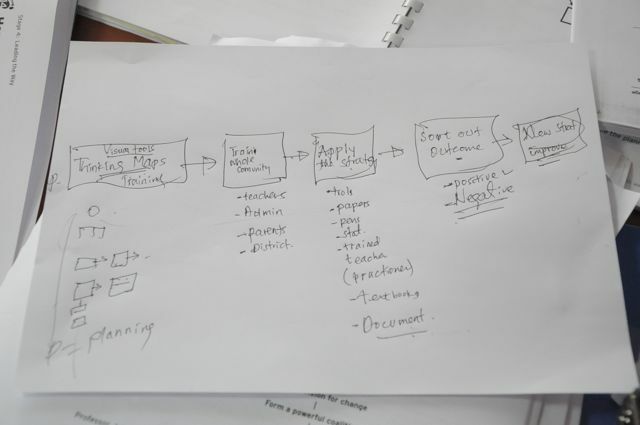 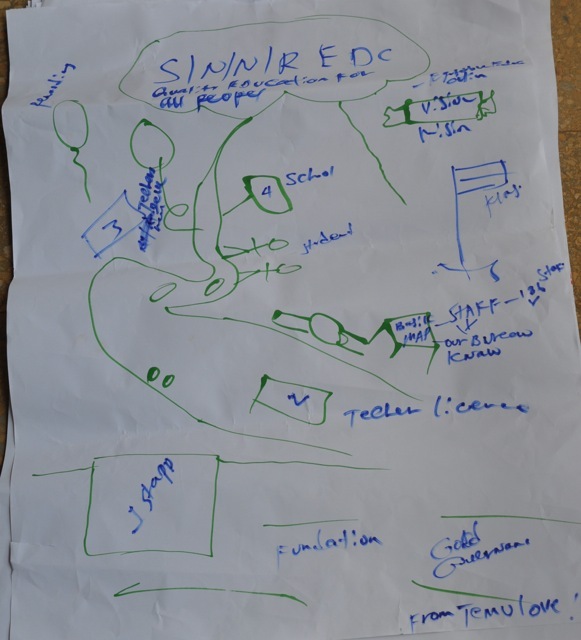 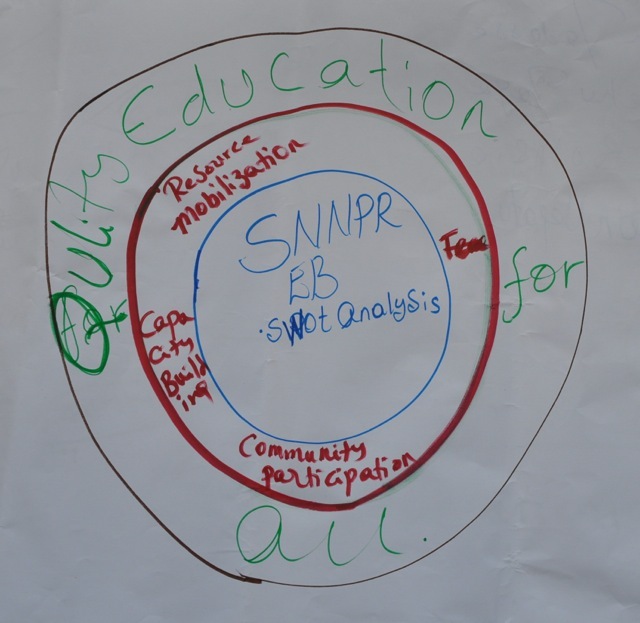 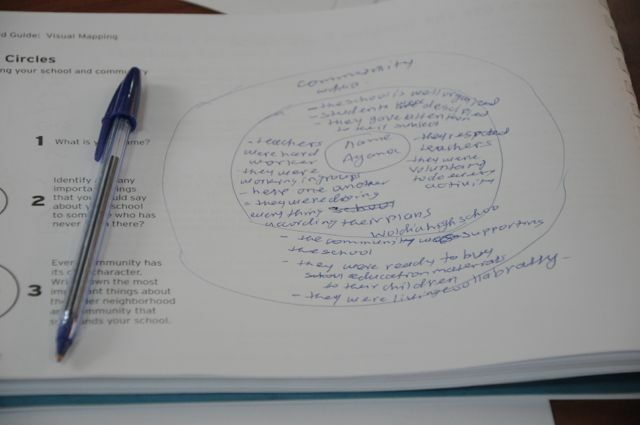 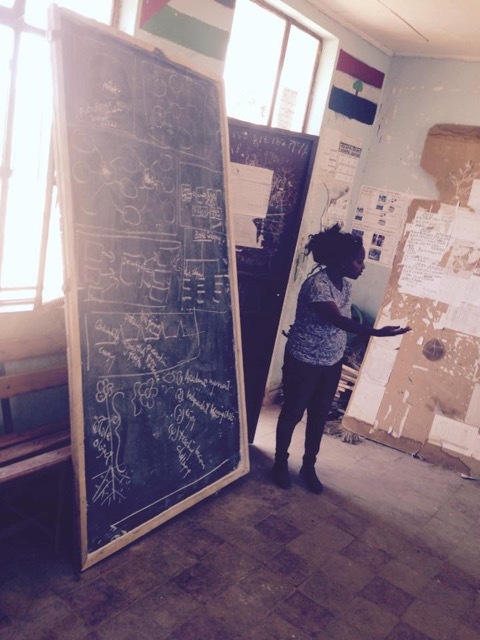 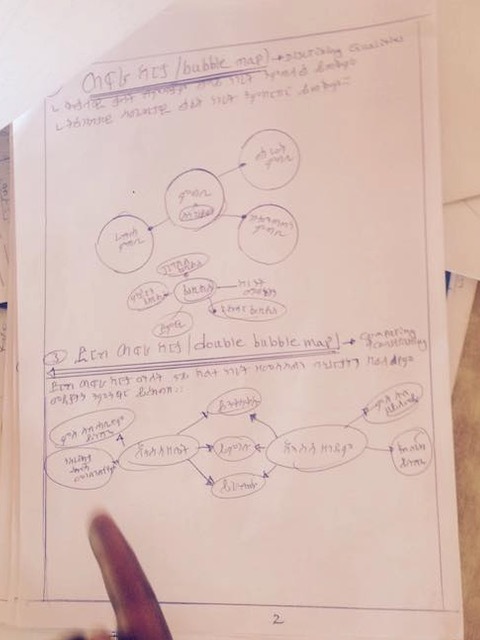 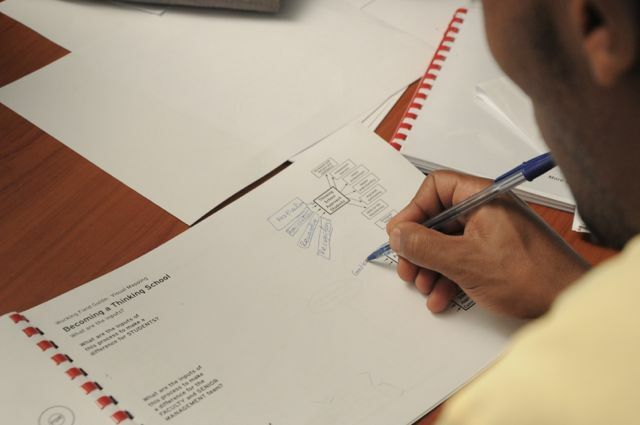 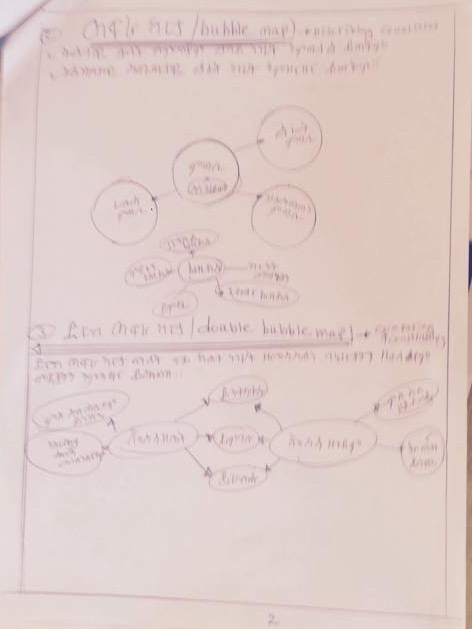 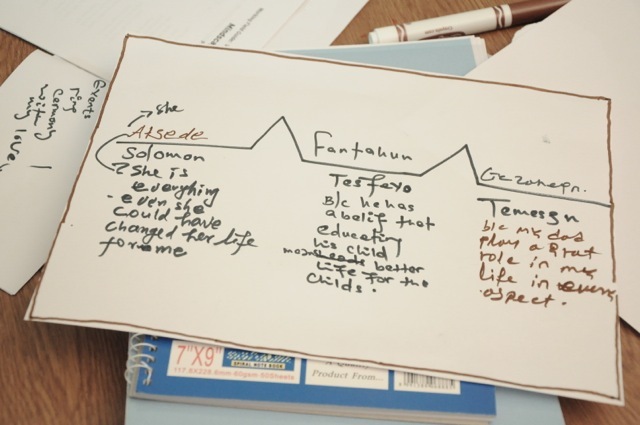 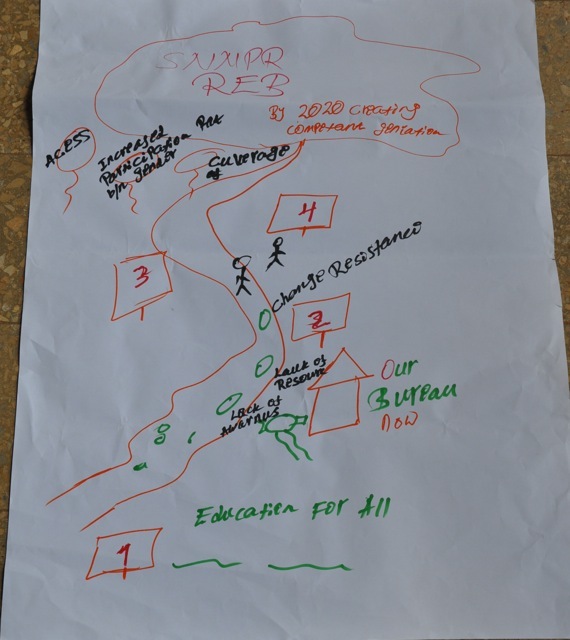 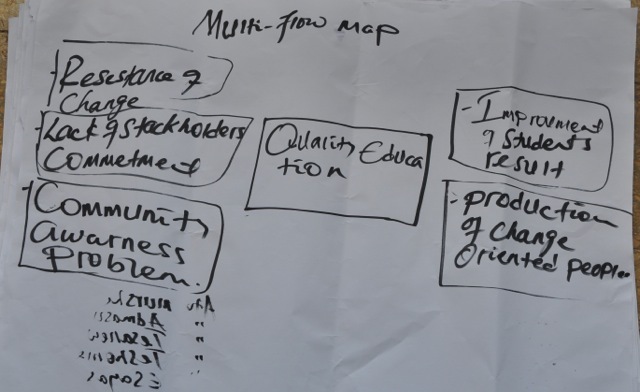 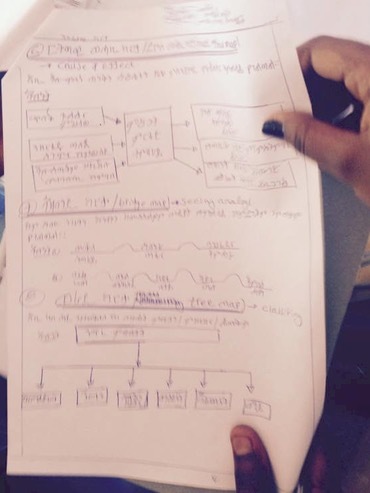 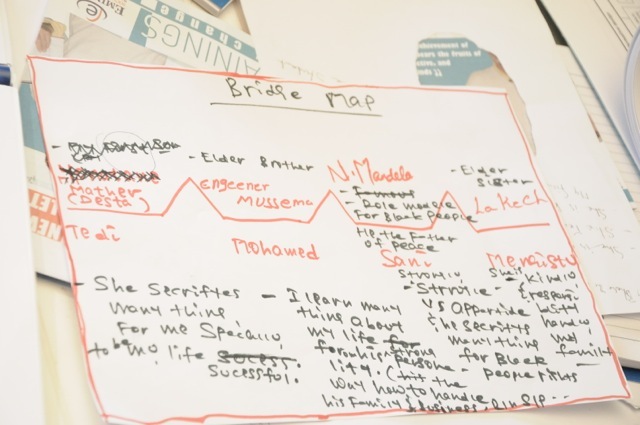 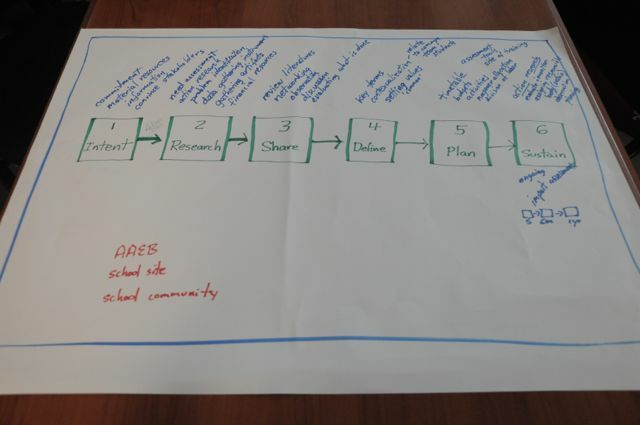 Thinking Maps concepts and practical application opportunities were also presented briefly through sharing examples of work done by students starting from Kindergarten right up to the advanced Sciences and even tertiary level education. 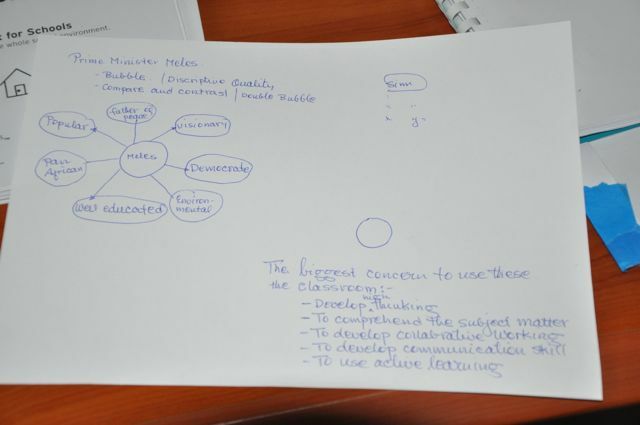 Moreover, the presentation revisited information accessibility and utility while reflecting on how that factor affects teacher-student relations in contexts where the latter sustain traditional educating systems. 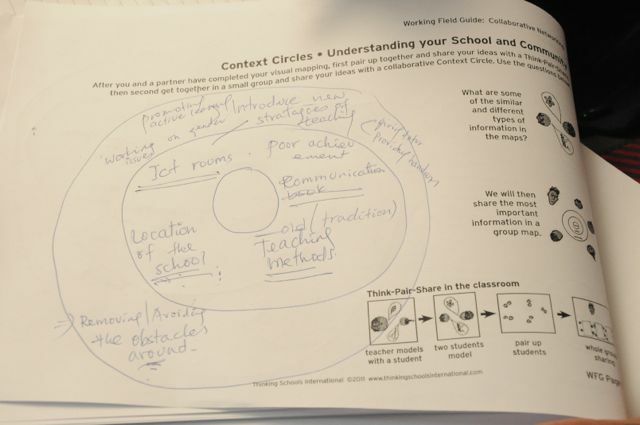 This would mean that, teachers and educators in general would have to remember, acknowledge and accept that students have seemingly infinite sources of information at their disposal. 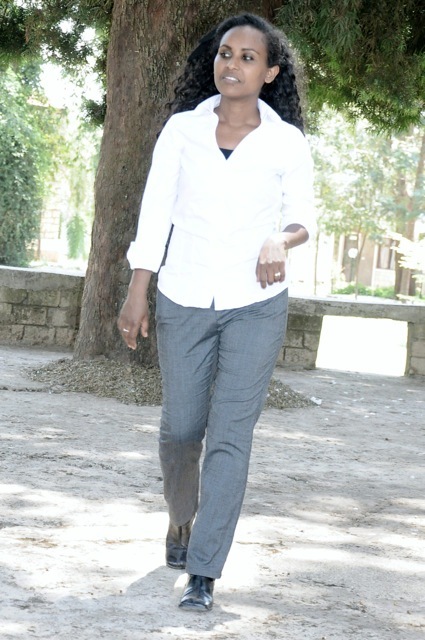 Hence instead of seeing that as a threat, use it to their advantage so as not to stifle student quest for learning and earning knowledge. 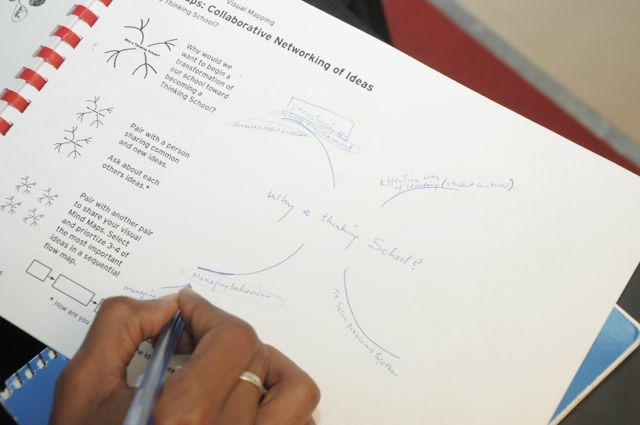 In seeking to move away from traditional methods of learning—most notably, the lecture oriented, one way learning—Thinking Schools advocates for creating better thinkers, problem solvers, and much more. 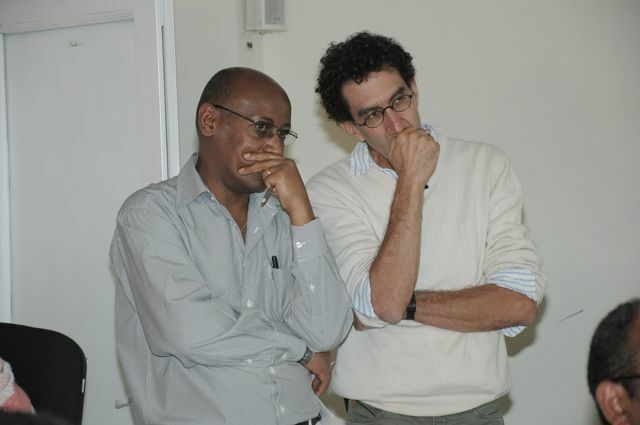 Rather appealing for Ethiopia considering, Dr. Hyerle had started off his discussion by sharing the infrastructural transformation he had seen upon his arrival to Ethiopia. 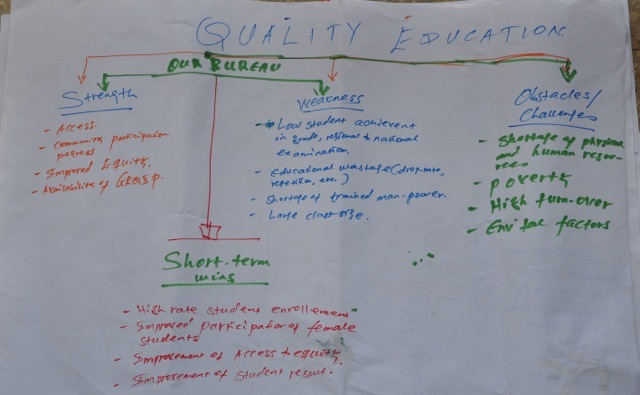 In linking this transformation with the country, Dr. Hyerle brought focus on the Thinking Schools International ‘more than training…we transform’ approach which left the participants analyzing those capacities in human skill development. 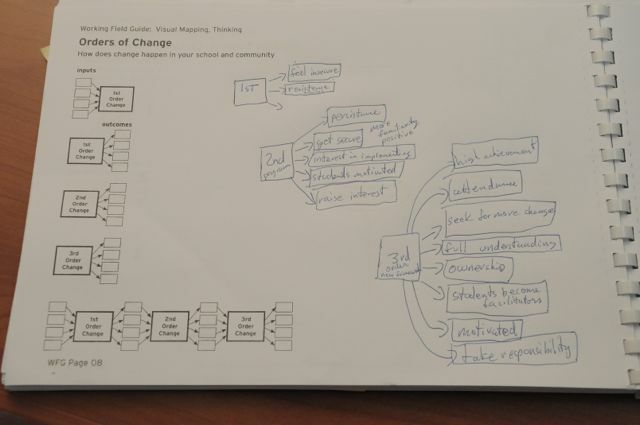 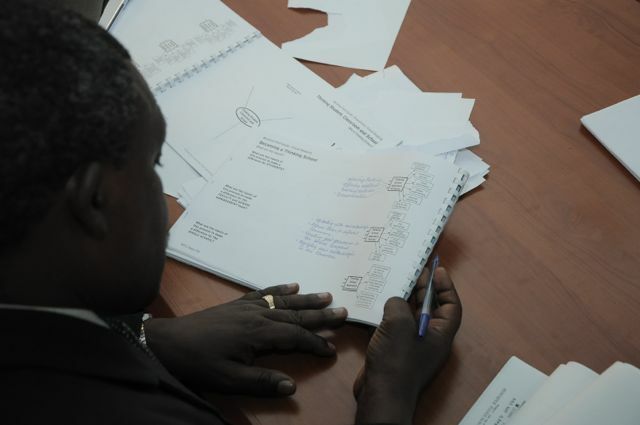 Aside from just looking into the functionalities of a whole school system, documentation was another fundamental point that Dr. Hyerle raised. 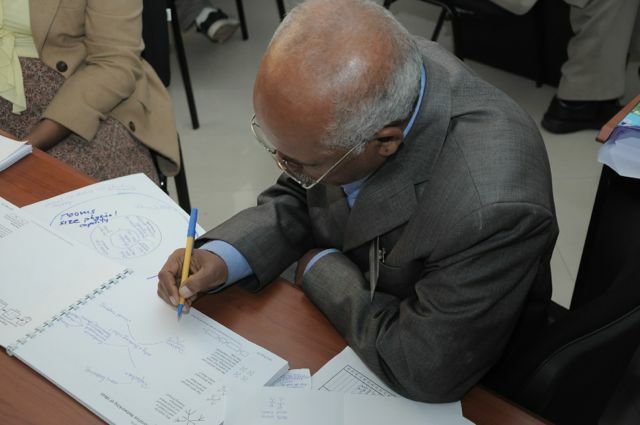 In this he noted that, the bi-directional experience sharing mode that TSI has used internationally would be used within TSE. 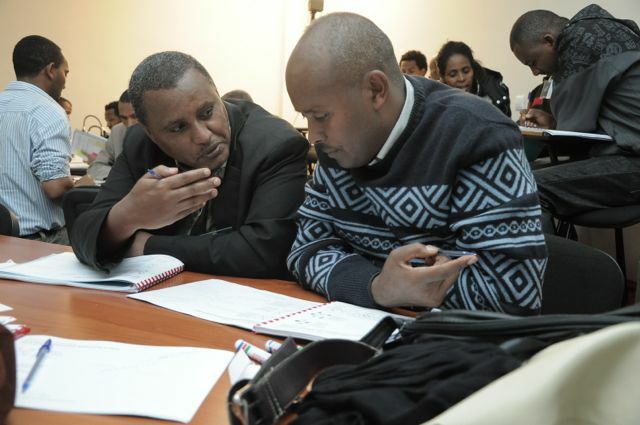 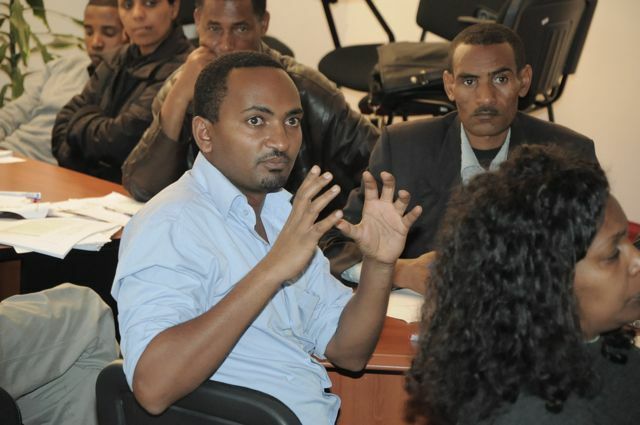 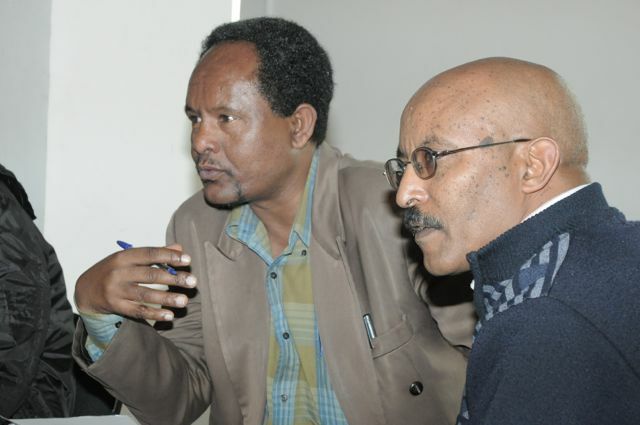 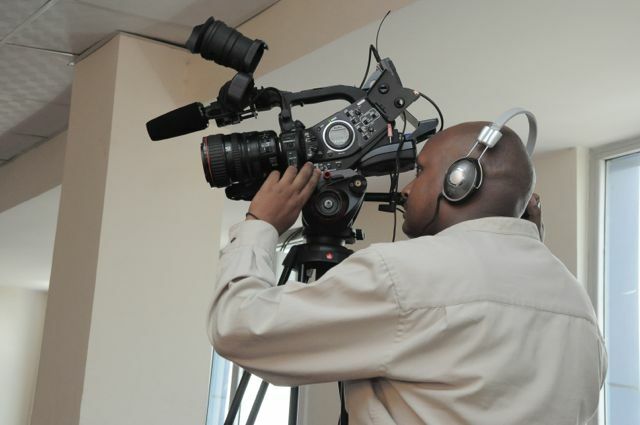 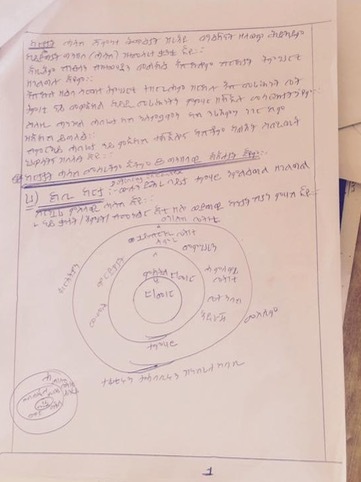 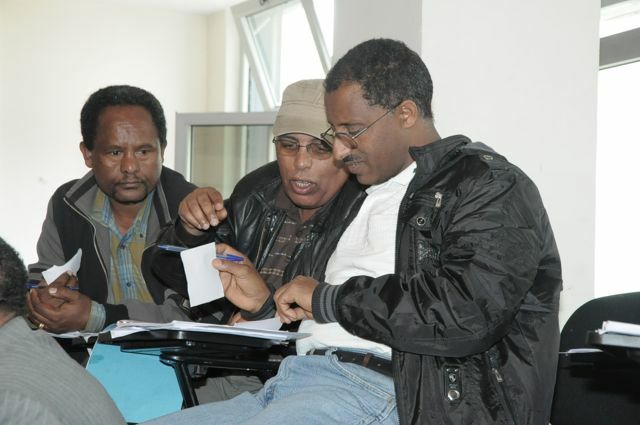 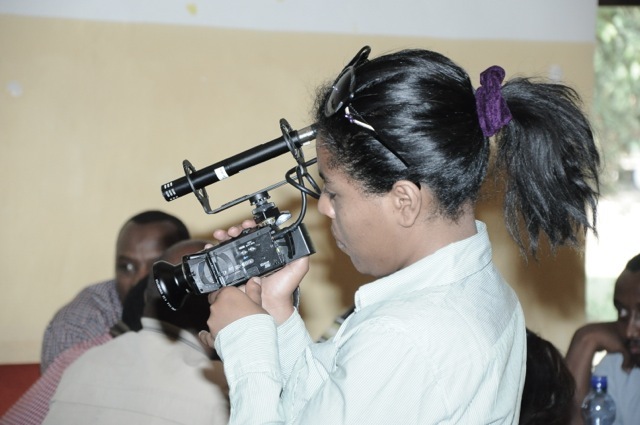 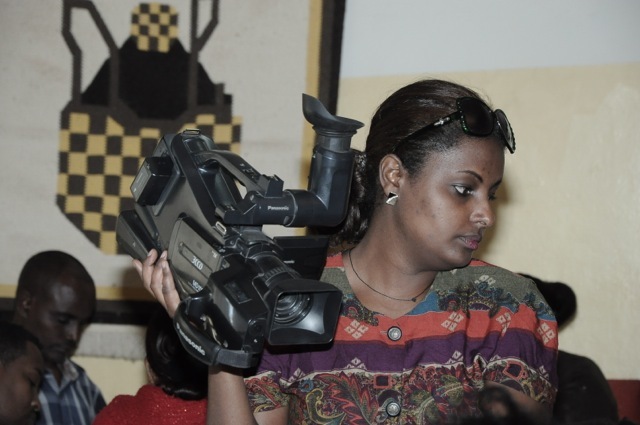 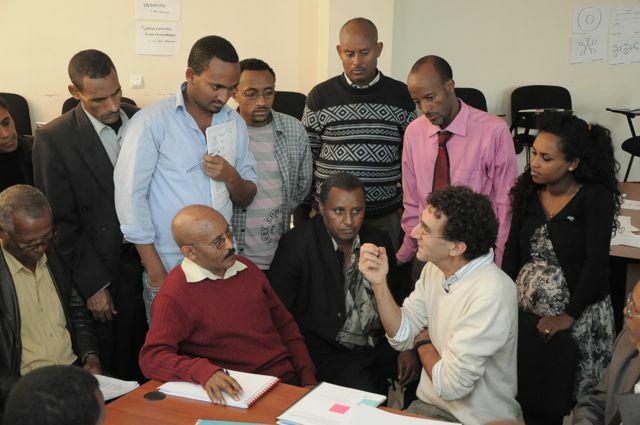 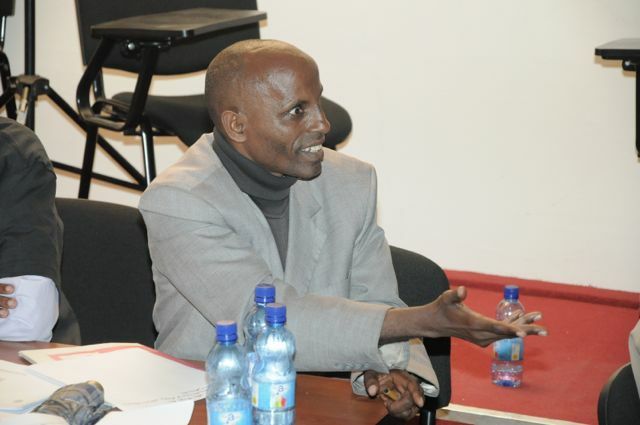 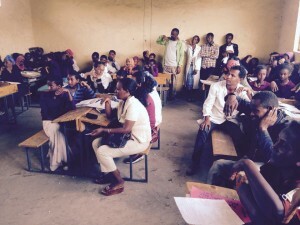 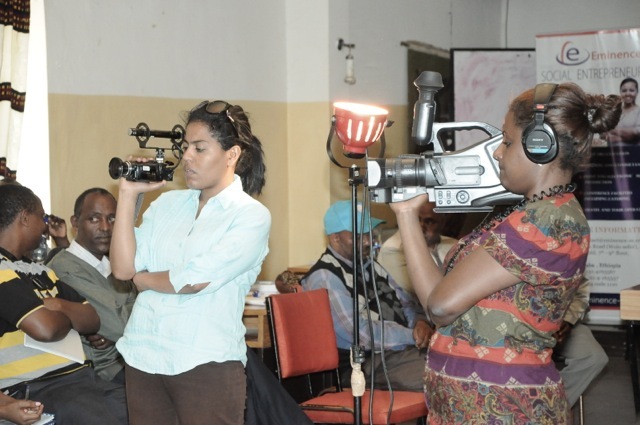 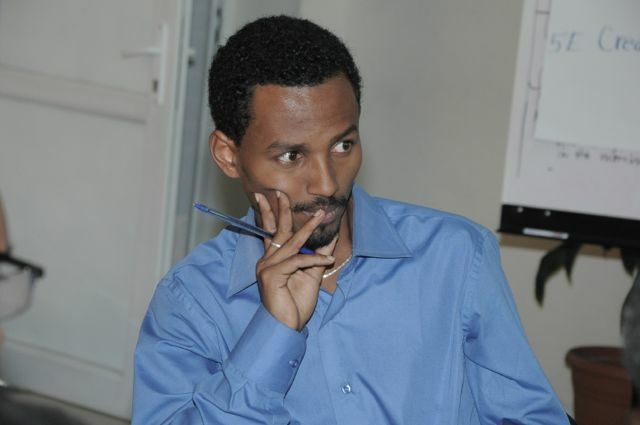 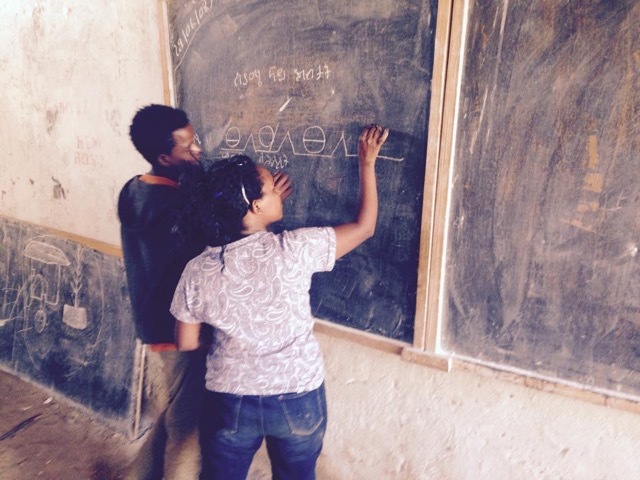 Accordingly, videos and other documentation would be used to reach teachers in all corners of Ethiopia—an approach he mentioned has greatly encouraged and enriched teachers and learners. 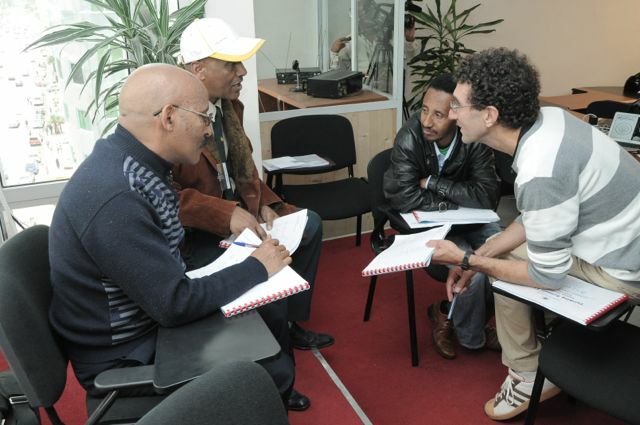 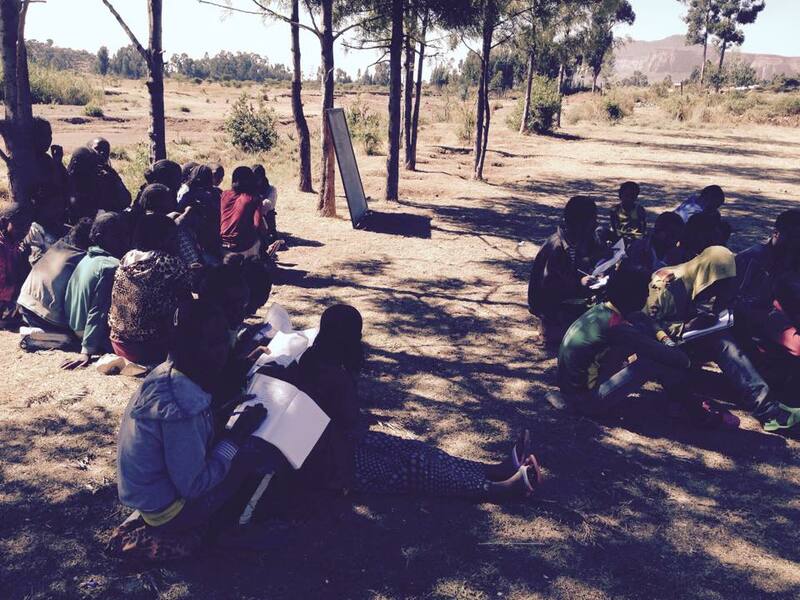 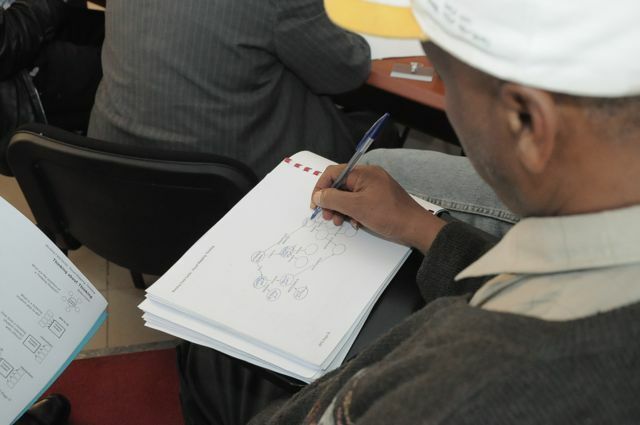 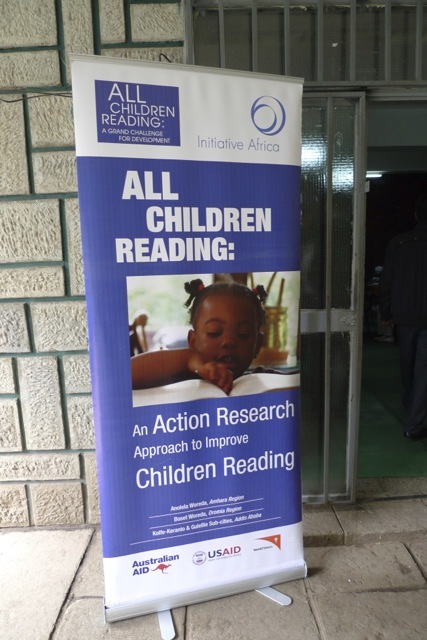 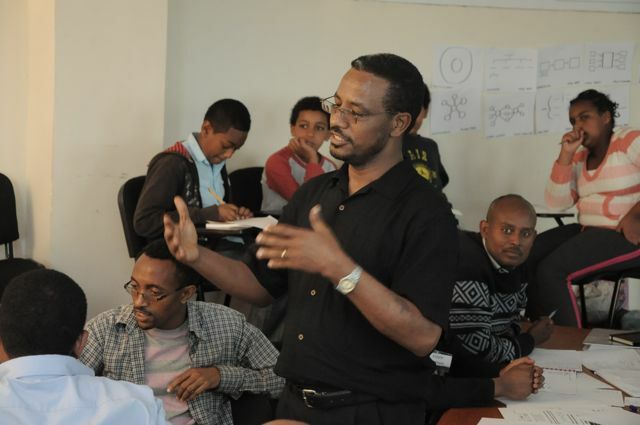 For instance, imagine documentation going from successful Ethiopian classrooms as training materials in South Africa or Malaysia. 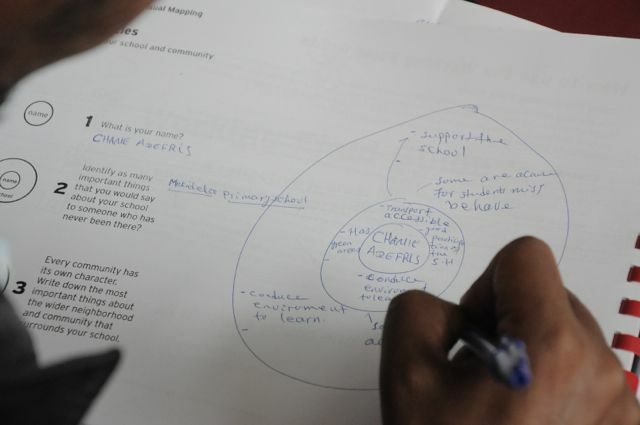 Dr. Hyerle also noted that Thinking Schools and Maps are not limited to the schooling system but rather have been applied in big corporations around the world. 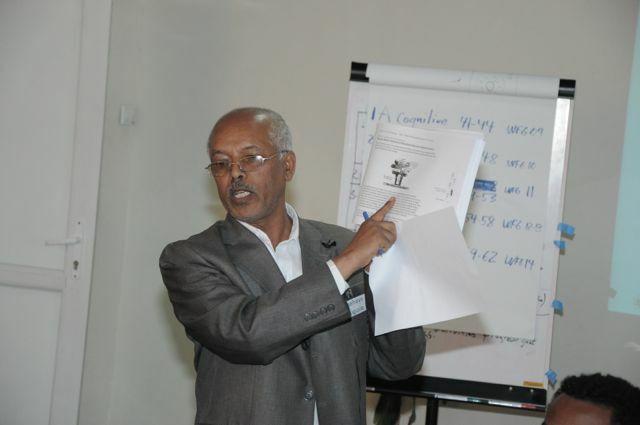 Ato Bereket presented Thinking Schools Ethiopia (TSE) past achievements, present status (2009-2011) as well as future prospects. 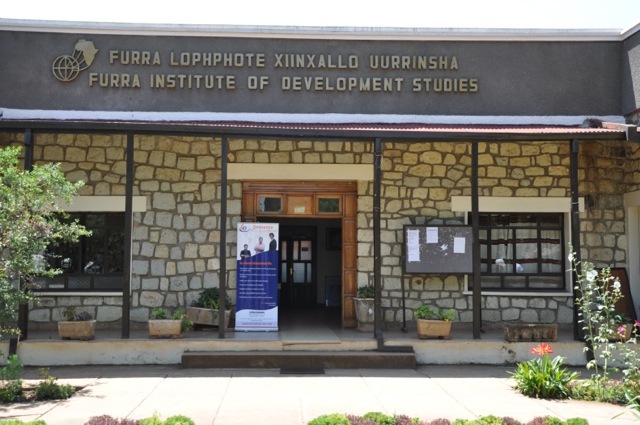 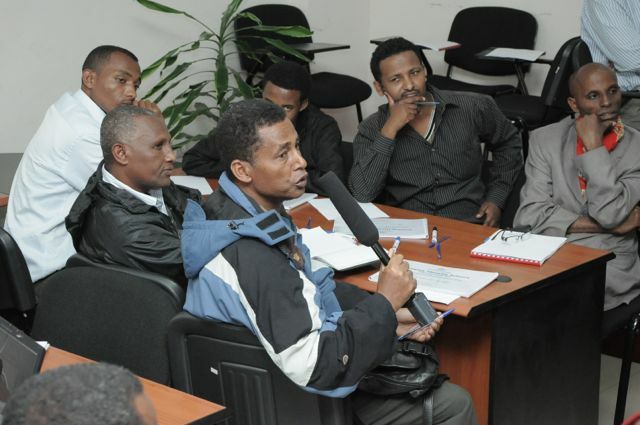 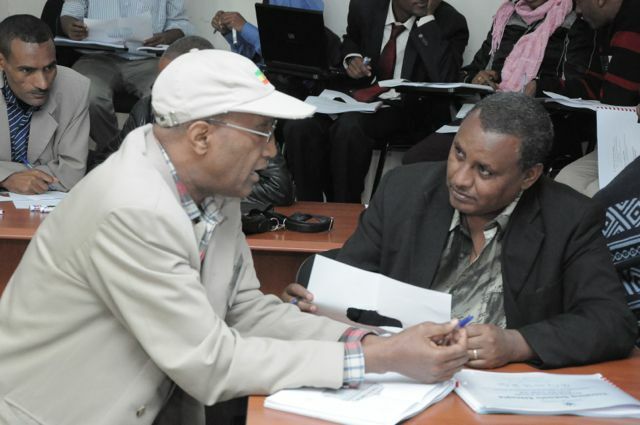 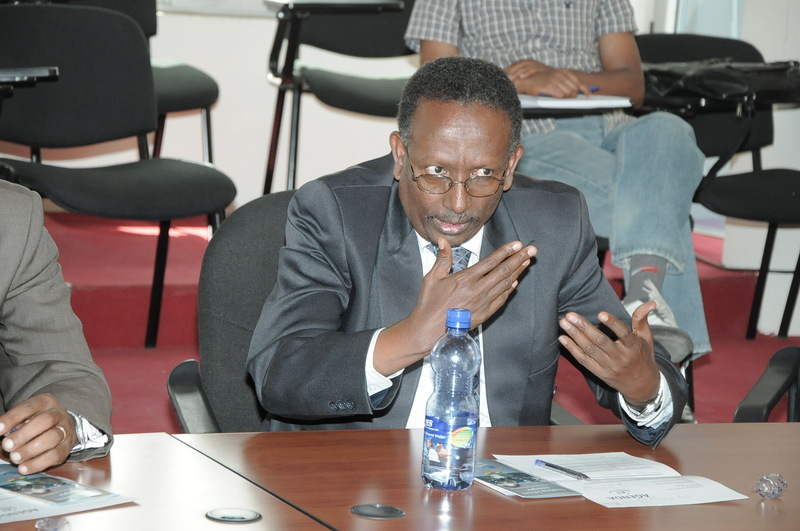 Embarking on years of research and successes achieved by TSI, he noted, TSE was modeled under the principles and approaches put forward by TSI but crafted for implementation in Ethiopia according to existing realities. 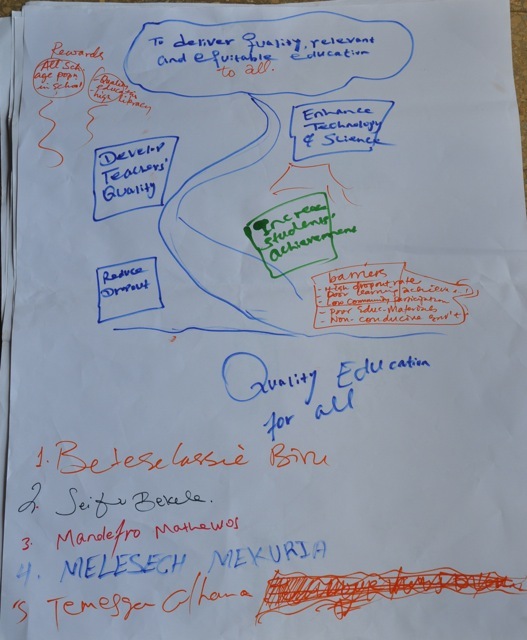 Challenges, the good and the changeable were all covered in the presentation. 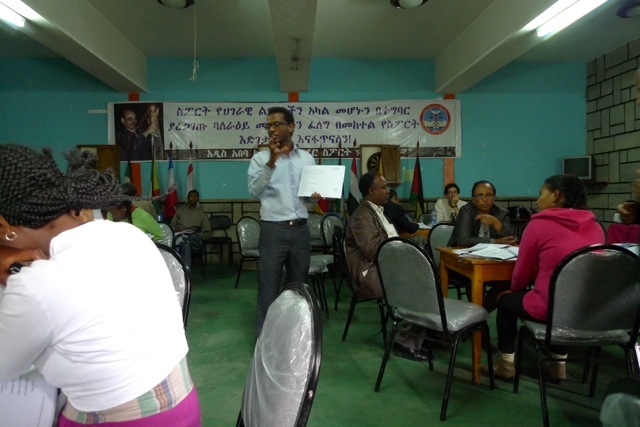 Trainings and workshops thus far conducted were touched upon followed by brief breakdown of upcoming strategies and partnerships. 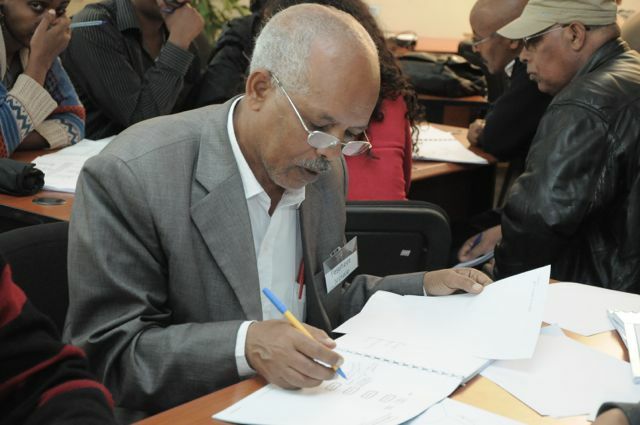 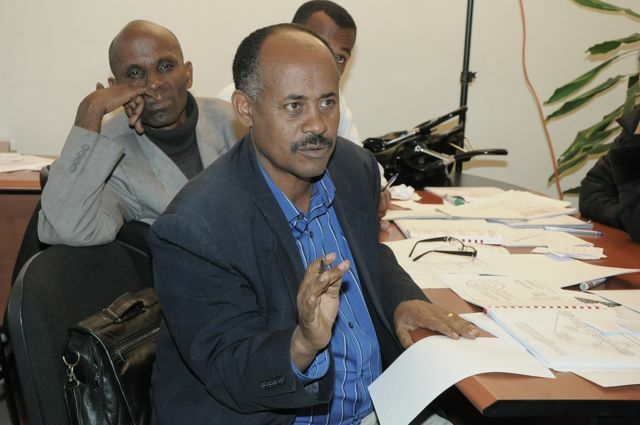 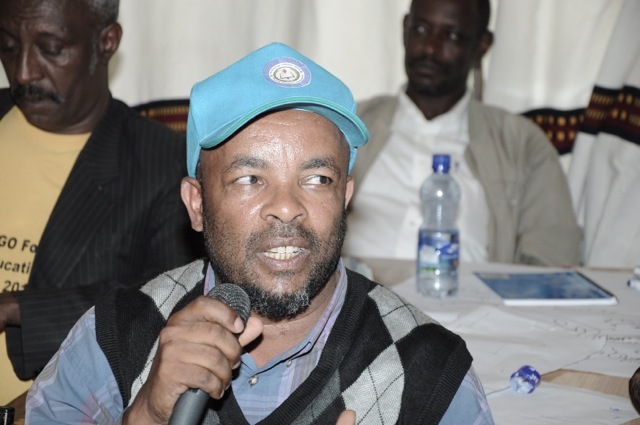 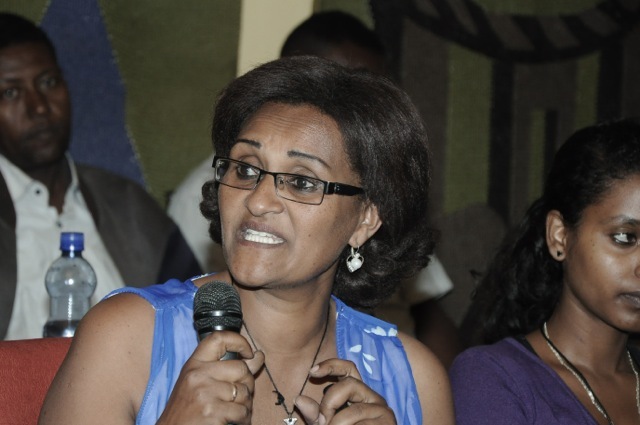 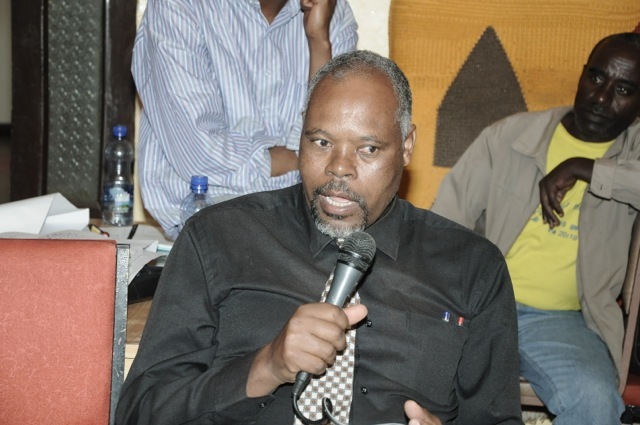 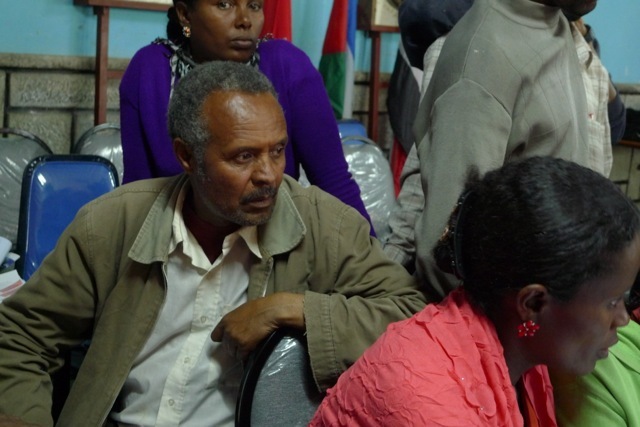 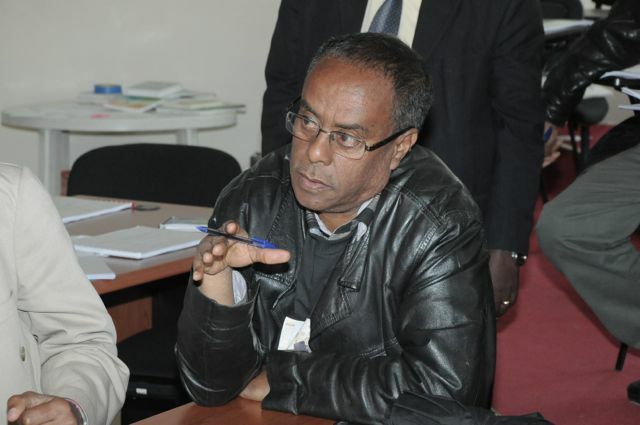 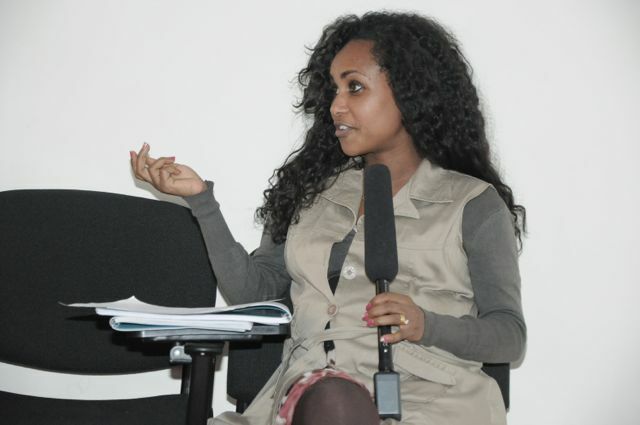 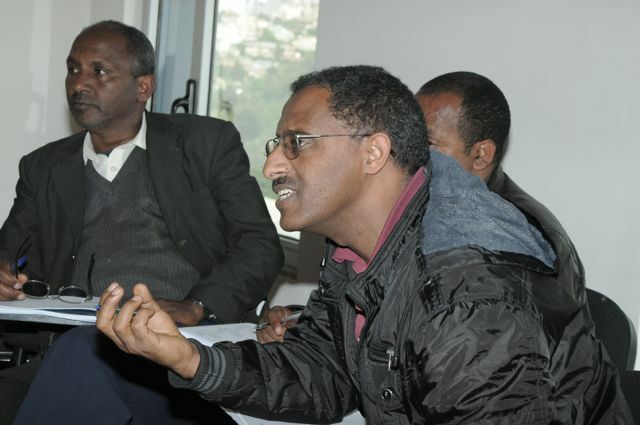 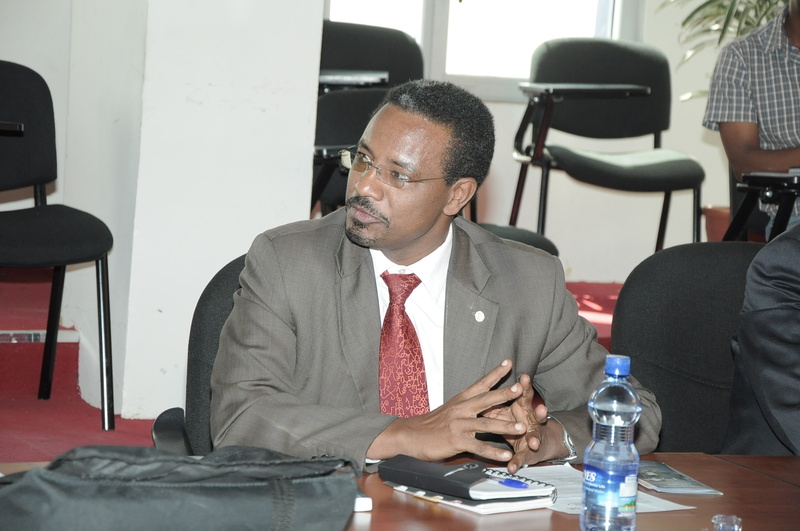 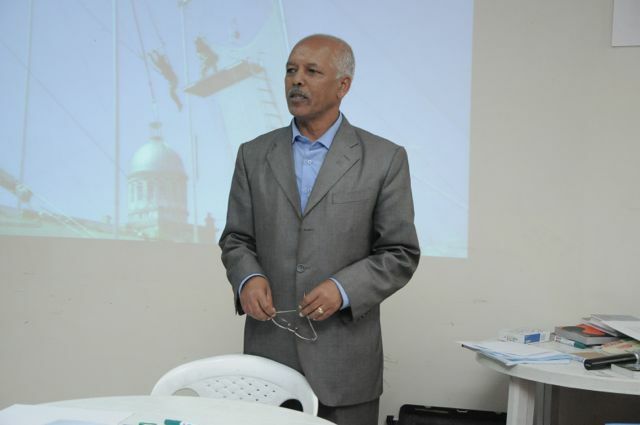 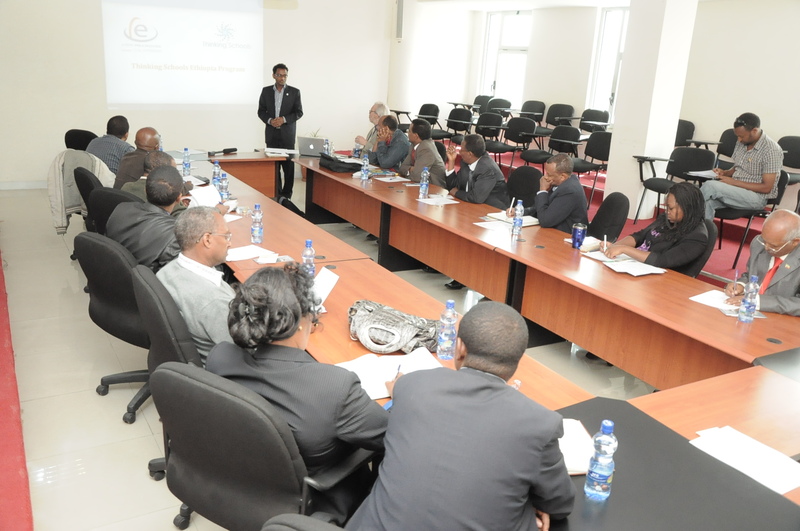 Mentioning collaboration and support rendered by the Addis Ababa Education Bureau and the UNESCO-IICBA; Bereket thanked the organizations and also explained their interventions. 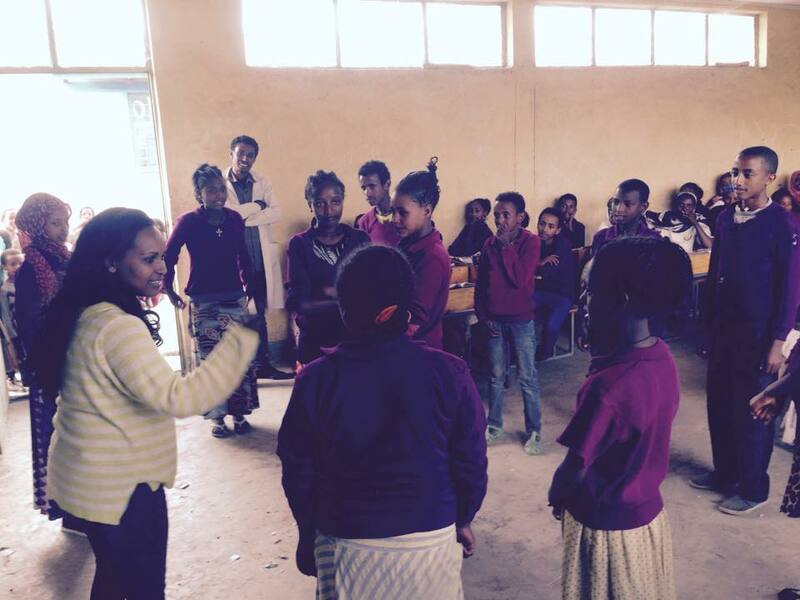 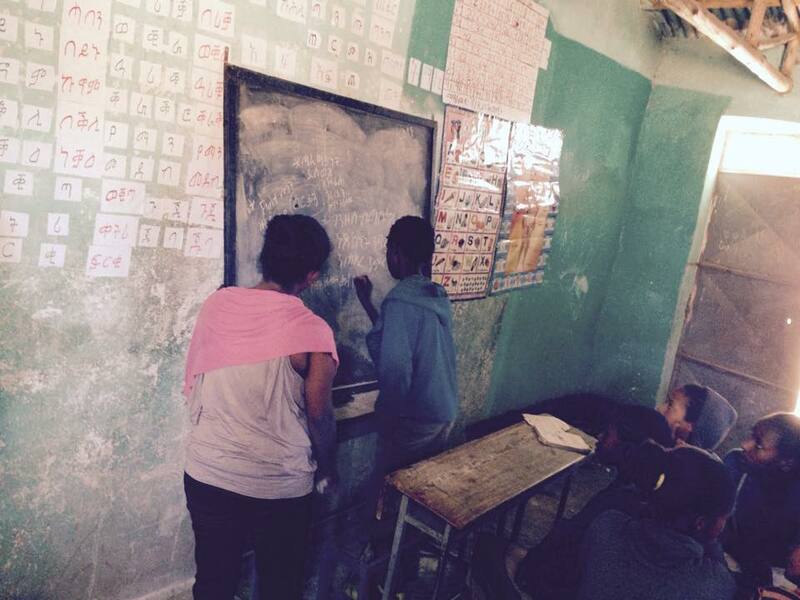 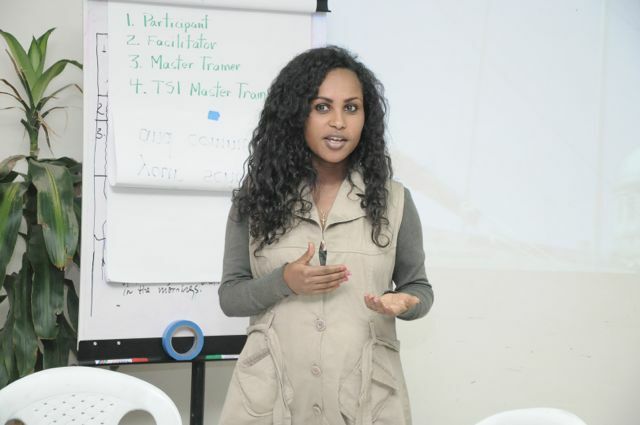 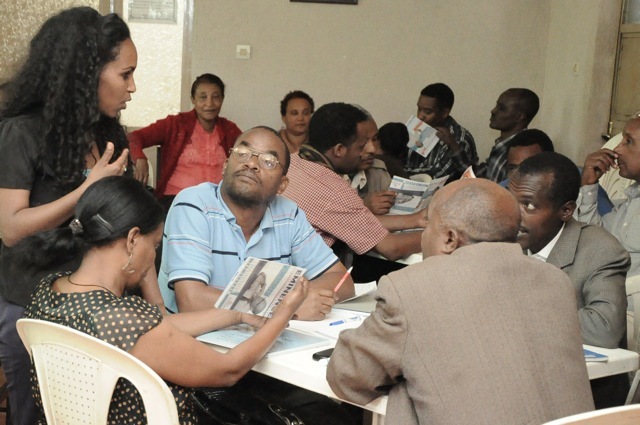 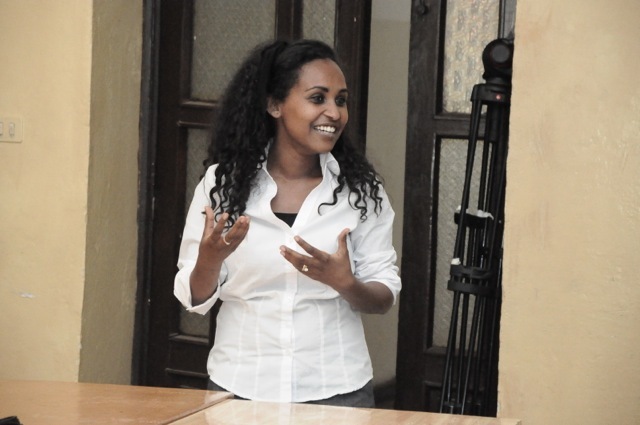 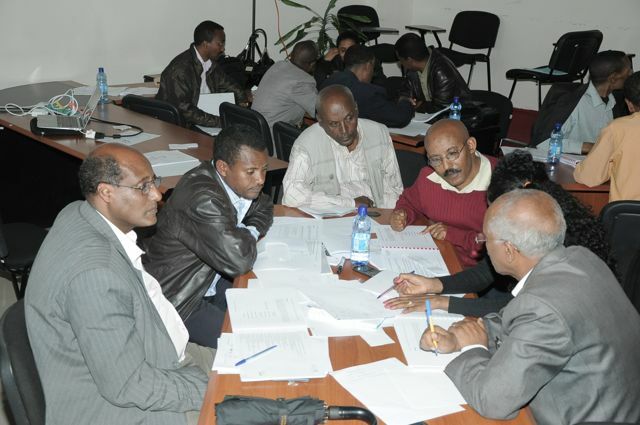 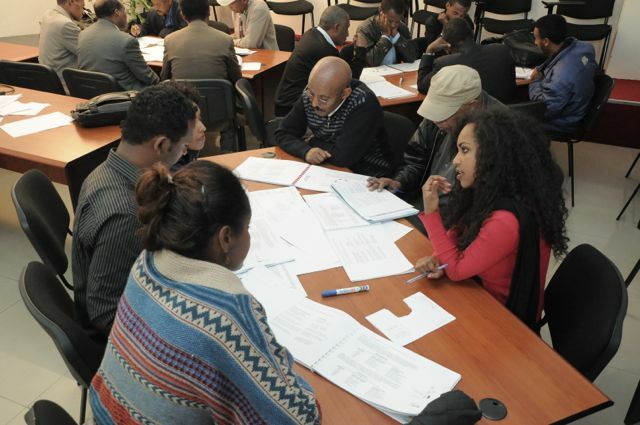 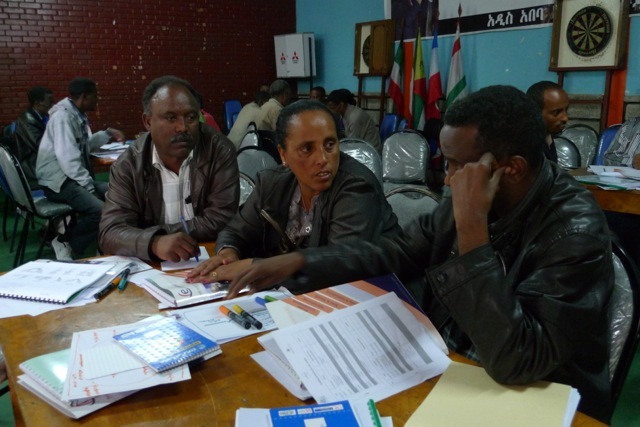 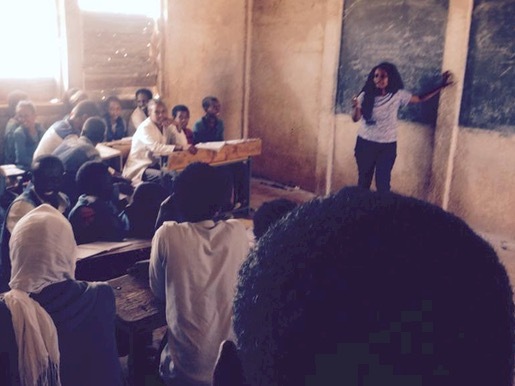 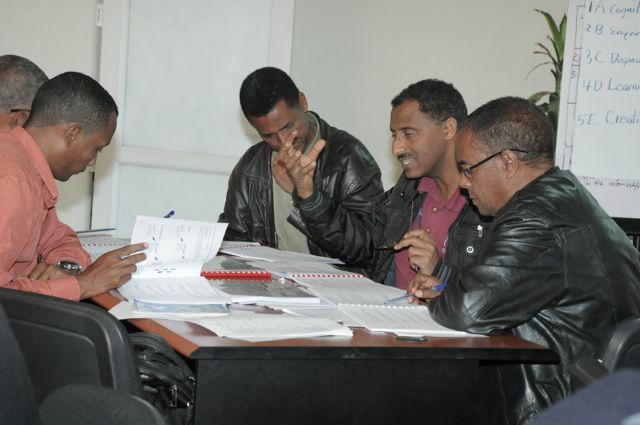 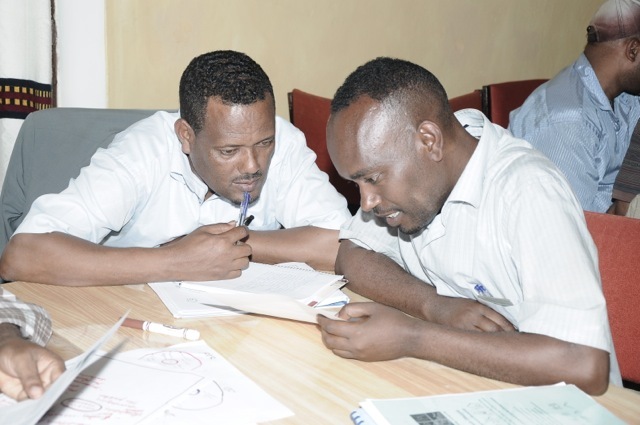 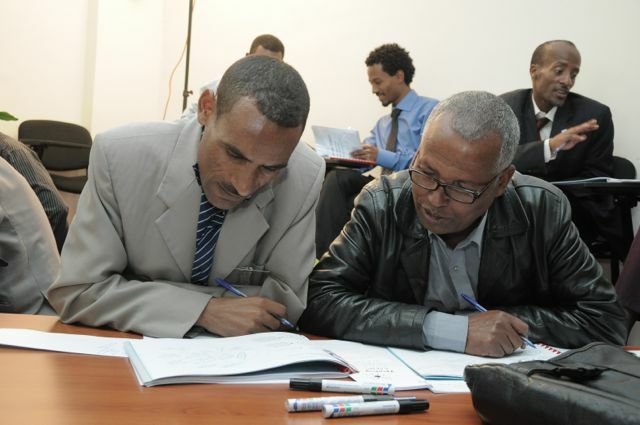 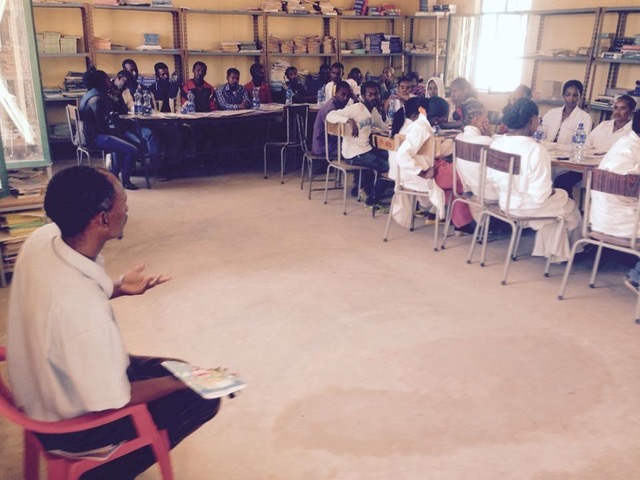 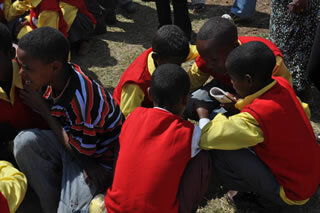 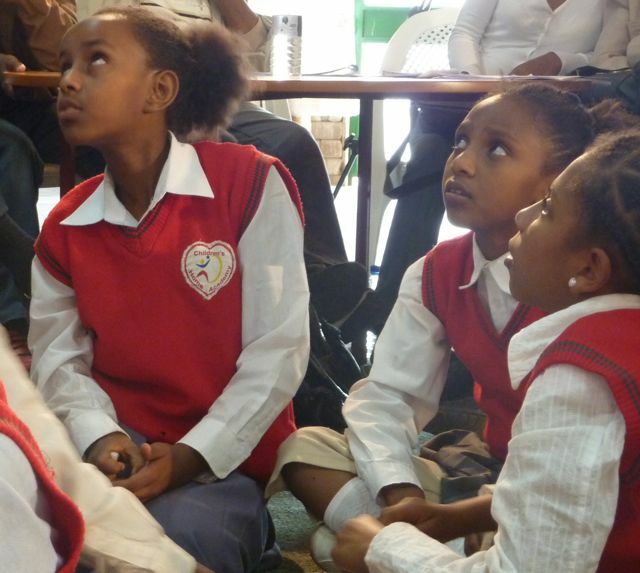 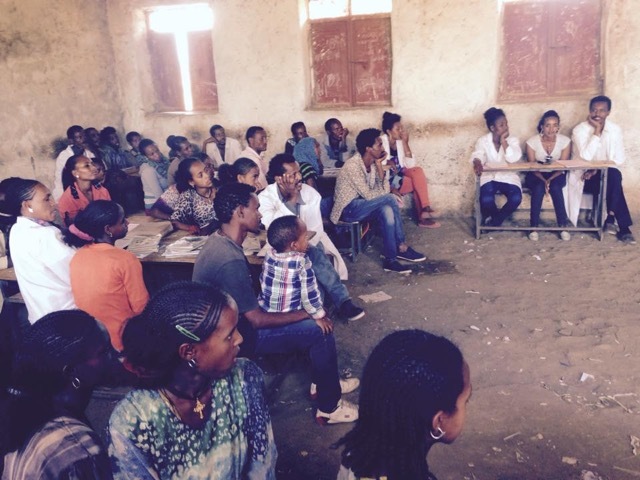 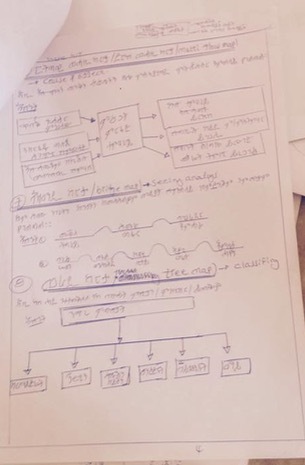 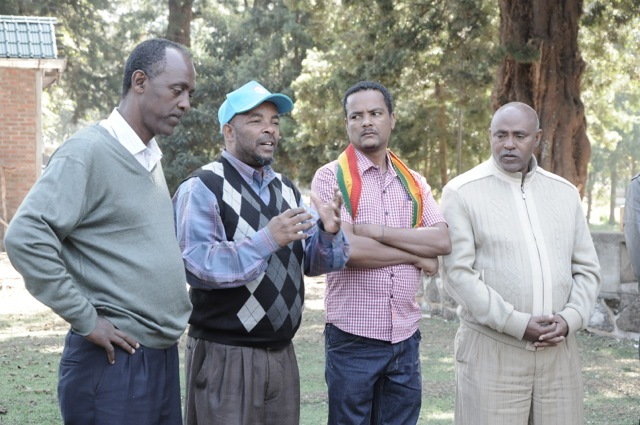 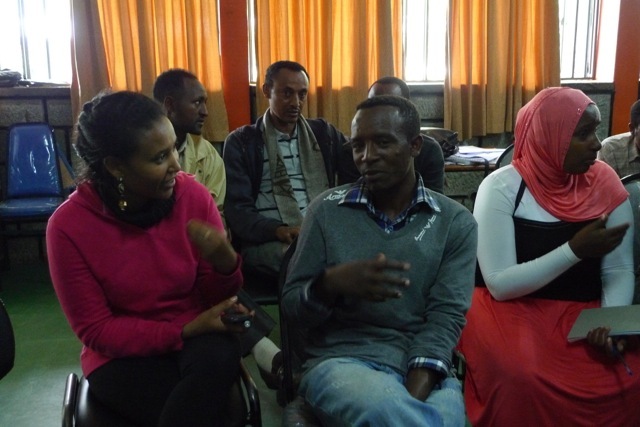 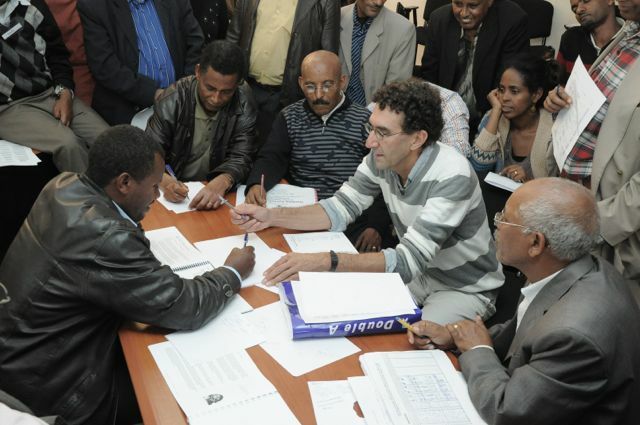 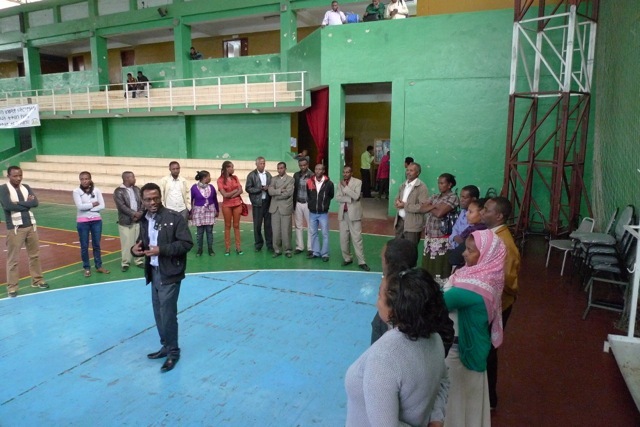 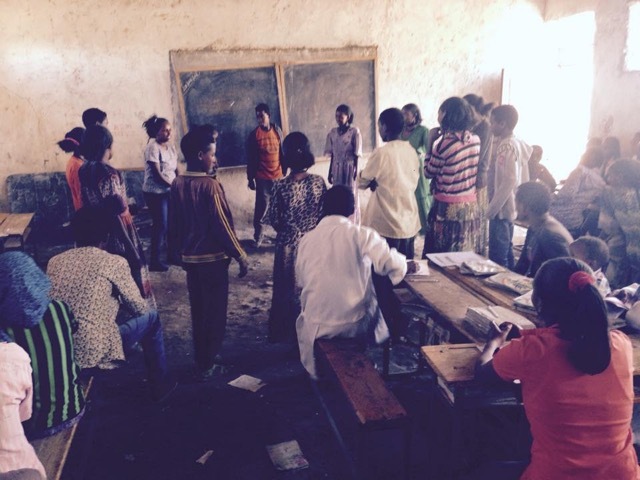 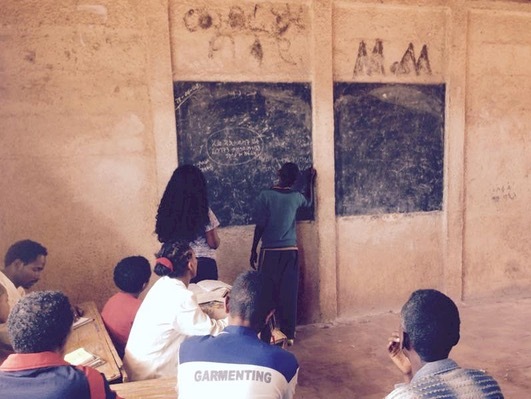 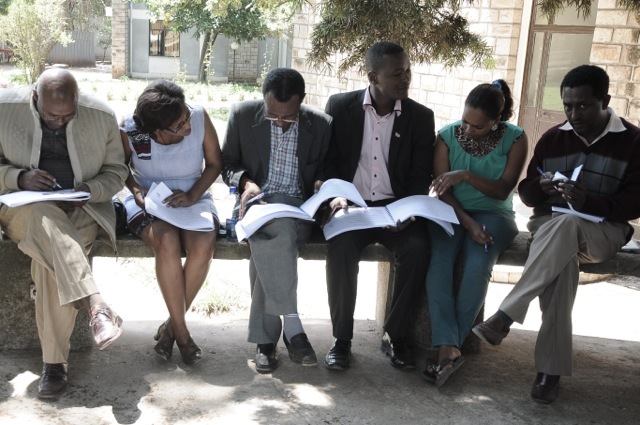 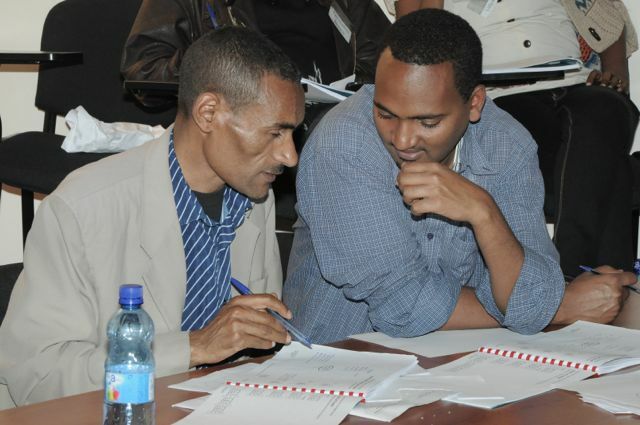 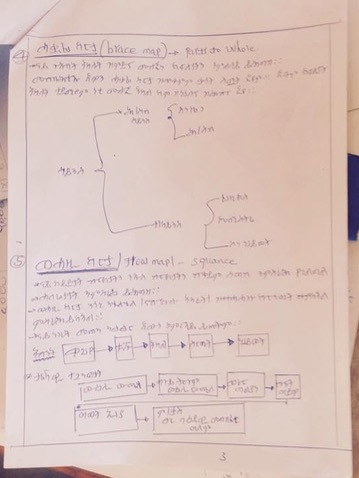 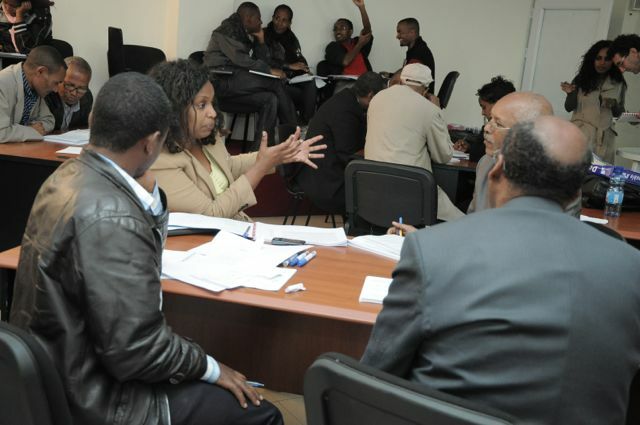 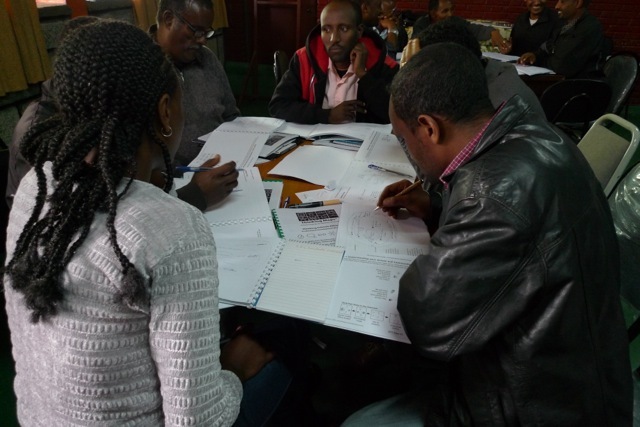 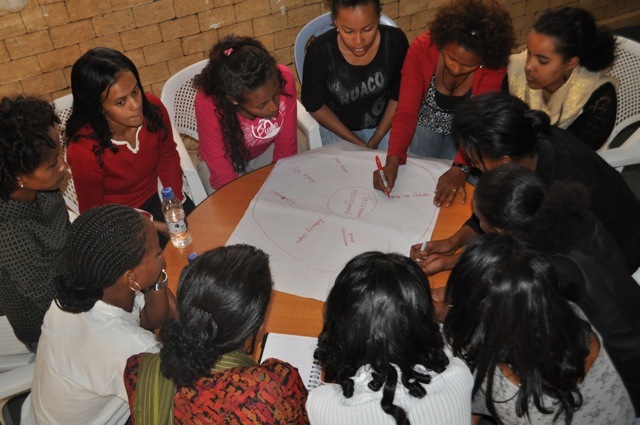 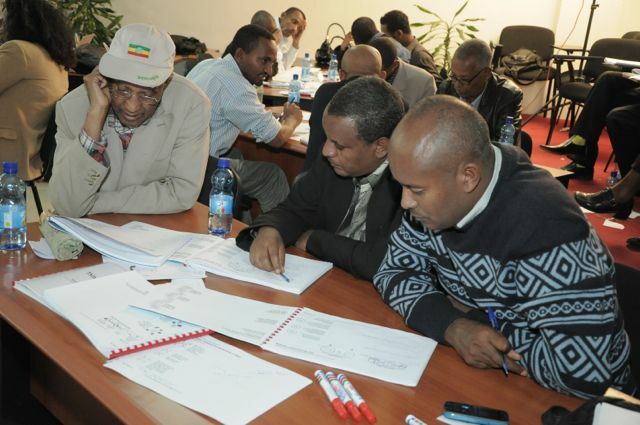 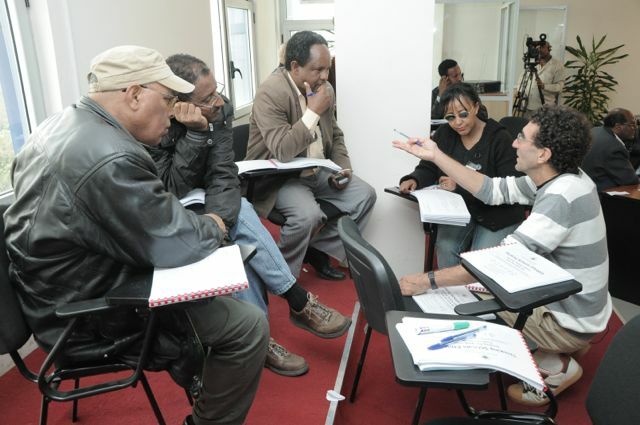 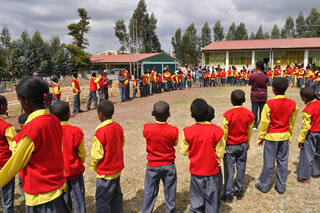 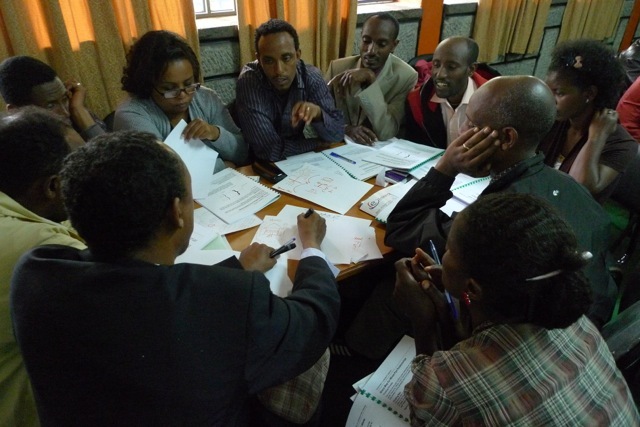 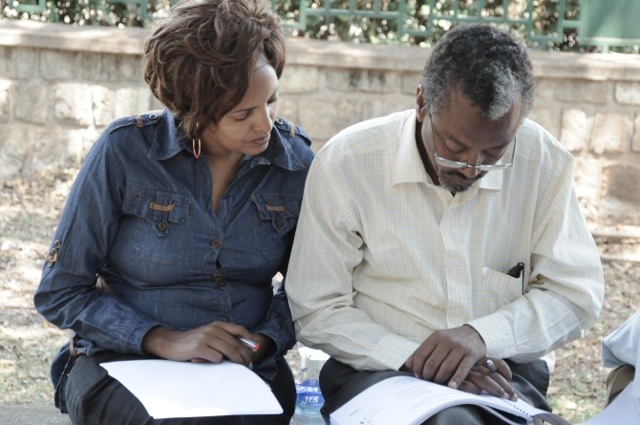 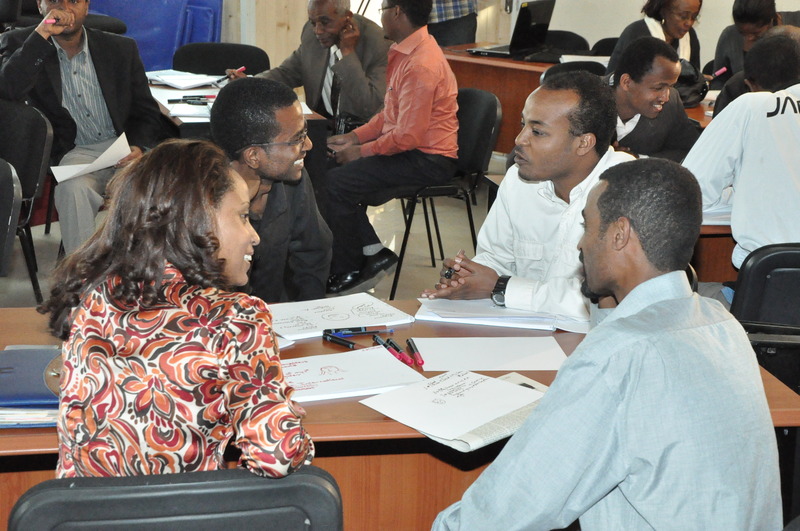 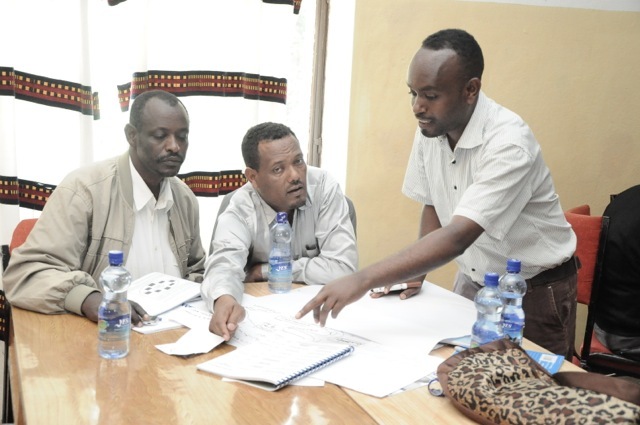 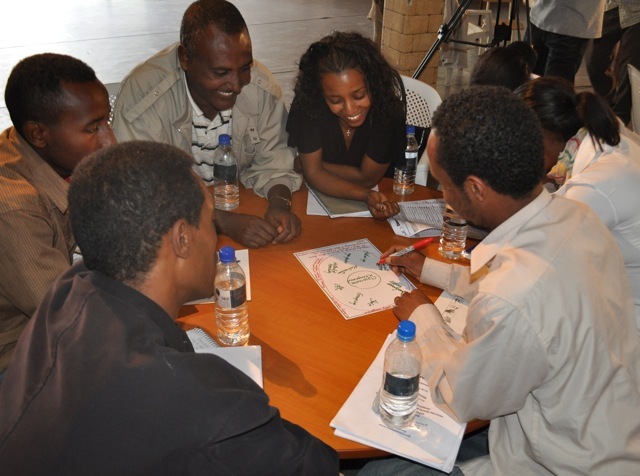 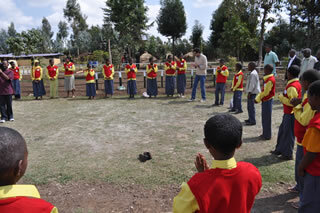 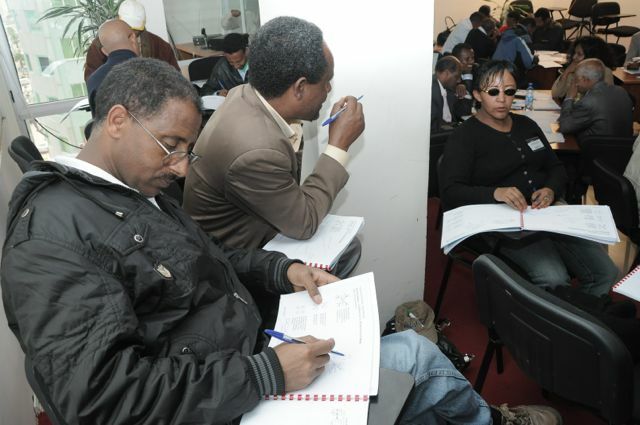 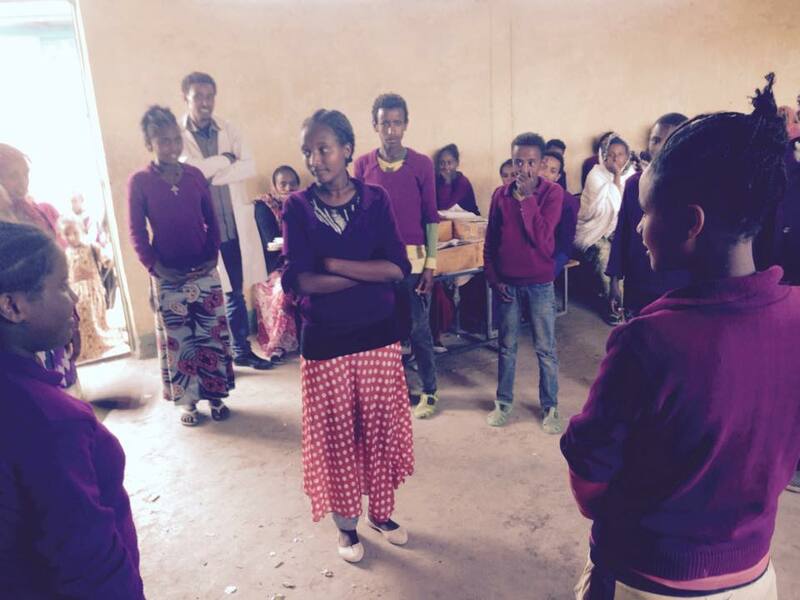 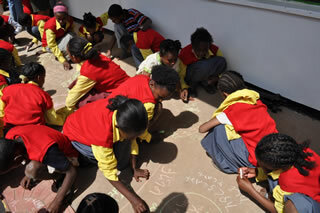 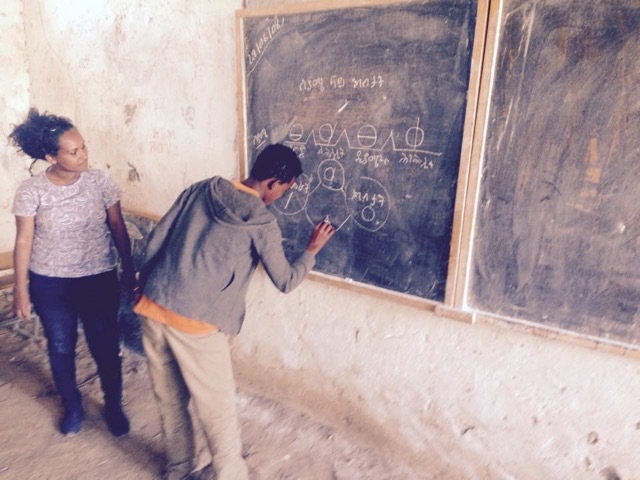 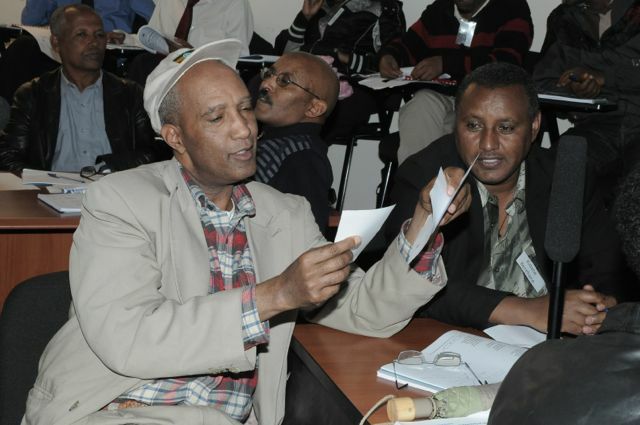 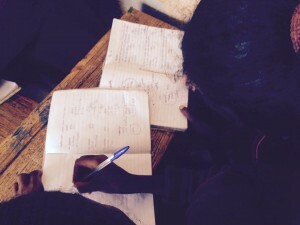 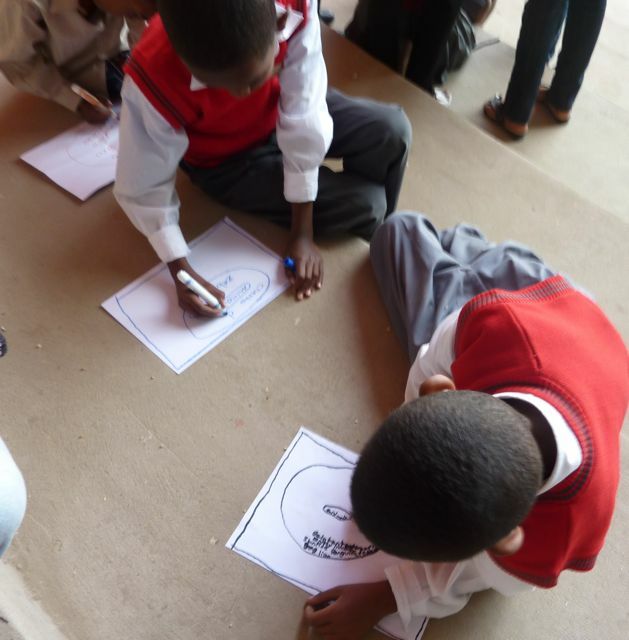 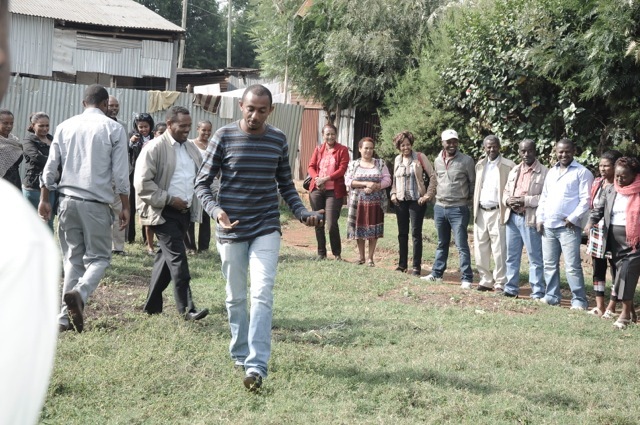 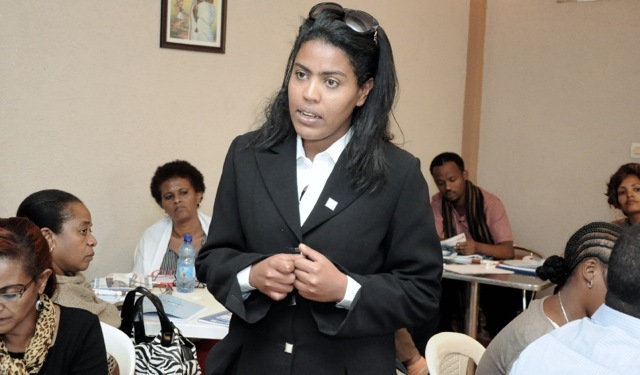 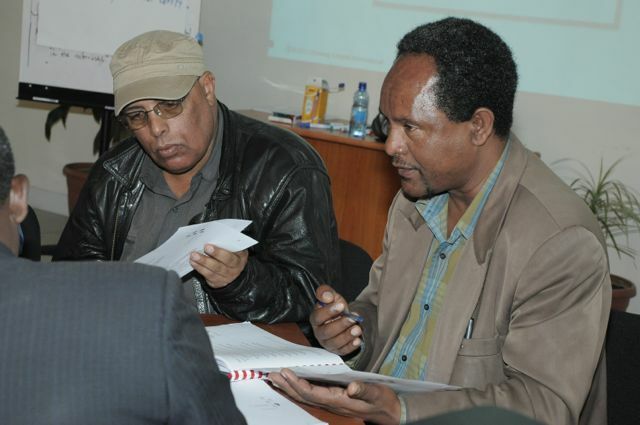 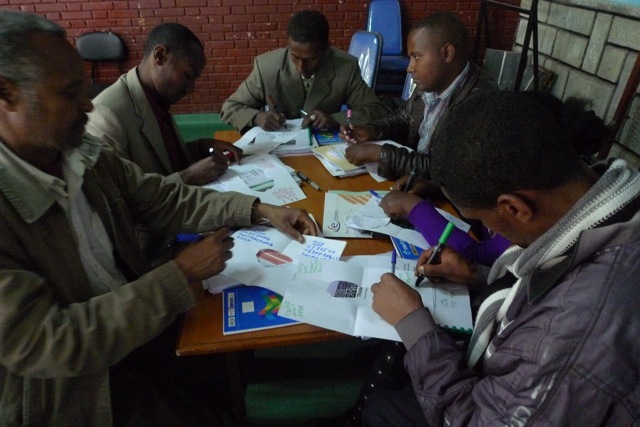 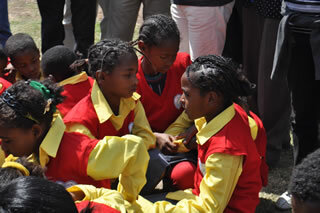 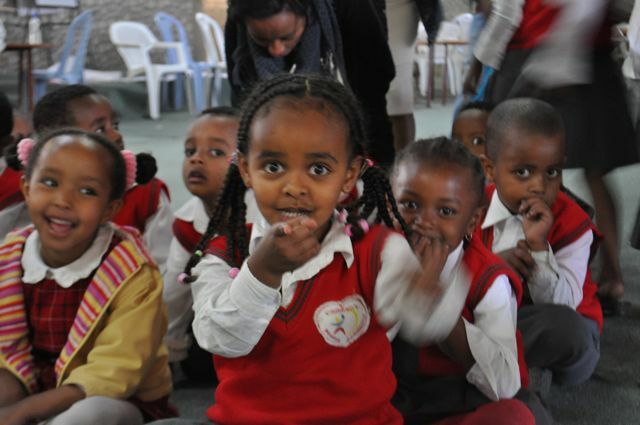 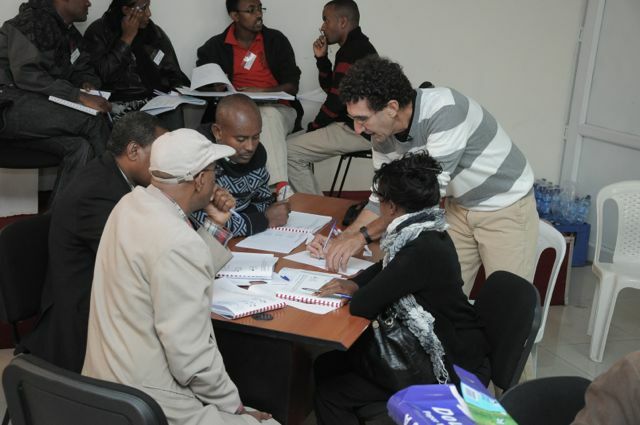 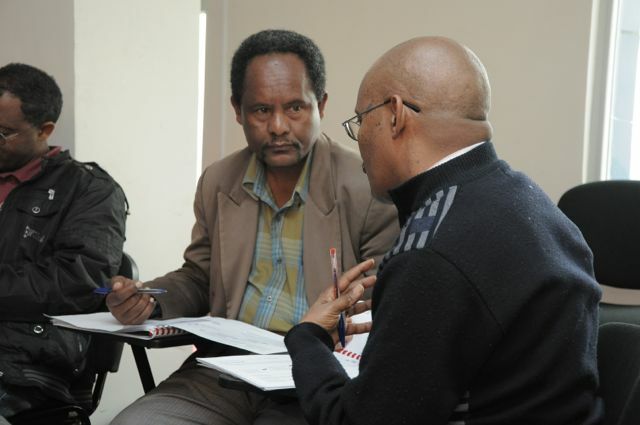 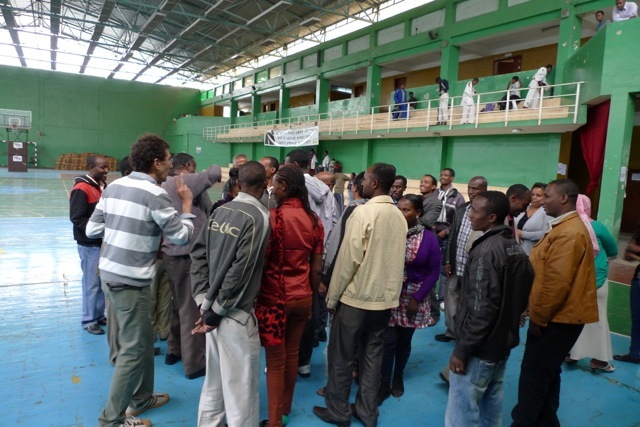 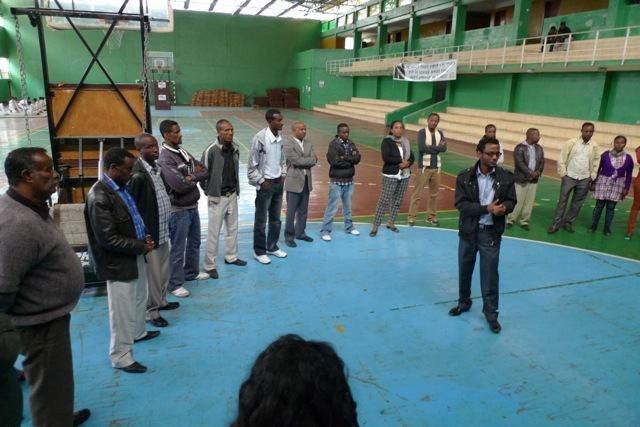 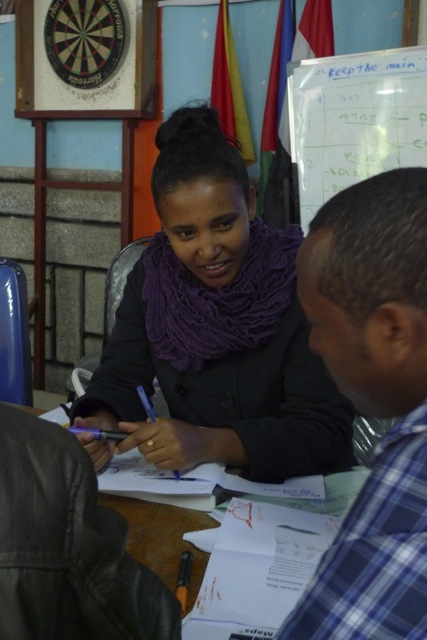 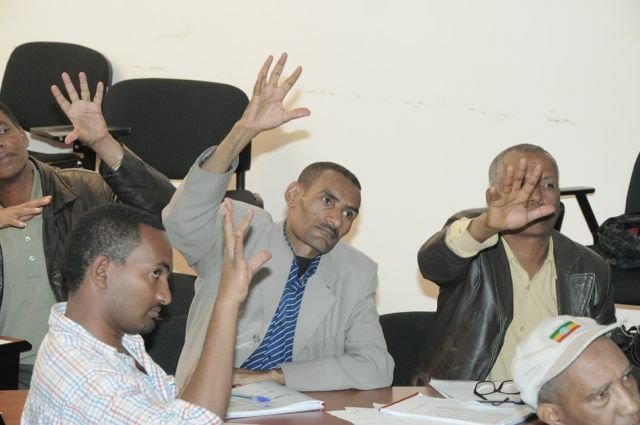 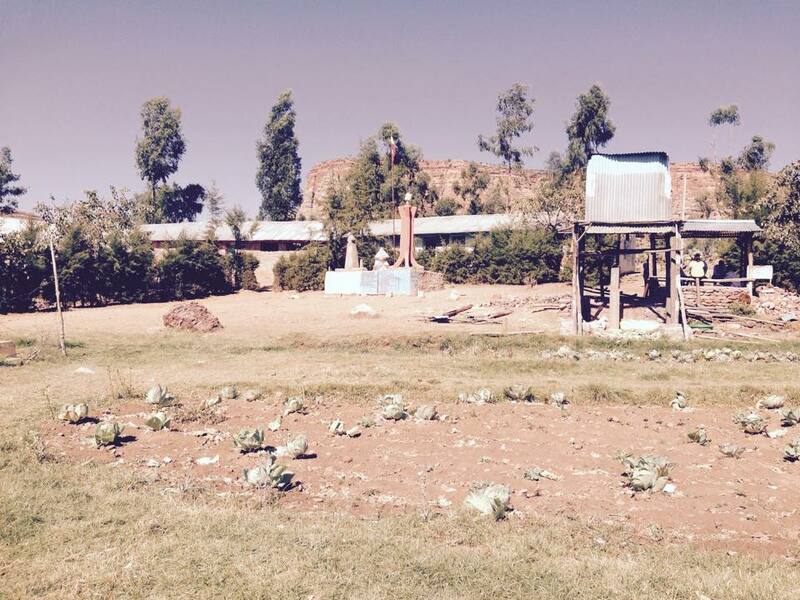 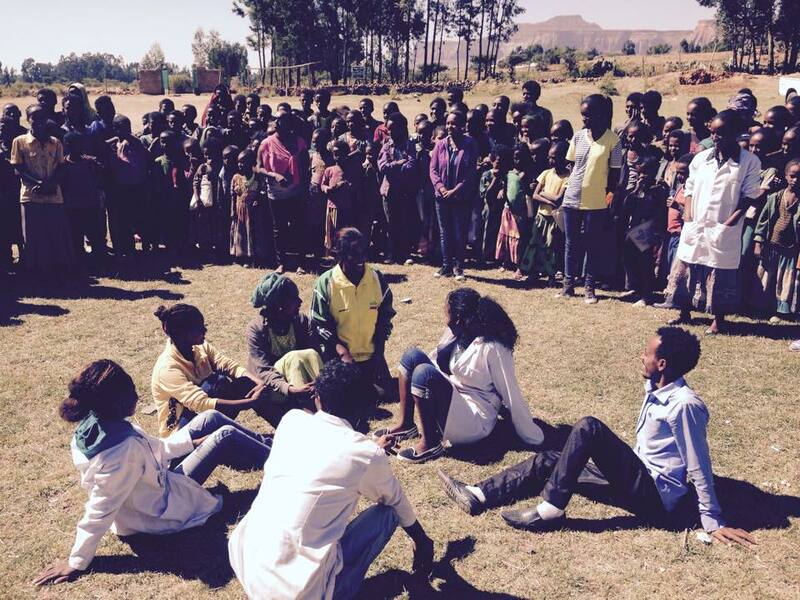 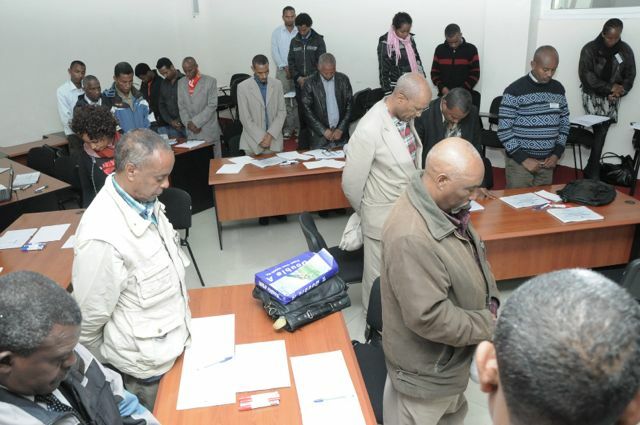 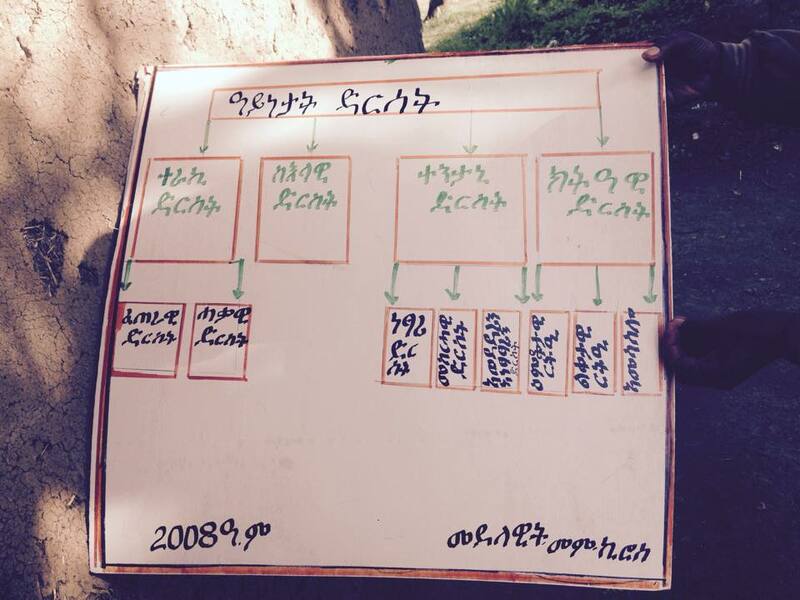 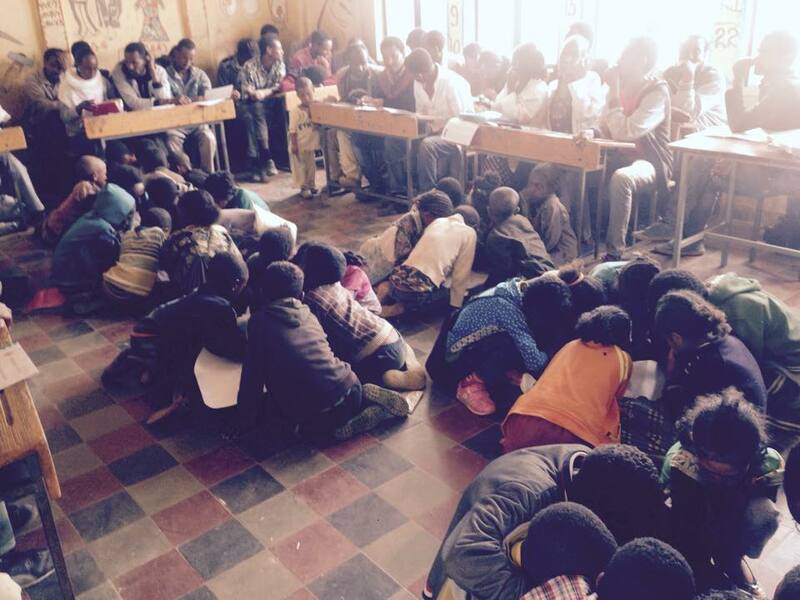 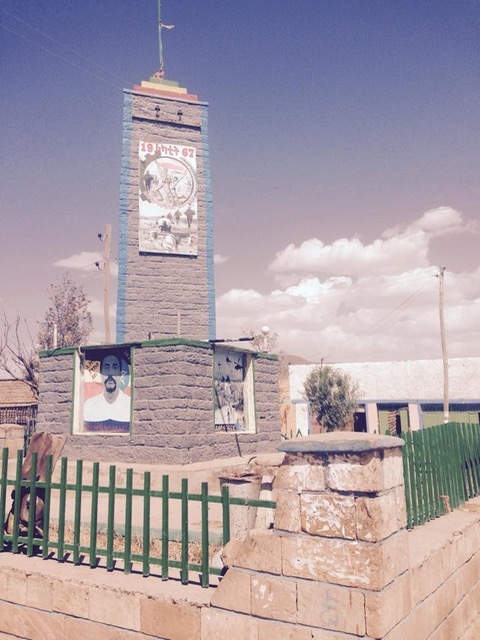 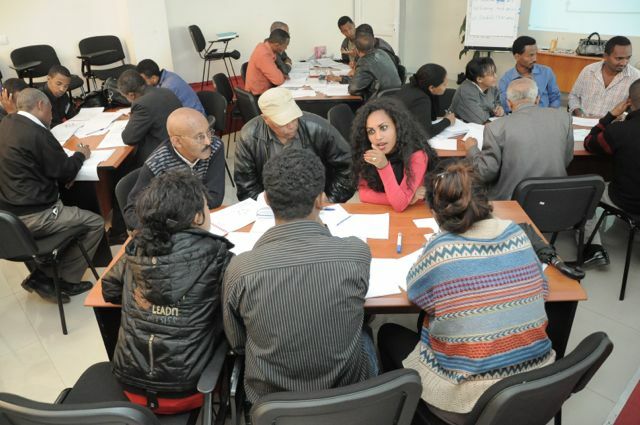 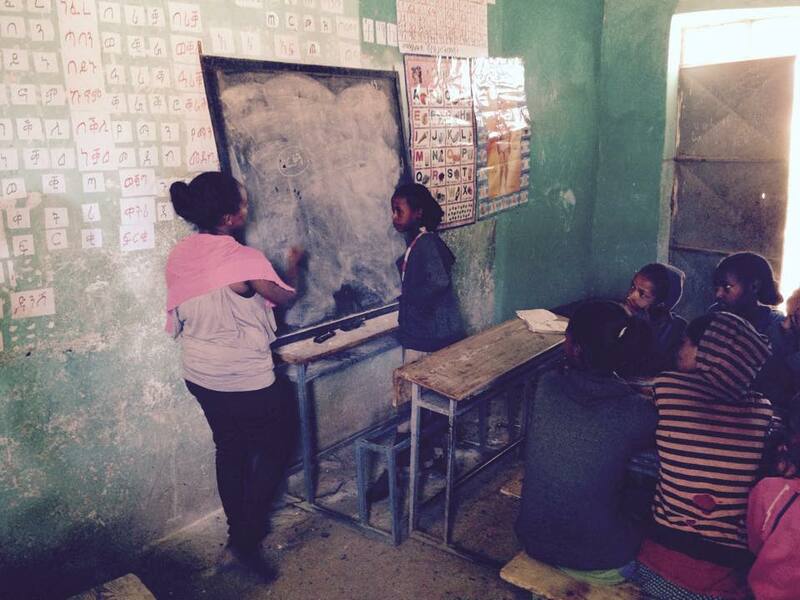 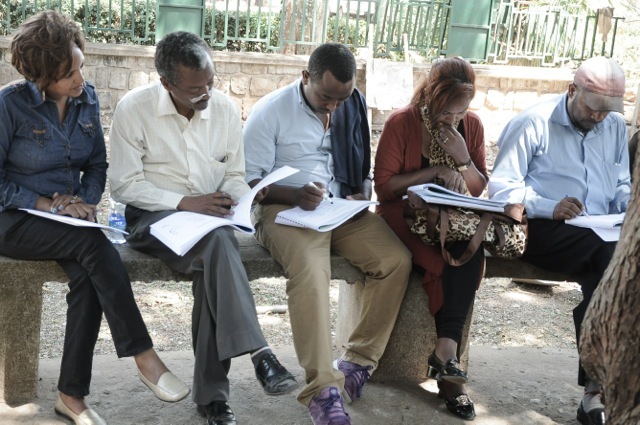 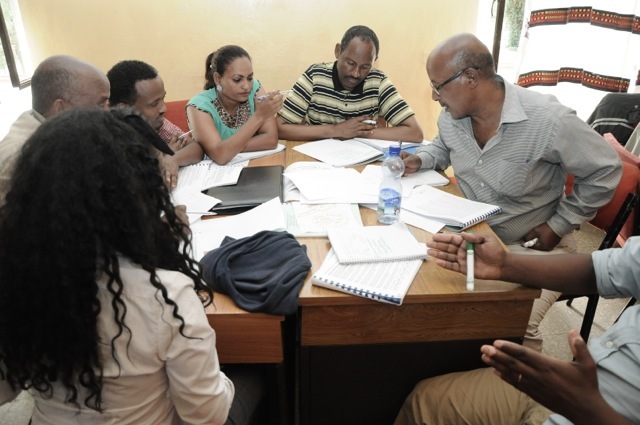 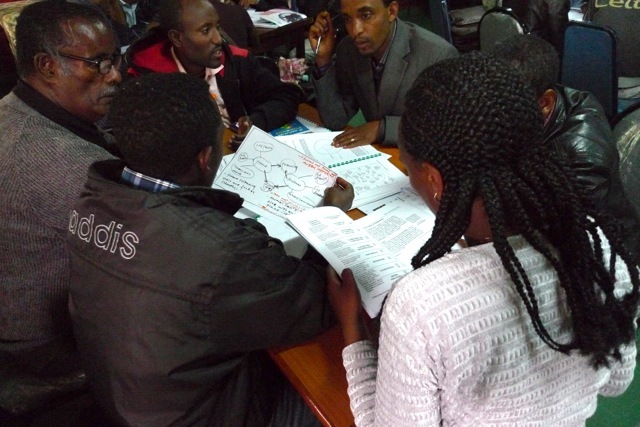 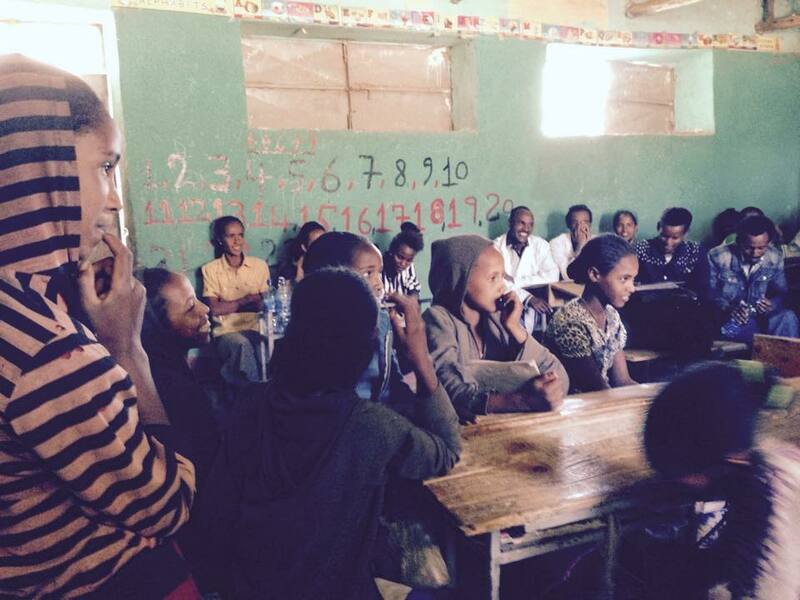 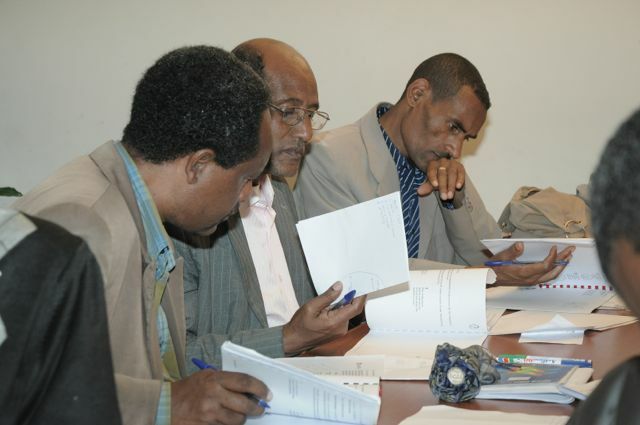 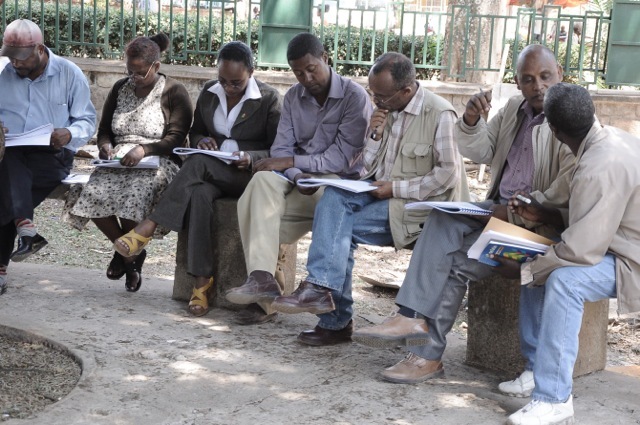 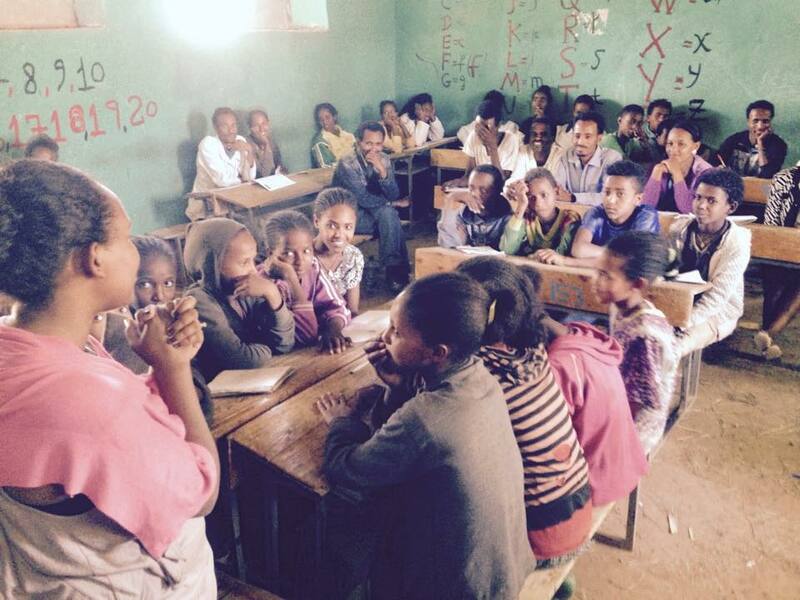 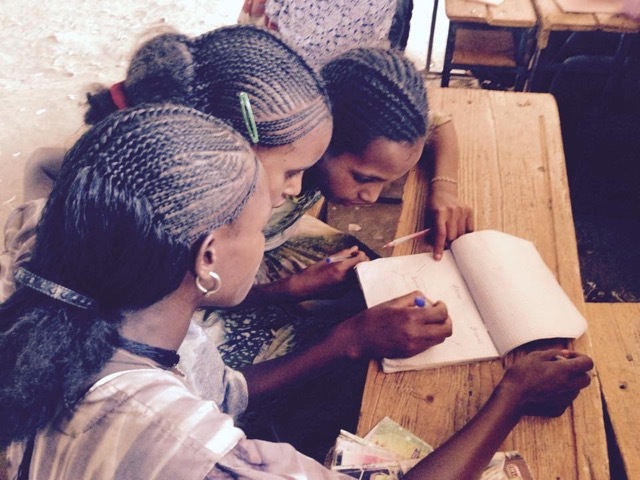 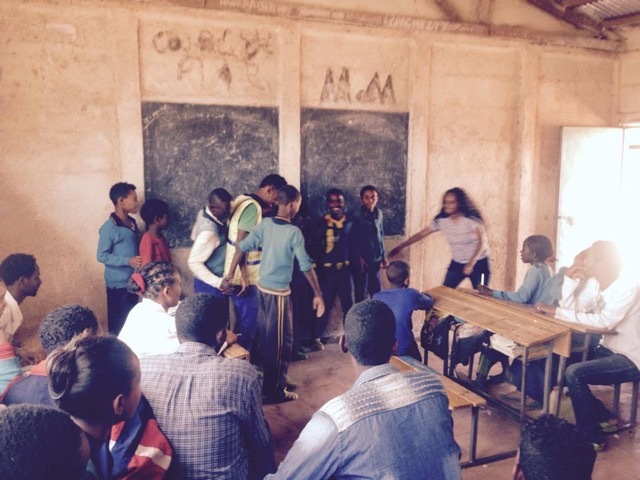 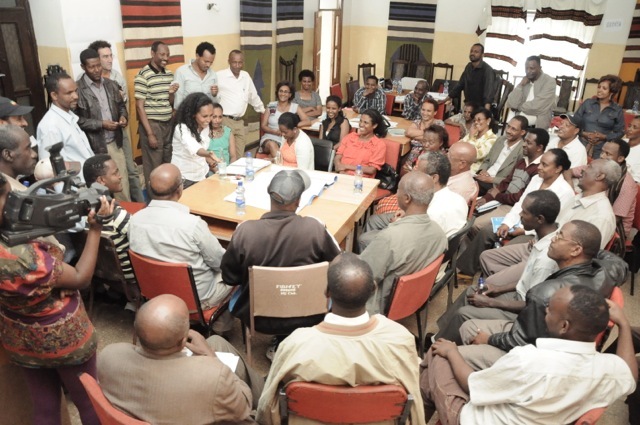 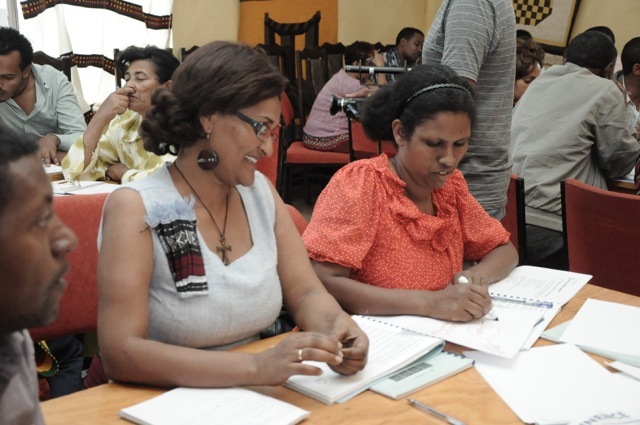 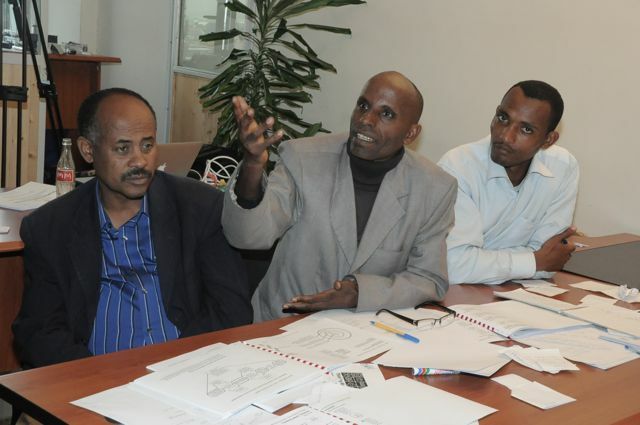 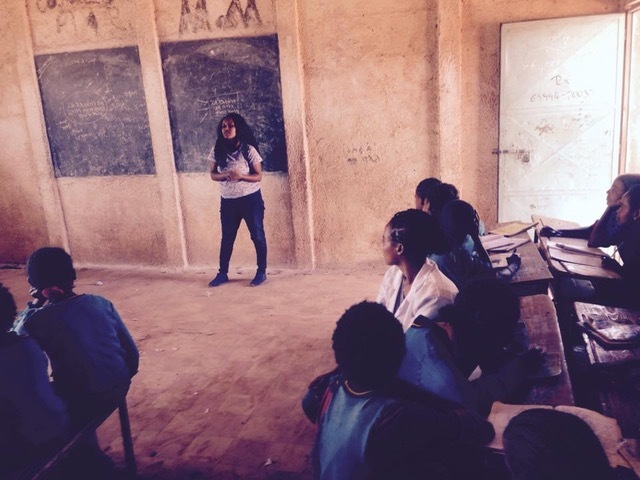 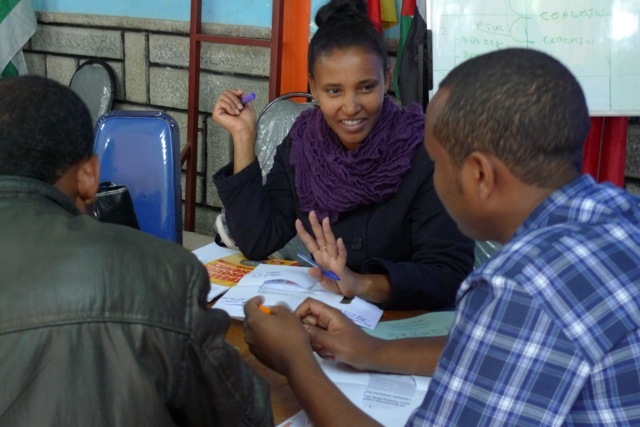 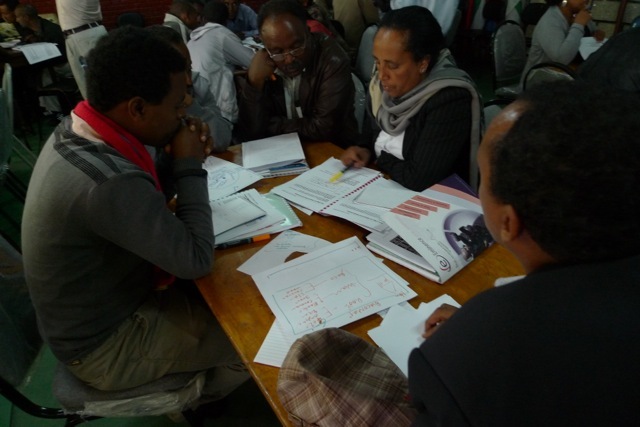 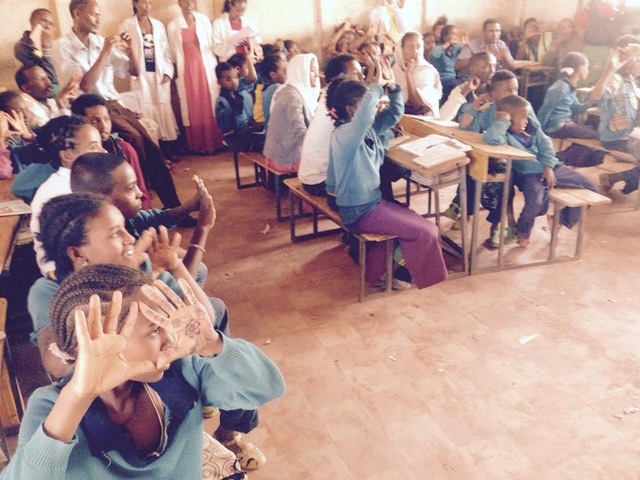 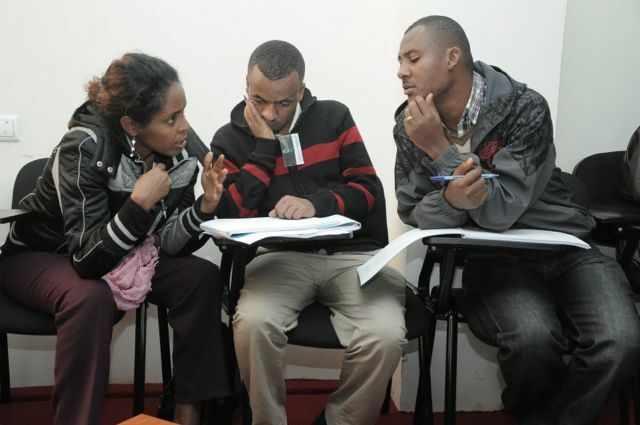 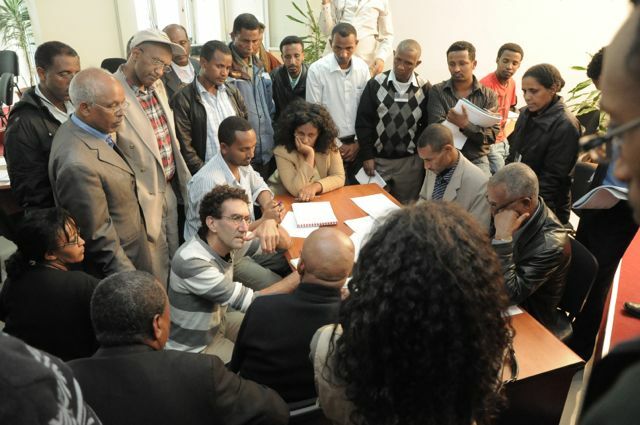 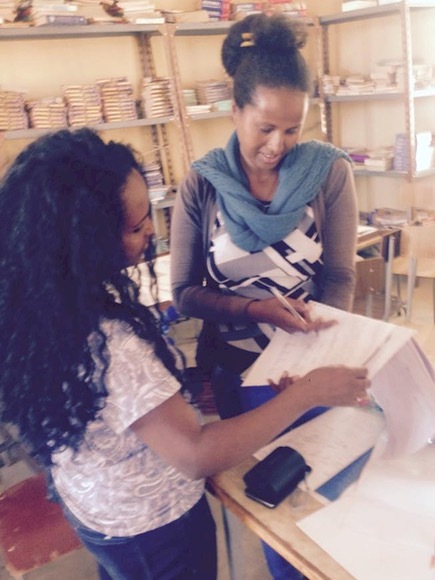 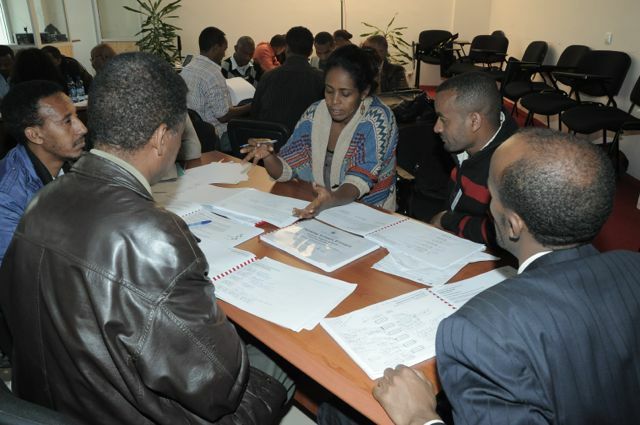 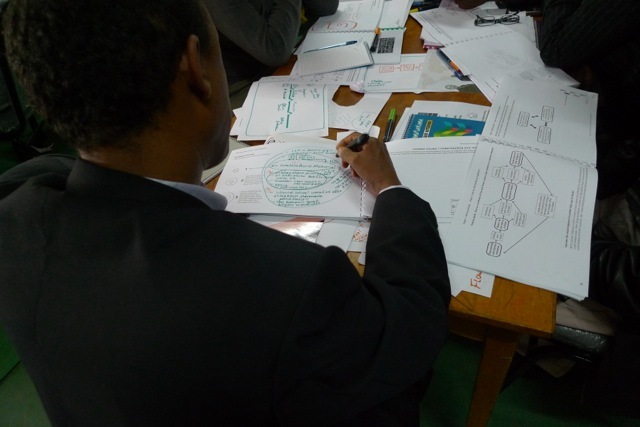 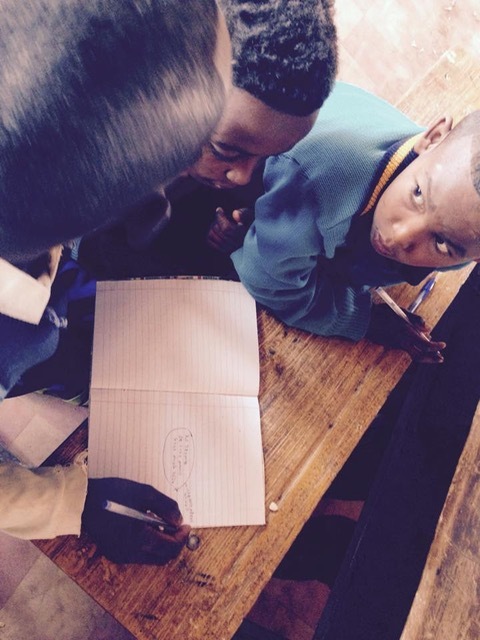 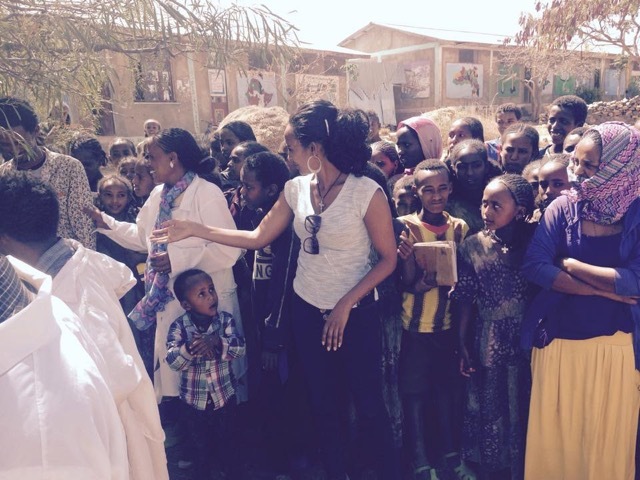 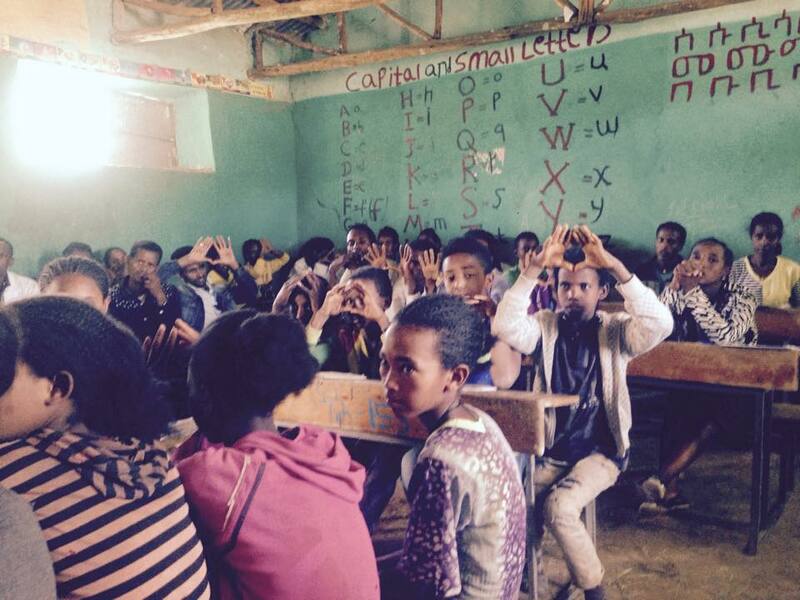 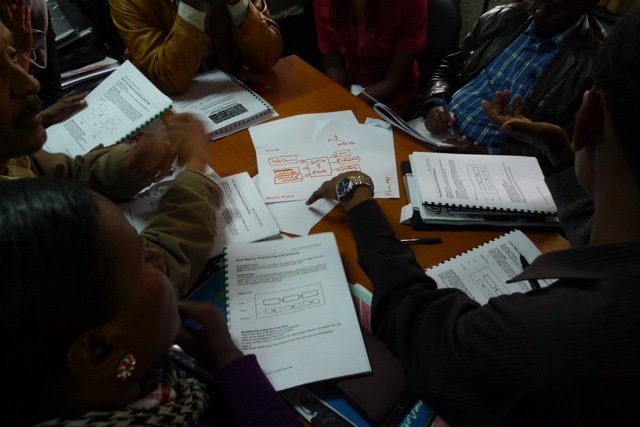 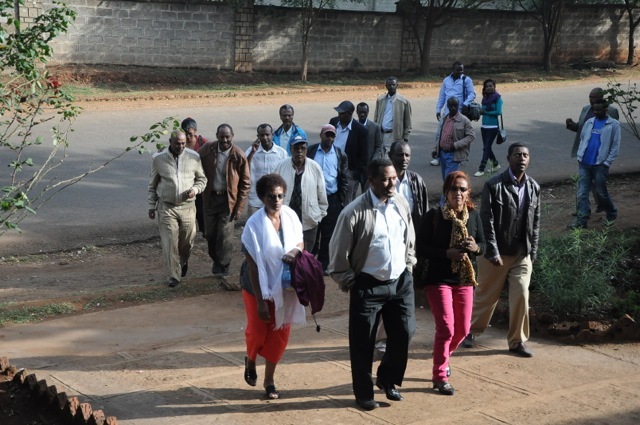 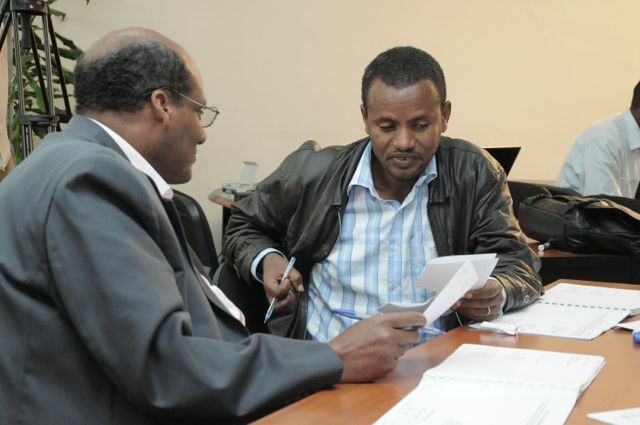 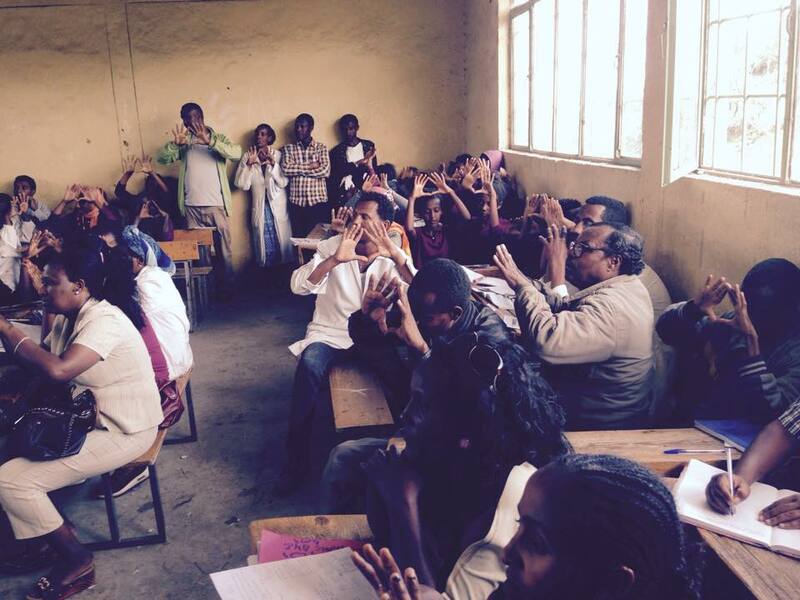 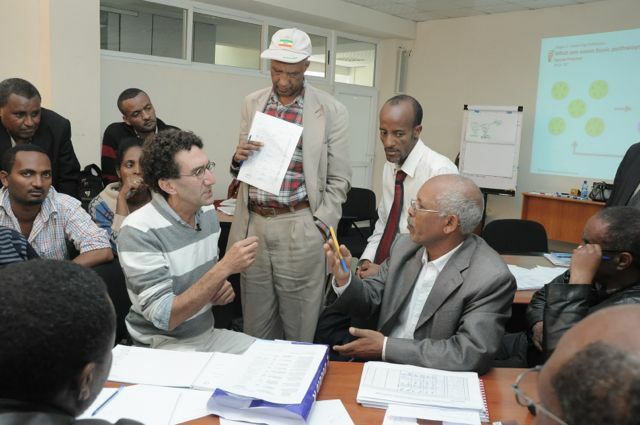 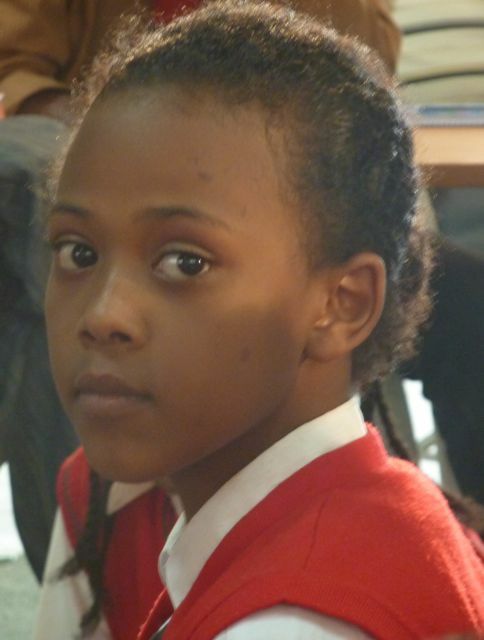 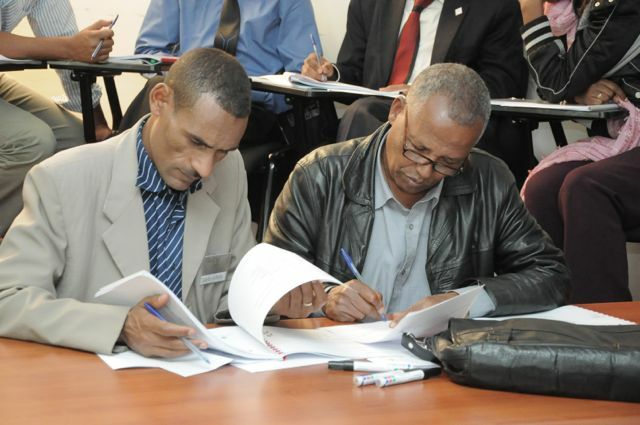 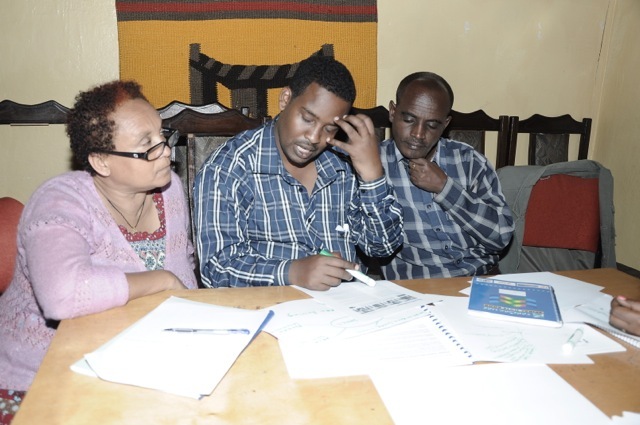 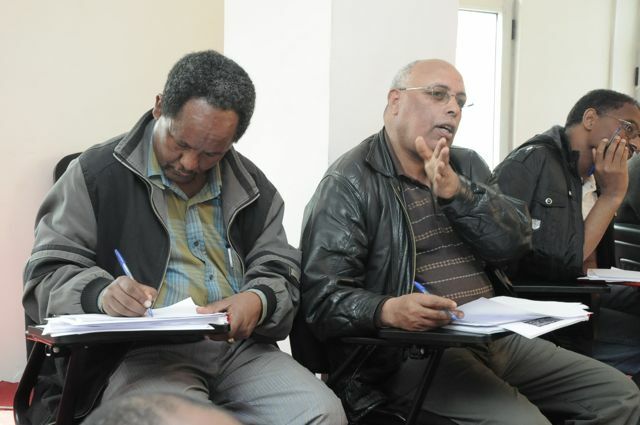 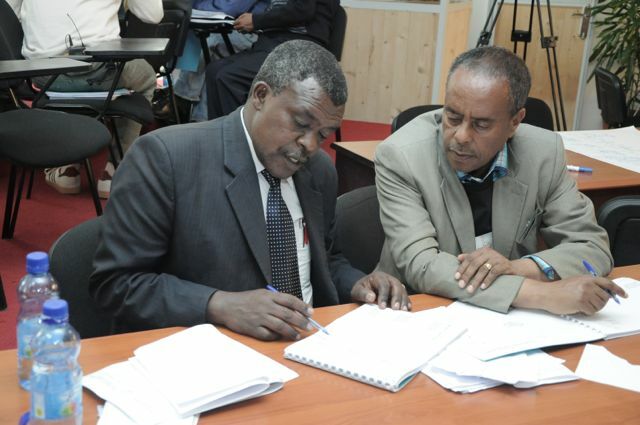 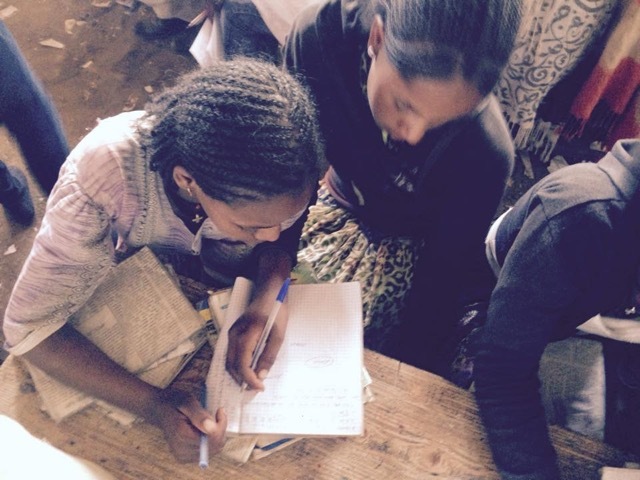 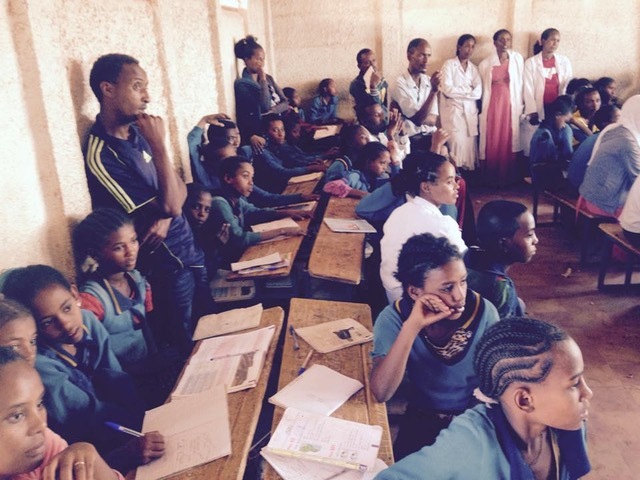 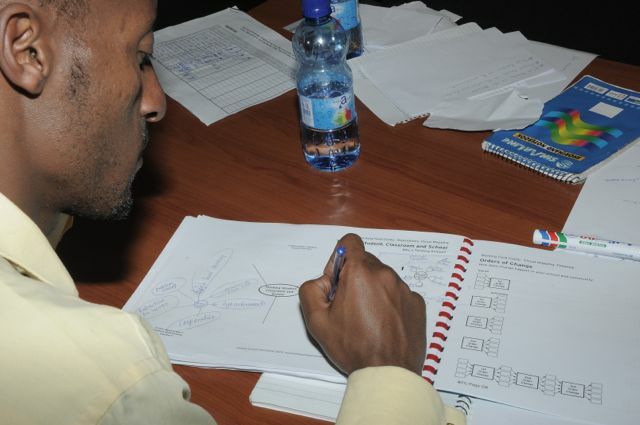 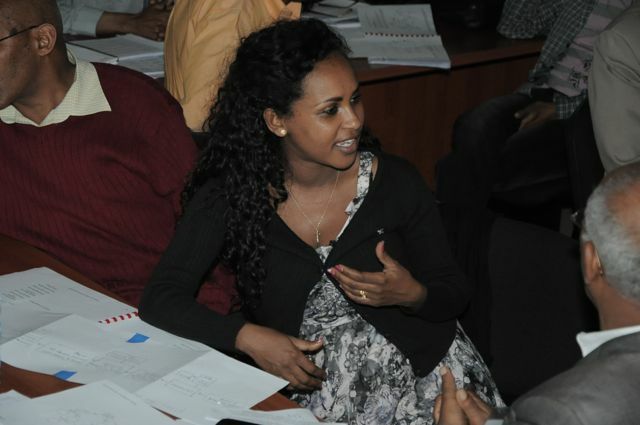 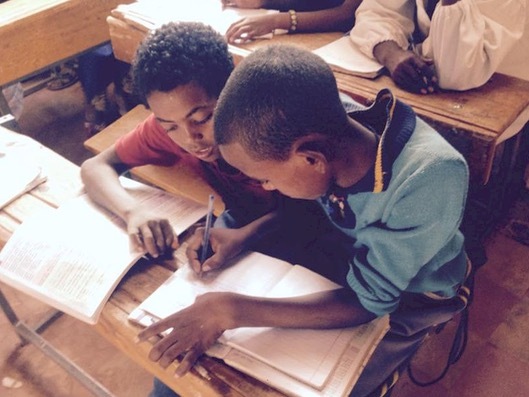 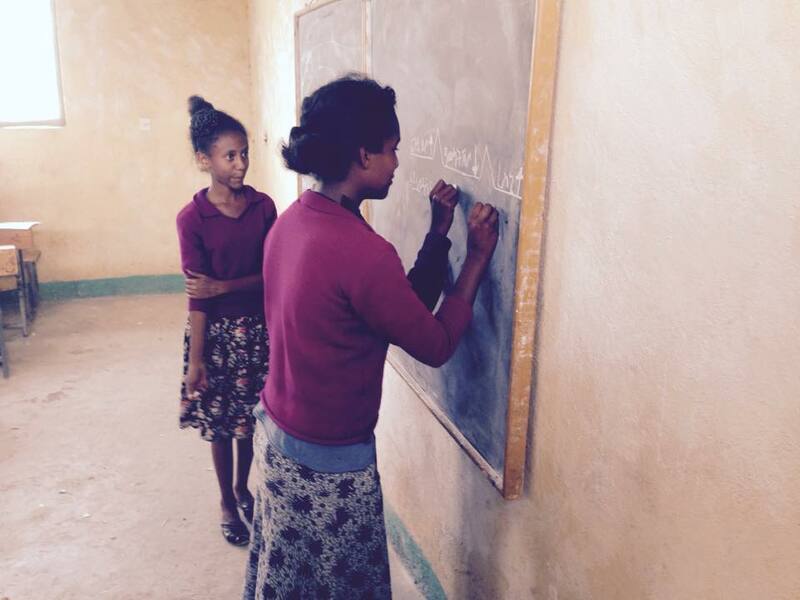 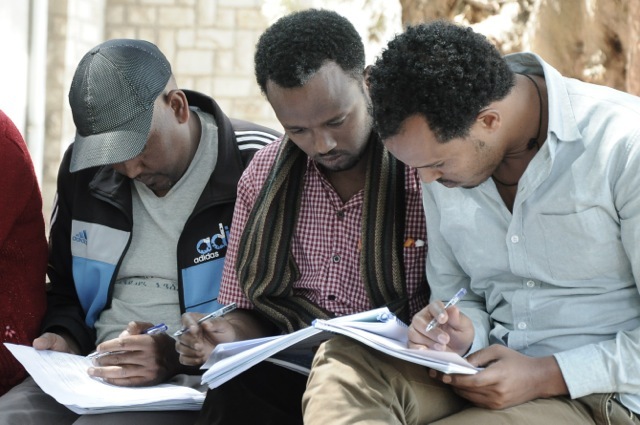 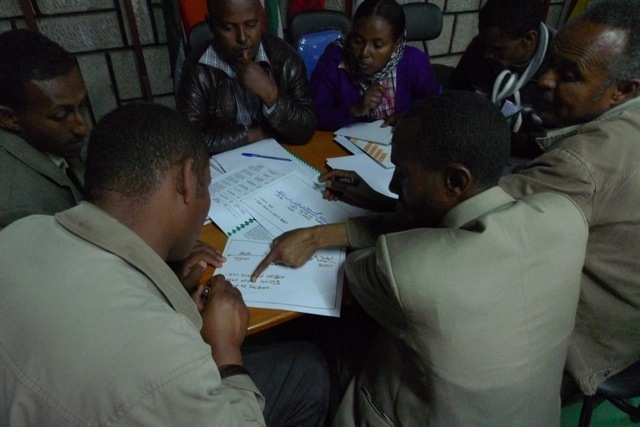 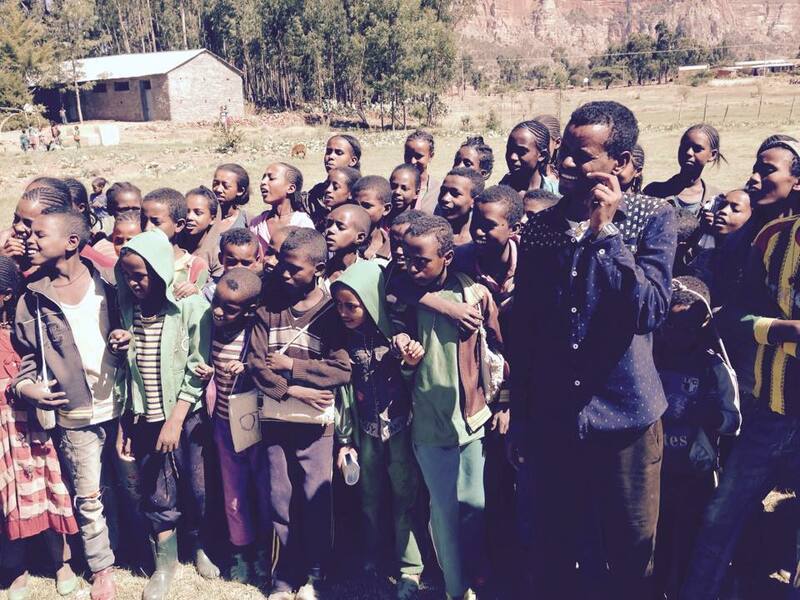 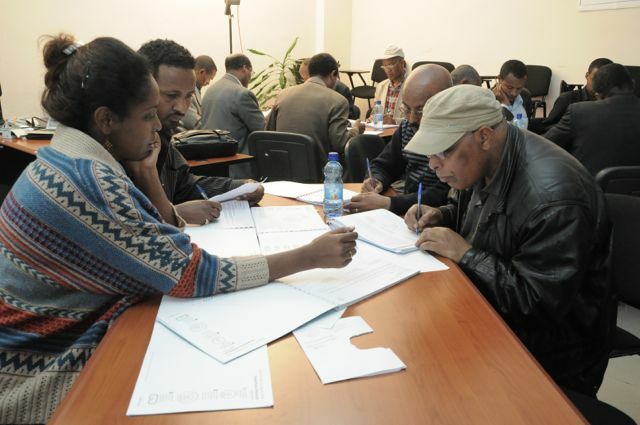 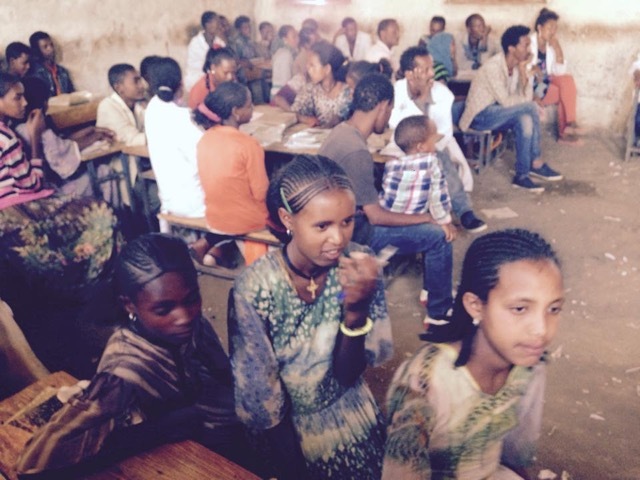 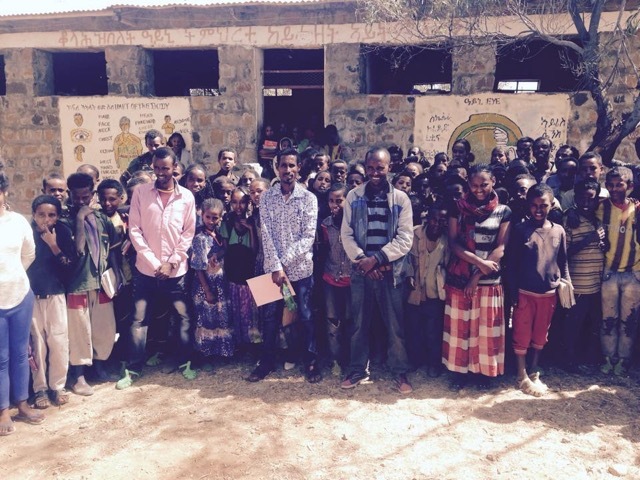 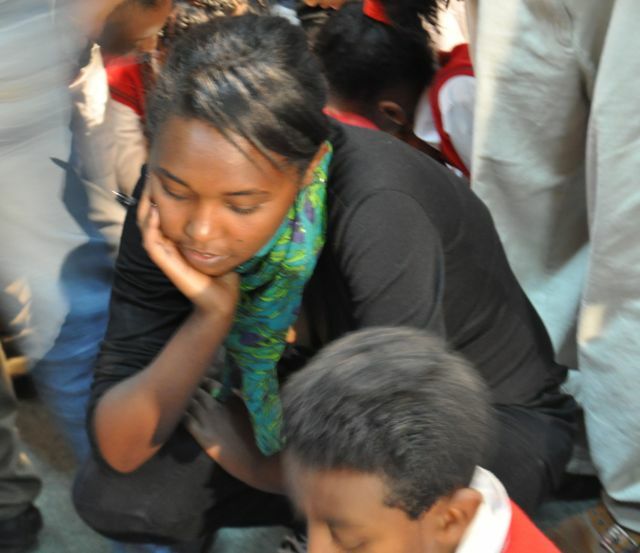 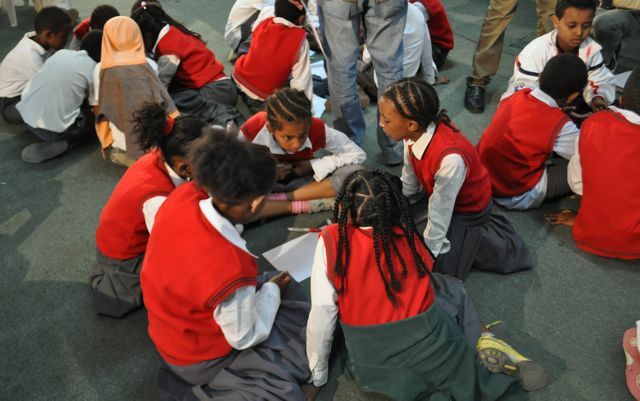 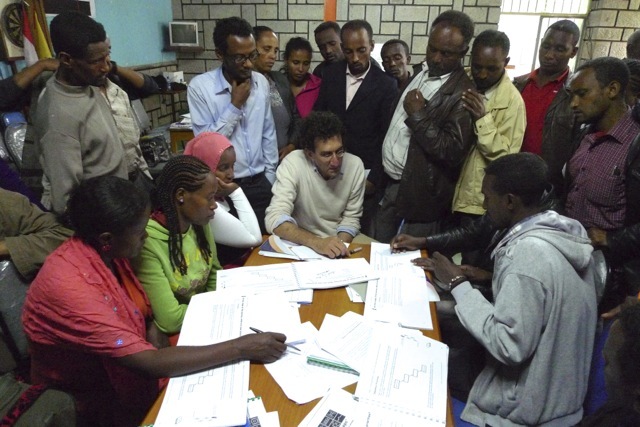 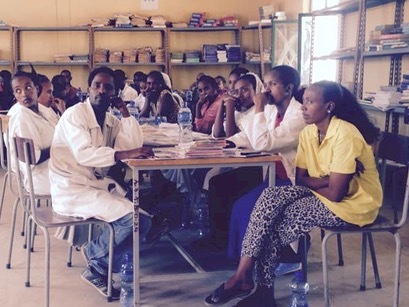 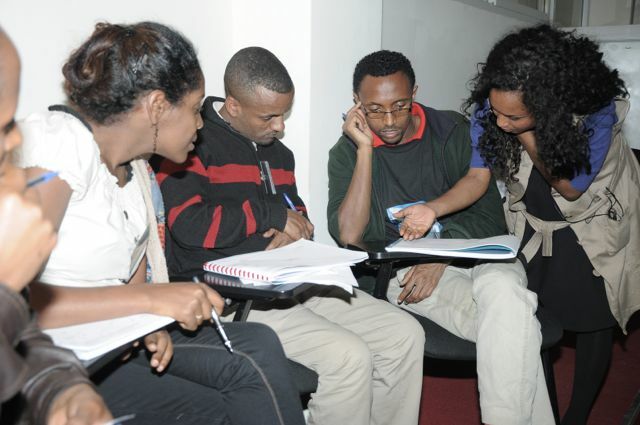 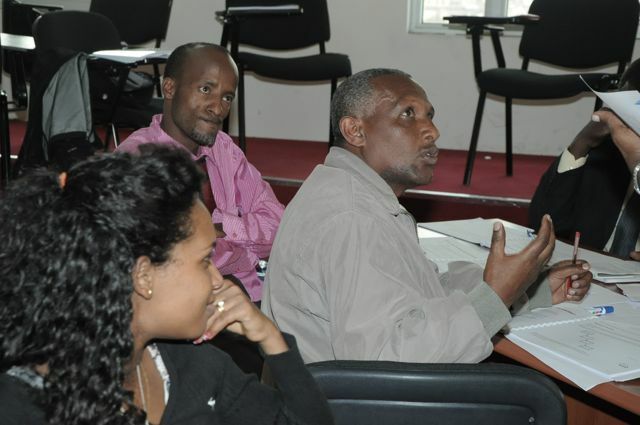 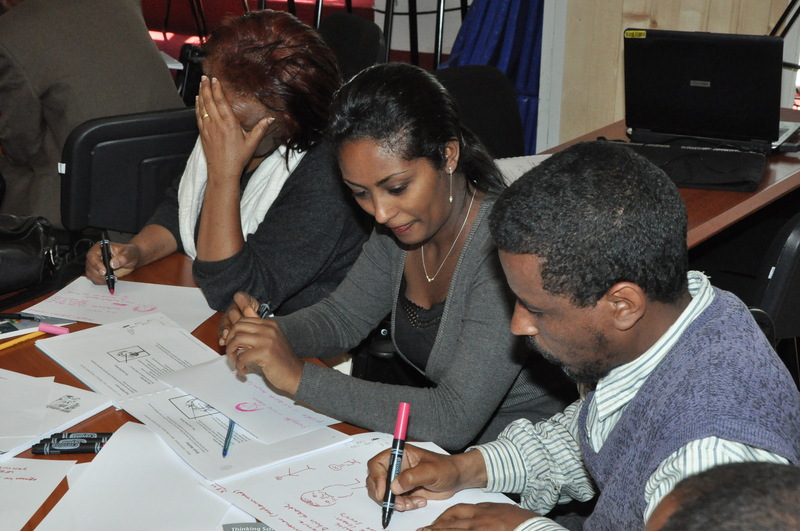 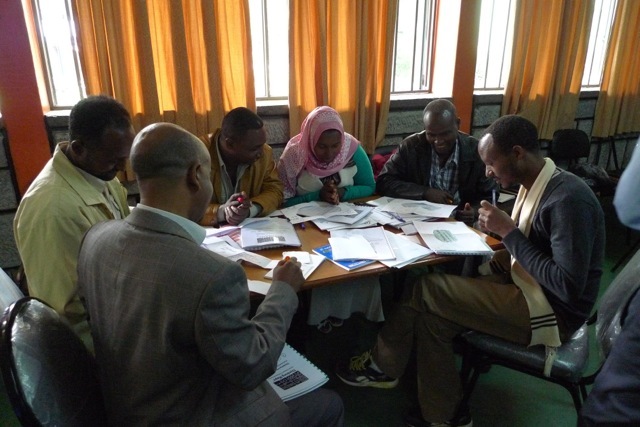 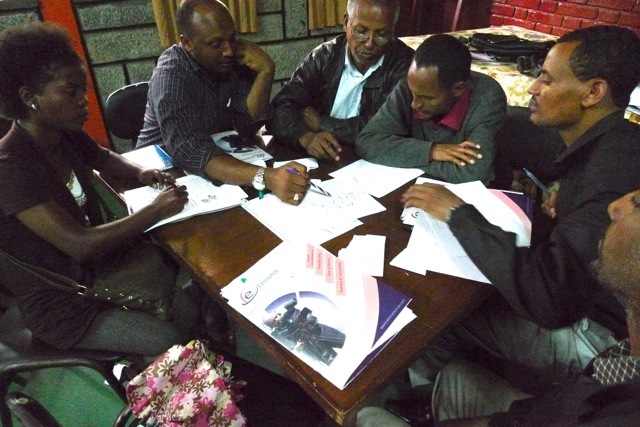 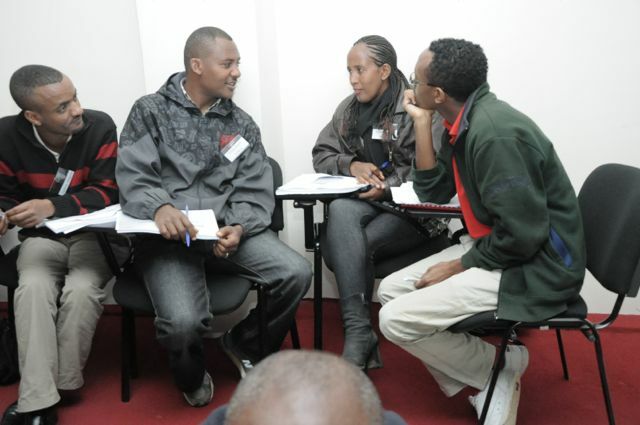 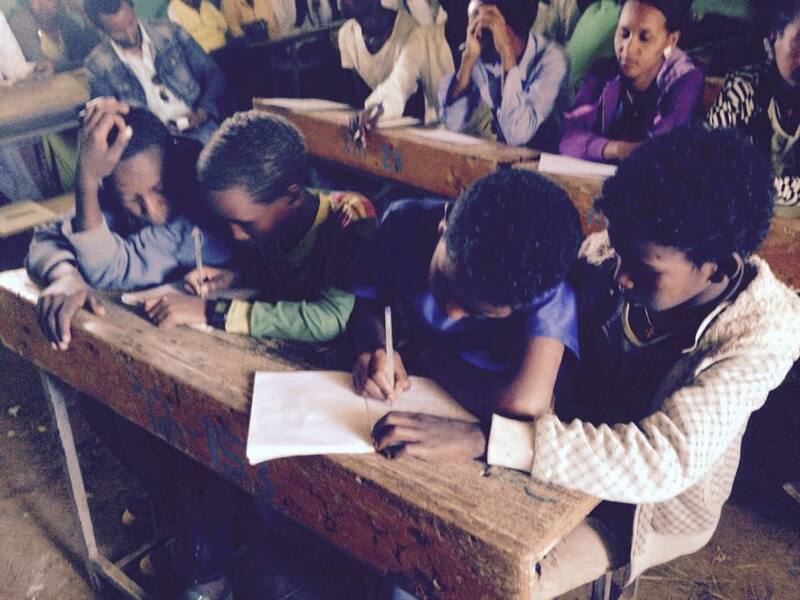 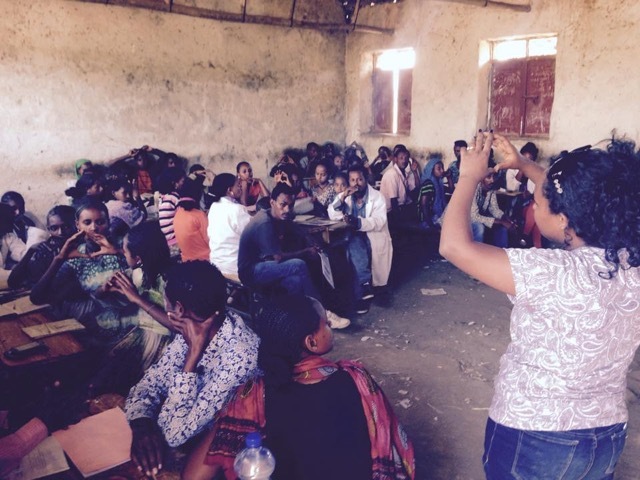 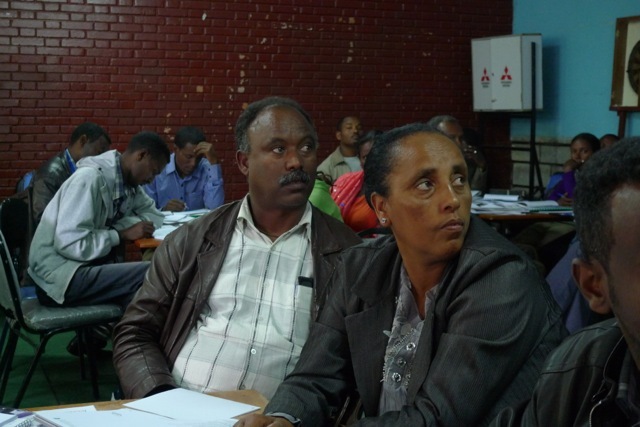 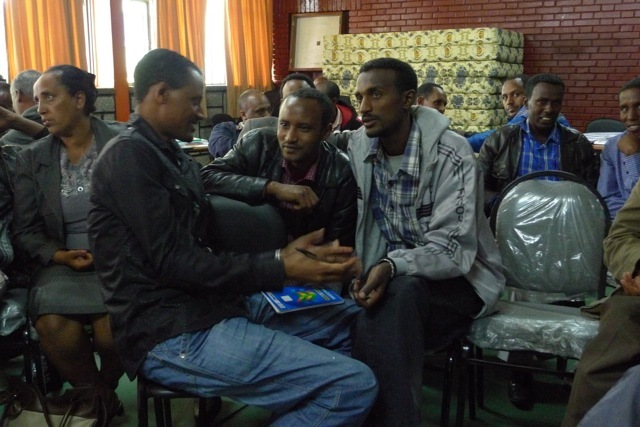 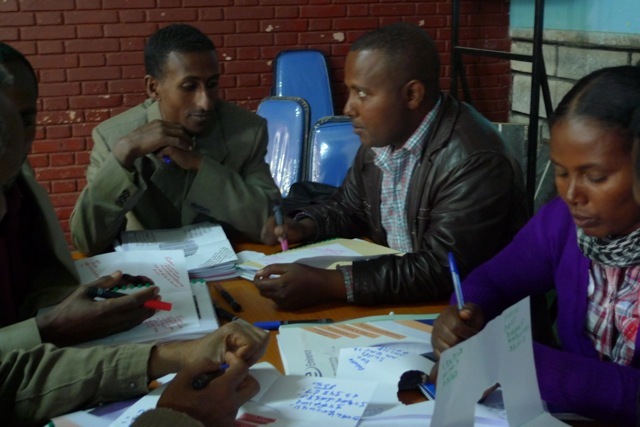 Currently, TSE is working on a selection of 30 schools within Addis Ababa that will participate in the pilot training after which plans forecast summer/ long school break/ teacher training project and an Education Conference. 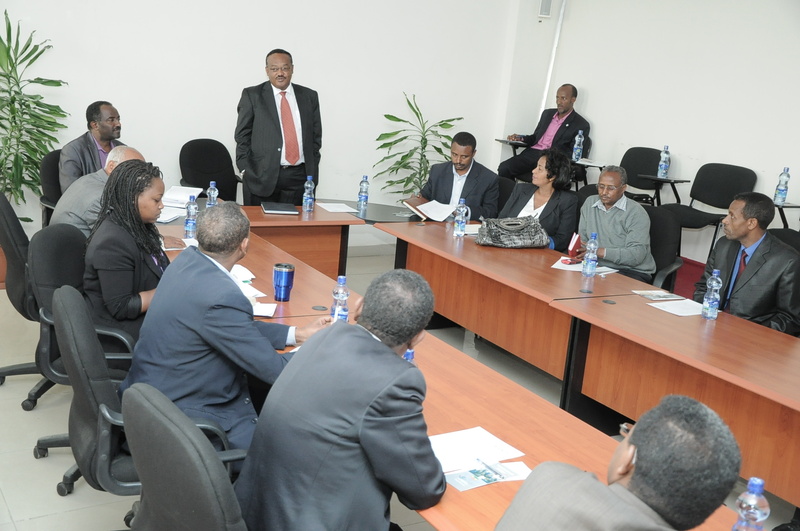 Most importantly, he also added that TSE will consider learning among special needs students as well. 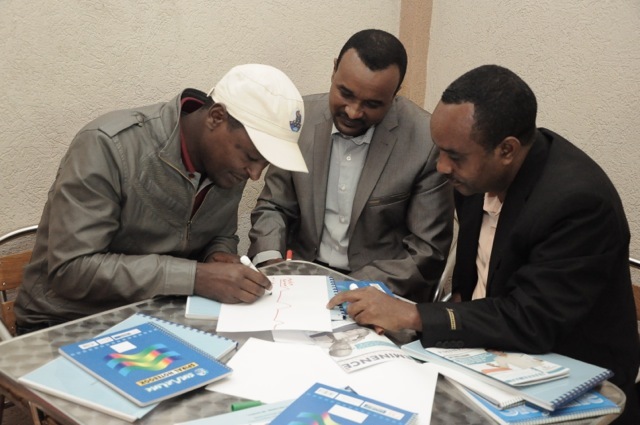 In the discussions that followed, Ato Dilamo Otore (Addis Ababa Education Bureau) thanked Eminence for taking the initiative to partner with TSI in the creation of TSE. 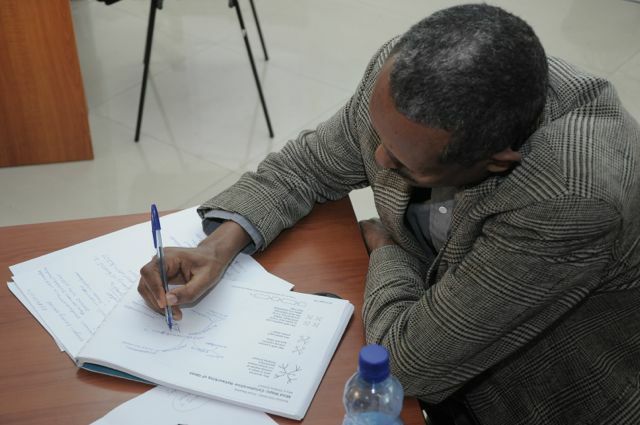 He disclosed the teaching-learning approach changes that have been made available for government schools, adding that a number of trainings have been given to teachers. 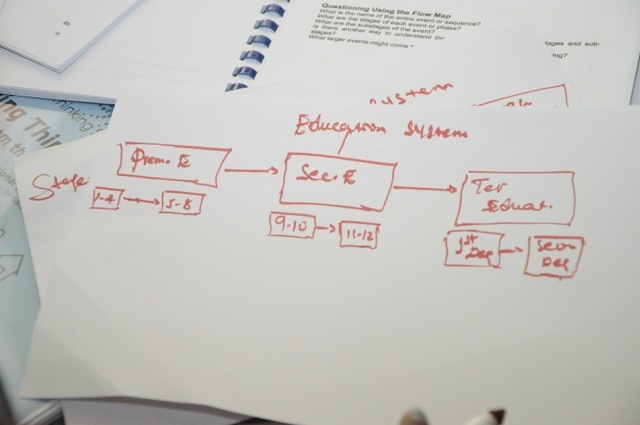 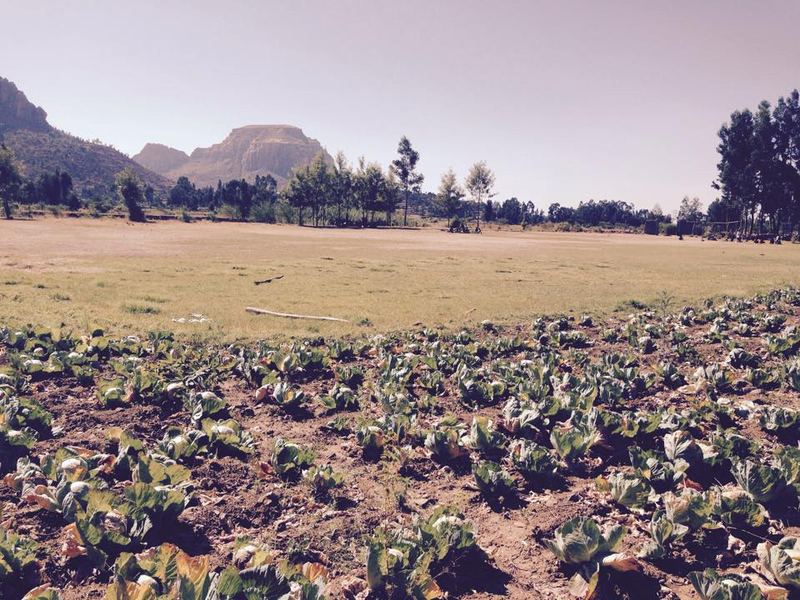 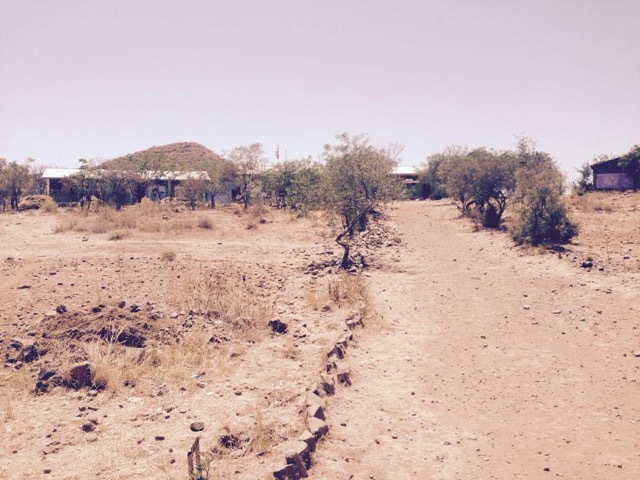 This however did not guarantee immediate positive outcomes, and hence TSE would serve as a medium to assist in filling the gaps still troubling the system. 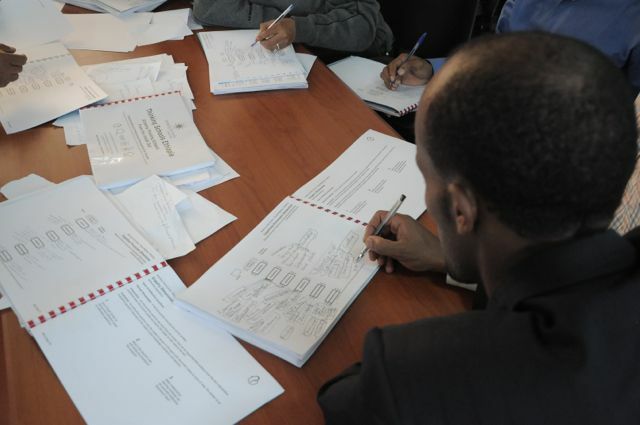 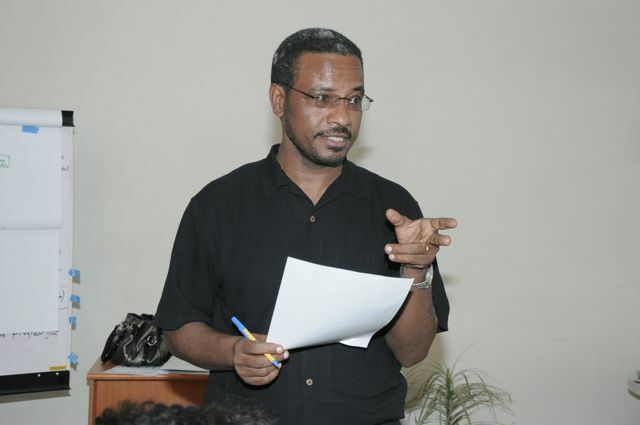 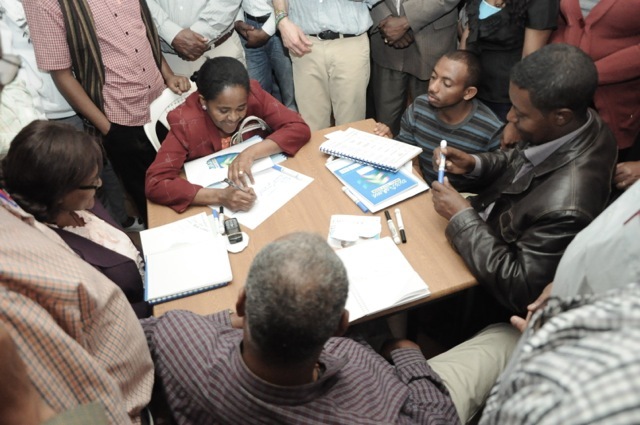 As part of the notable success in the new government undertaking, Ato Dilamo said that students are engaged in a group-thinking and working approach that is used both in and out of the classroom. 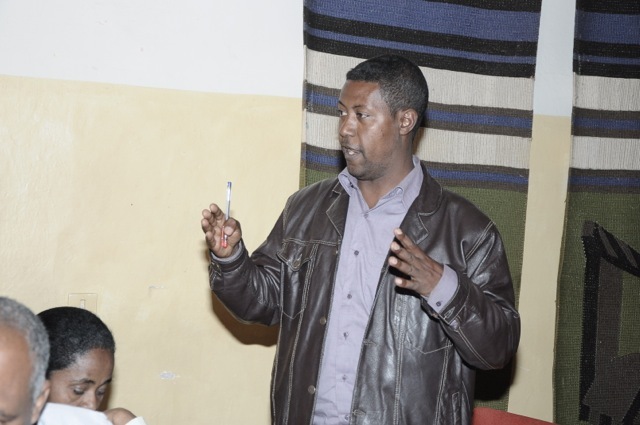 He also pledged support to TSE throughout the coming endeavors and said that starting with leadership being key, the initial spark had been ignited through the diverse pool of decision makers that were present at the workshop. 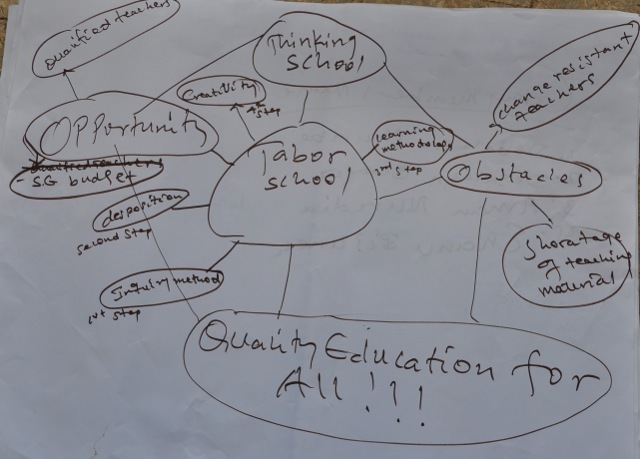 UNESCO-IICBA, Program Officer, Dr. Awol shared what he understood as immediate and long term benefits of incorporating Thinking Schools approaches locally, he outlined the disadvantages that come with what he called ‘competition vs. cooperation’ trends that dominate local school setups. 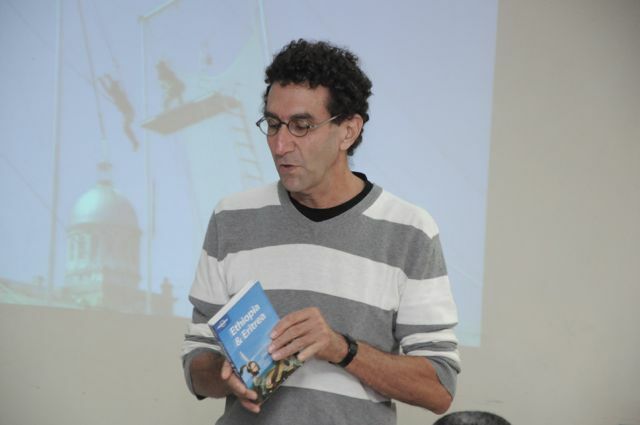 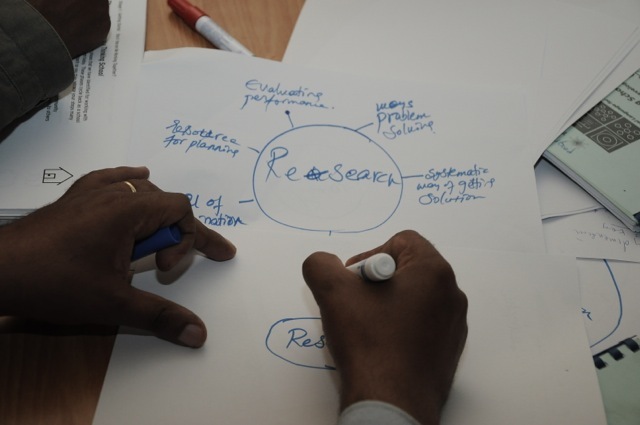 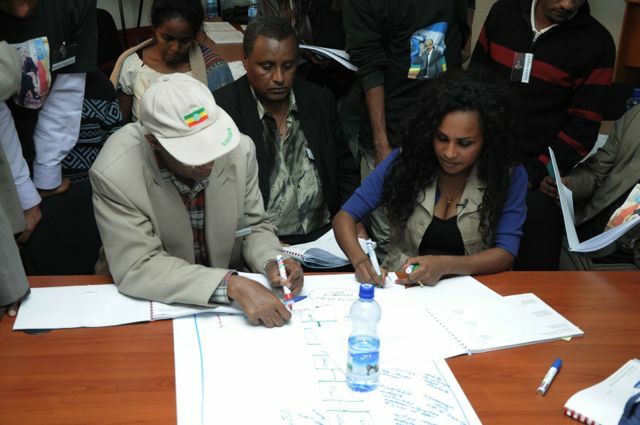 Further, he stressed the need to build a common understanding around ‘ideas that matter’. 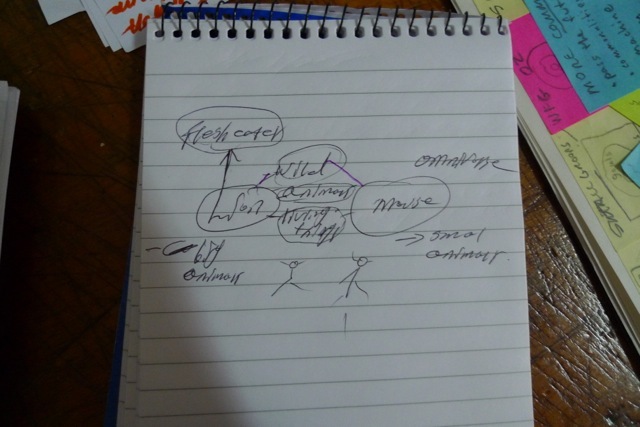 In so doing he noted, diversity, cooperation, value(s), changing roles due to clear understanding and sharing of knowledge, etc would become more integrated and practiced in individual, human to human, human to environment and even national relations. 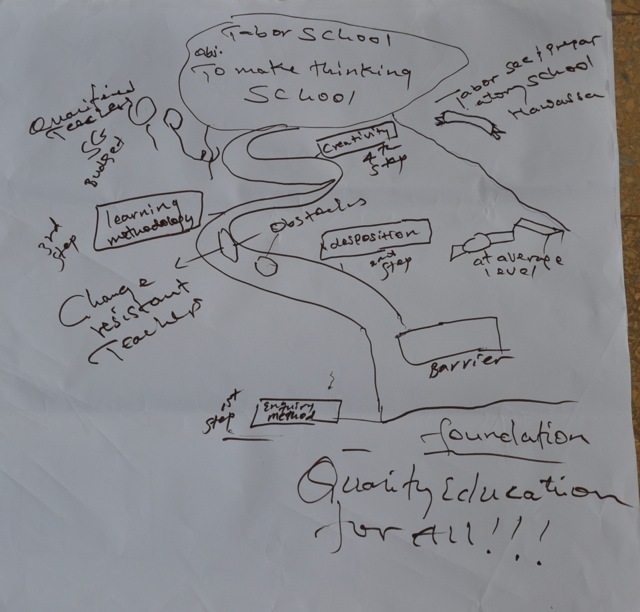 He also expressed contentment over the evolution of TSE, initially having focused on private schools, but now, the outreach having been extended to government schools. 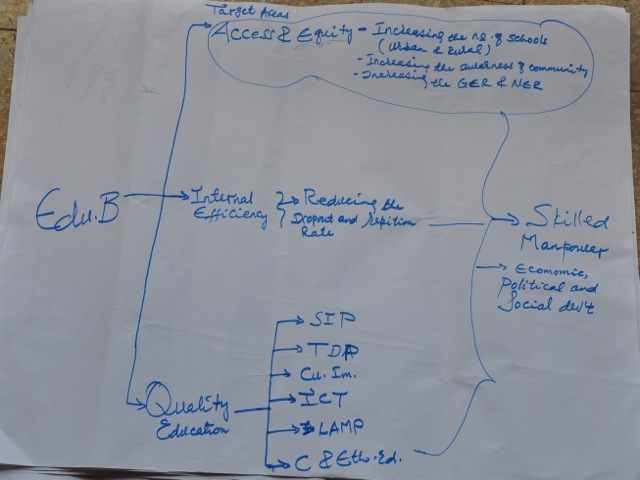 In the end, concerns about coverage and ensured practical applications were raised for which it was responded that TSI experiences for pre and post implementation monitoring and evaluation would be used as lessons for implementing TSE. 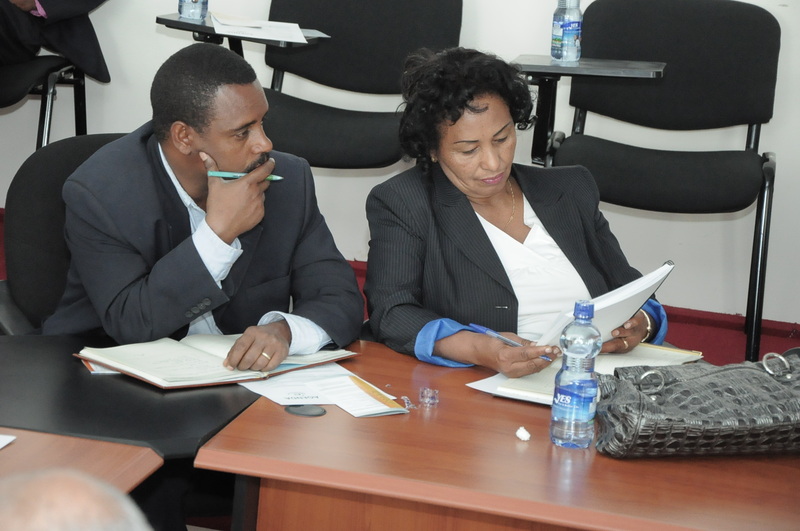 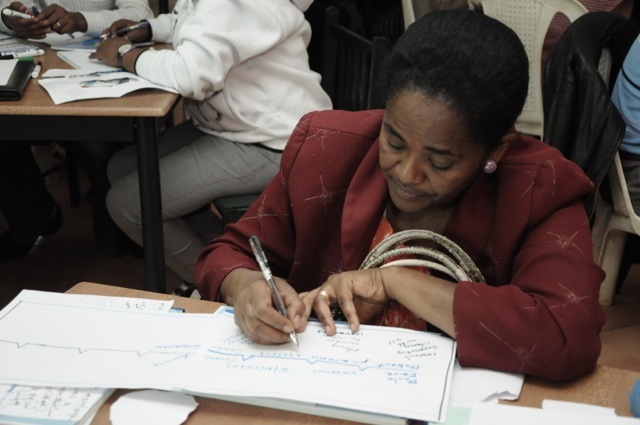 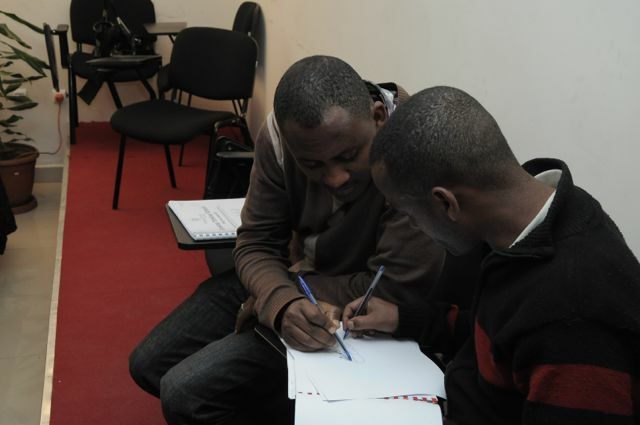 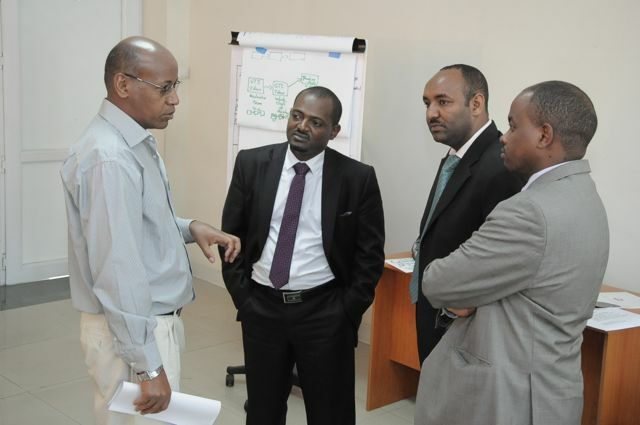 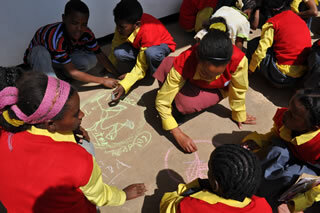 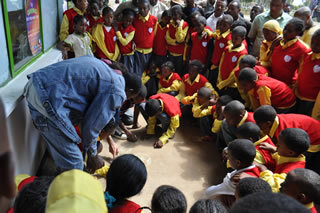 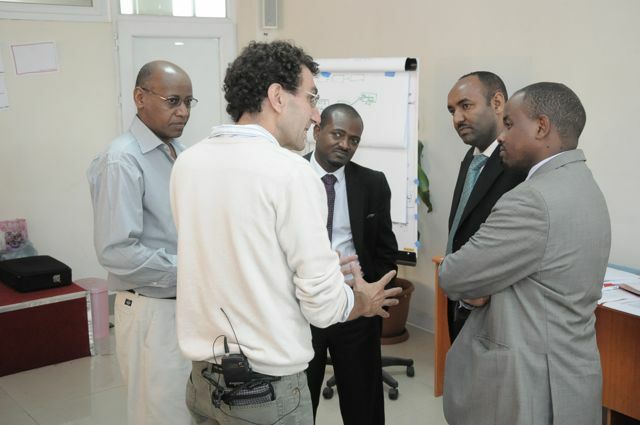 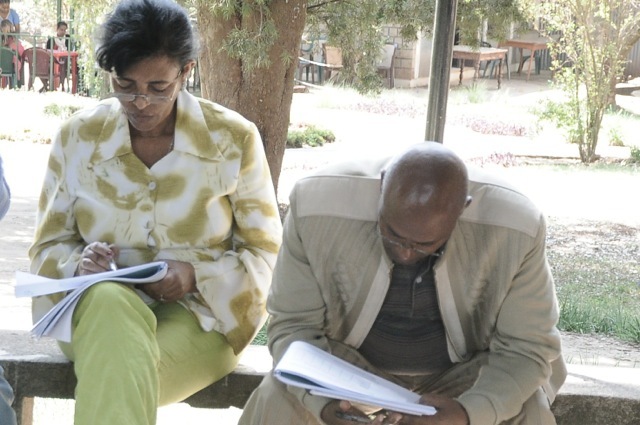 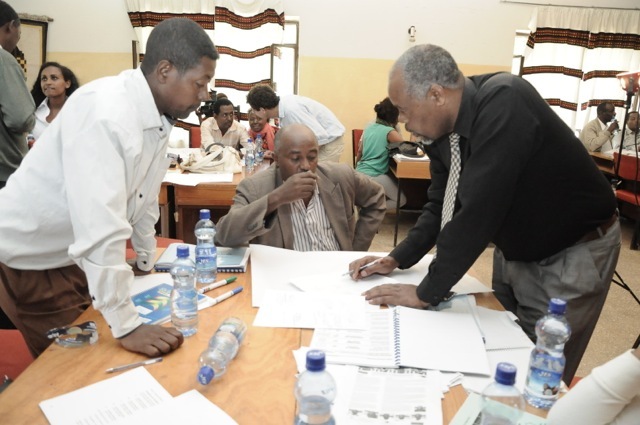 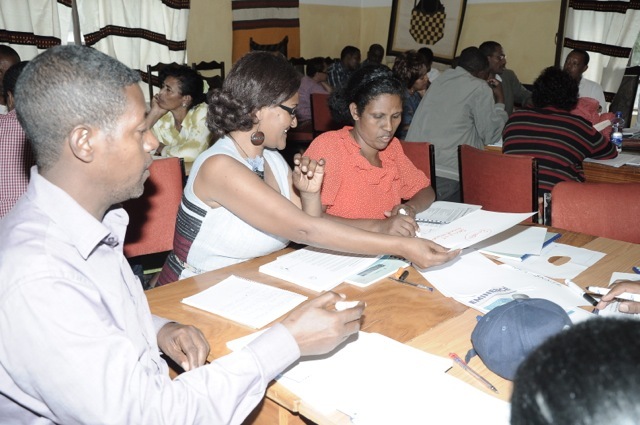 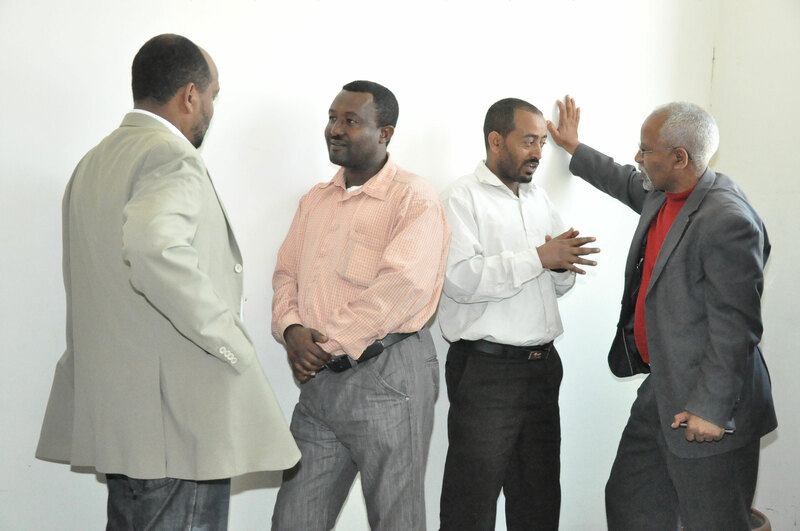 For instance, select ‘best’ teachers would be identified for training with the leadership team. 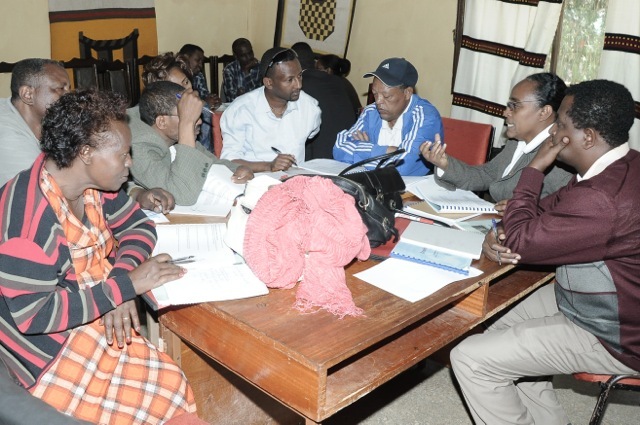 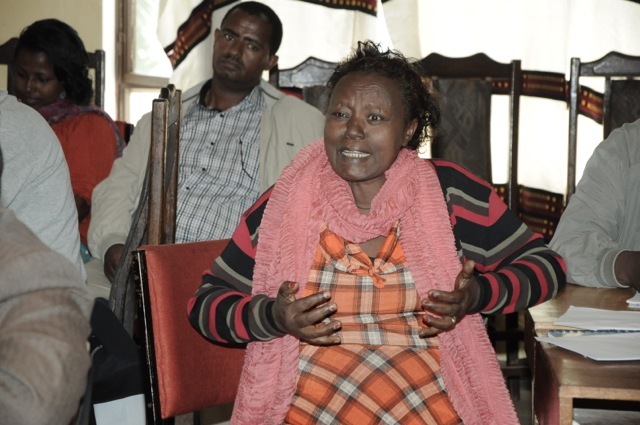 These teachers would in turn be expected to train and also monitor implementation so that each school would have in-house expertise as opposed to external periodic supervision and monitoring. 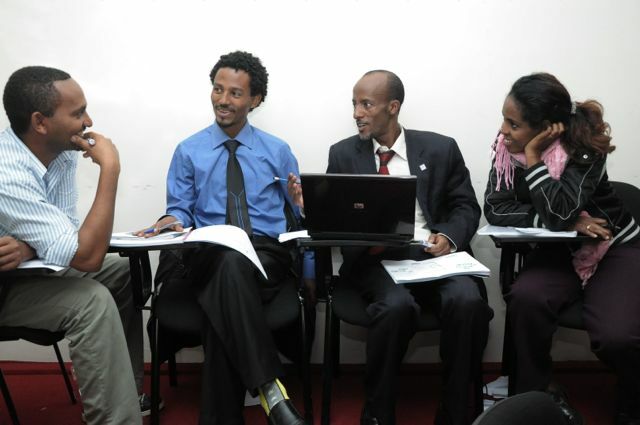 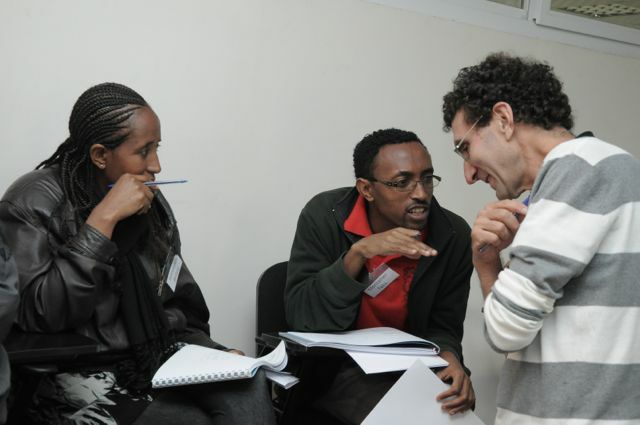 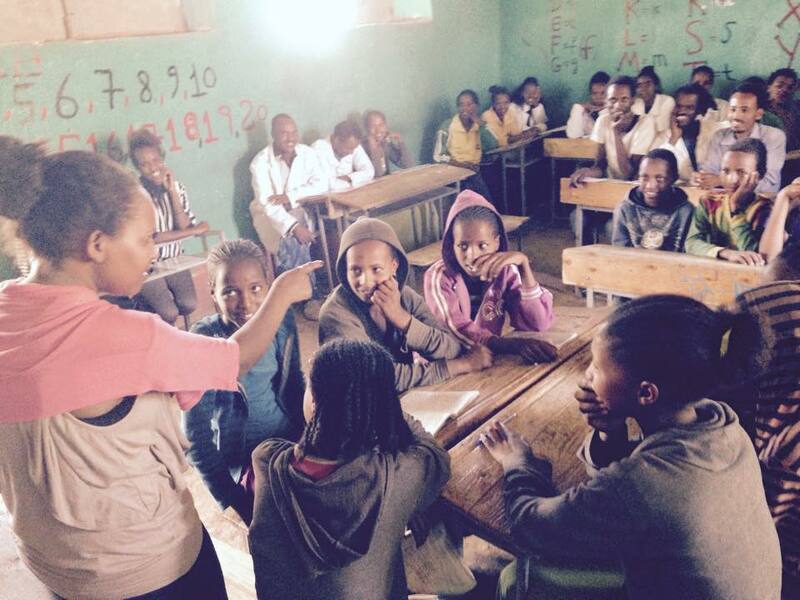 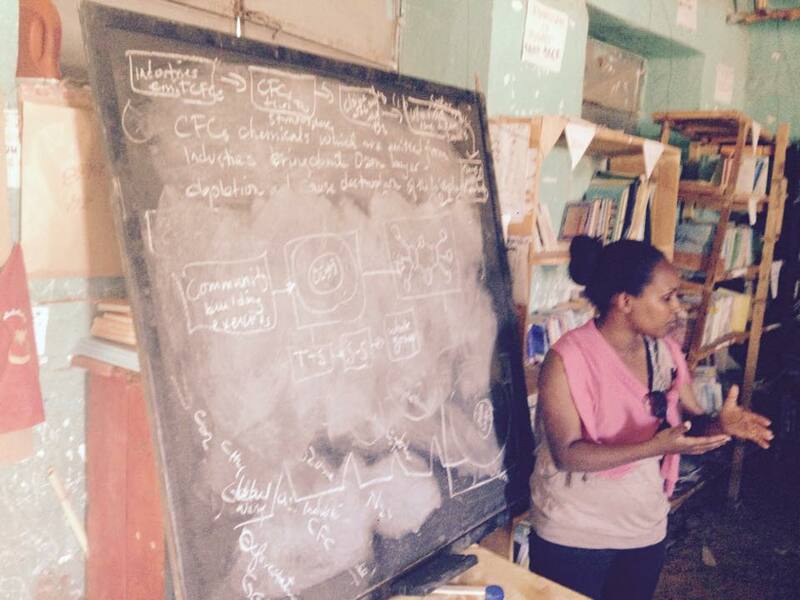 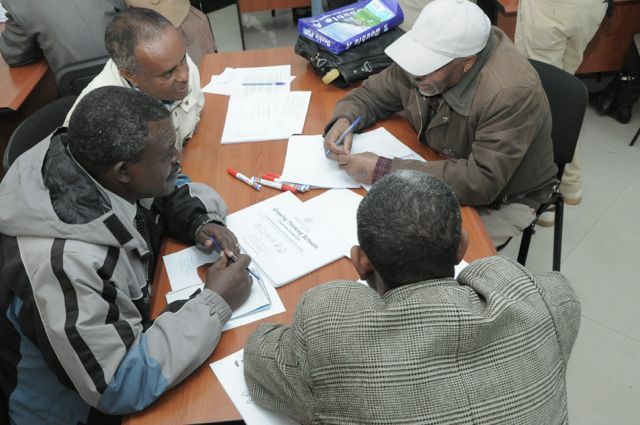 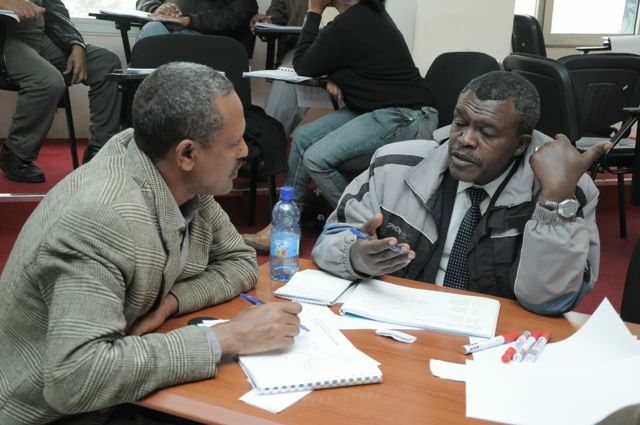 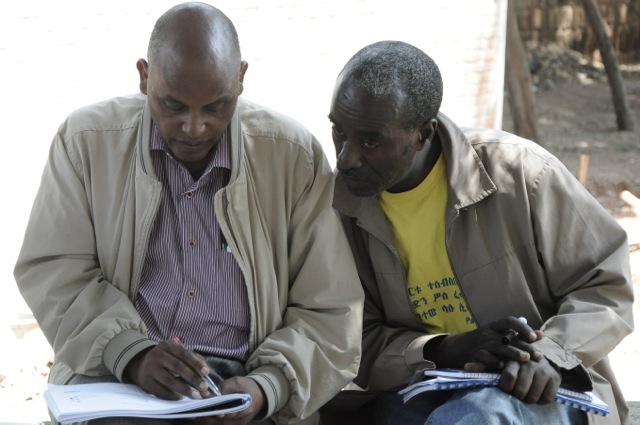 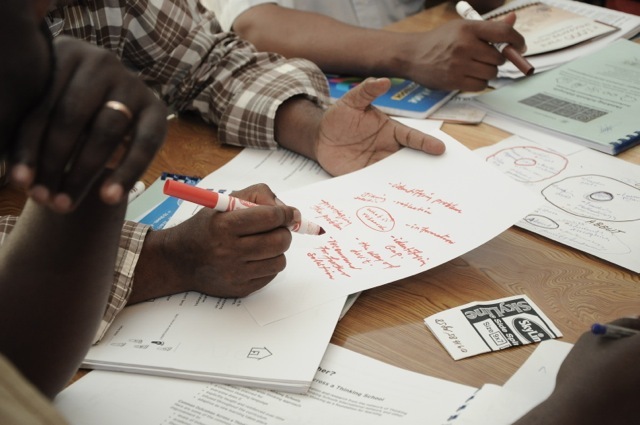 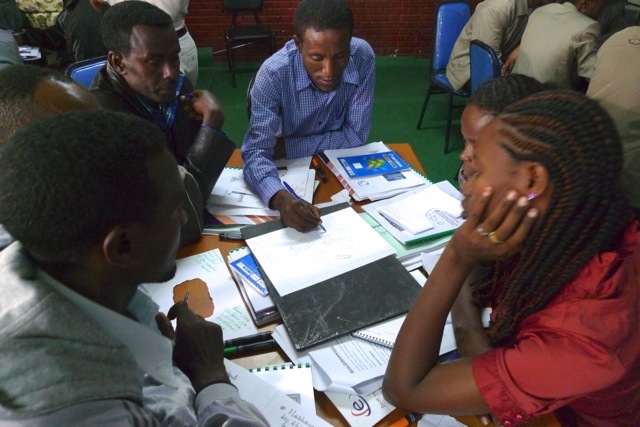 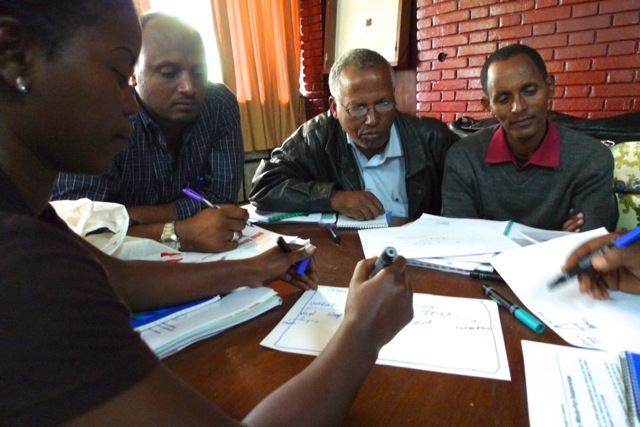 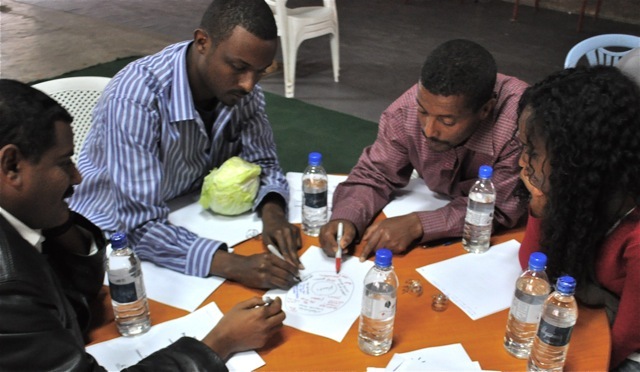 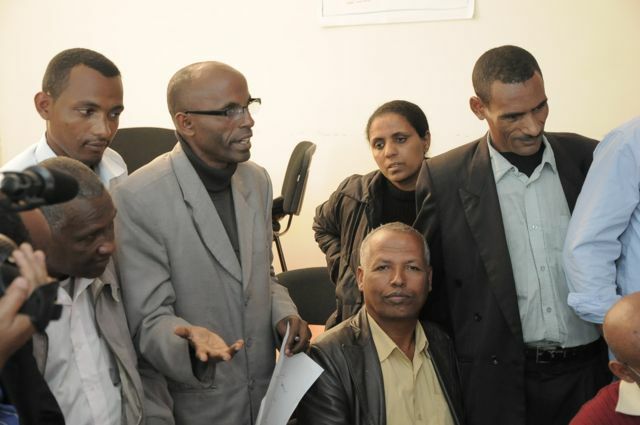 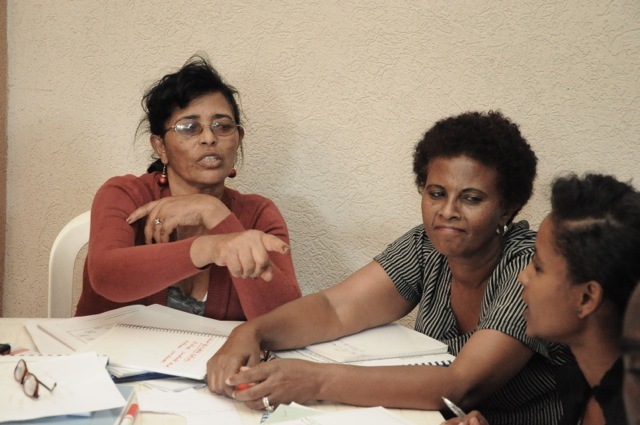 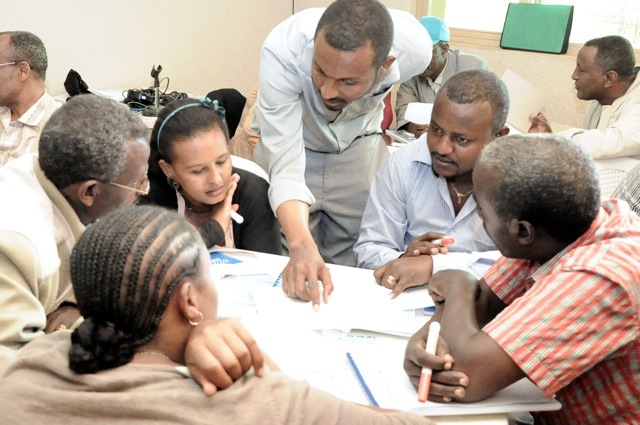 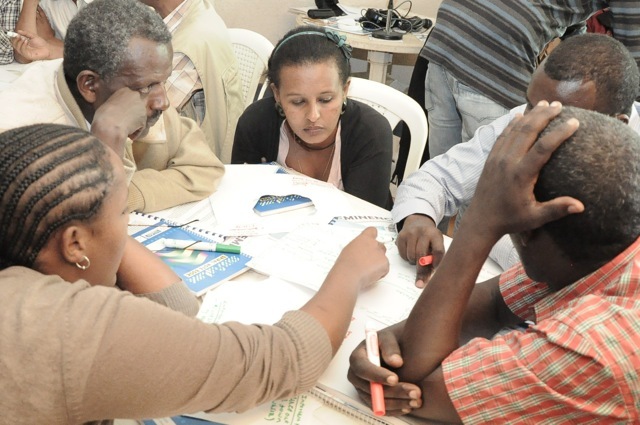 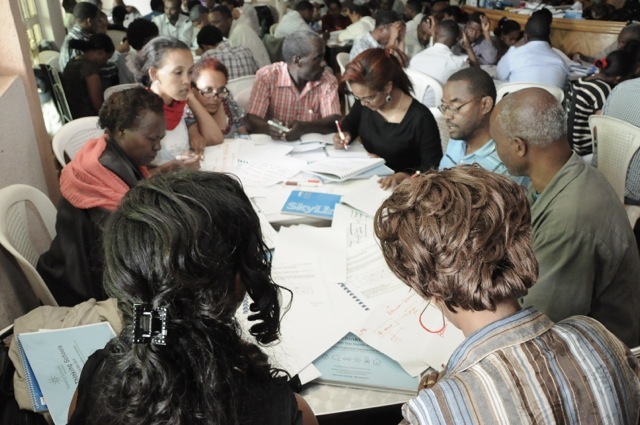 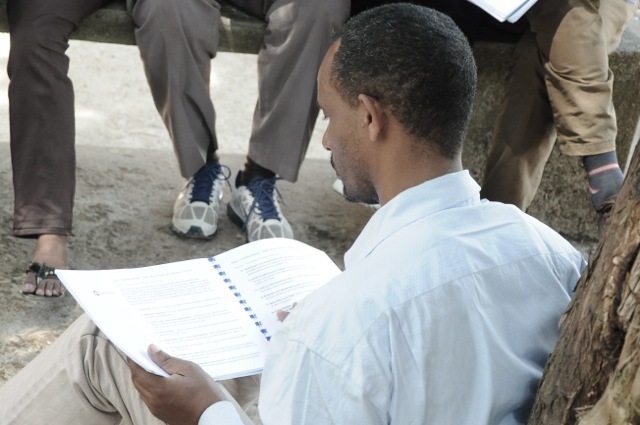 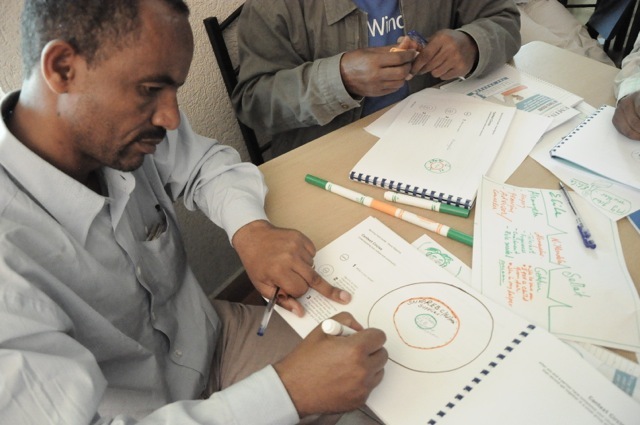 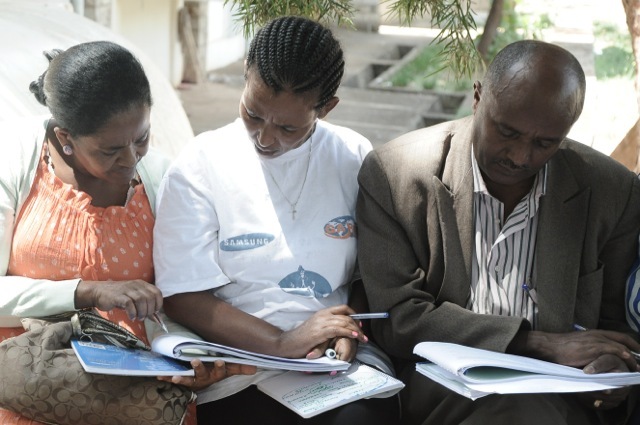 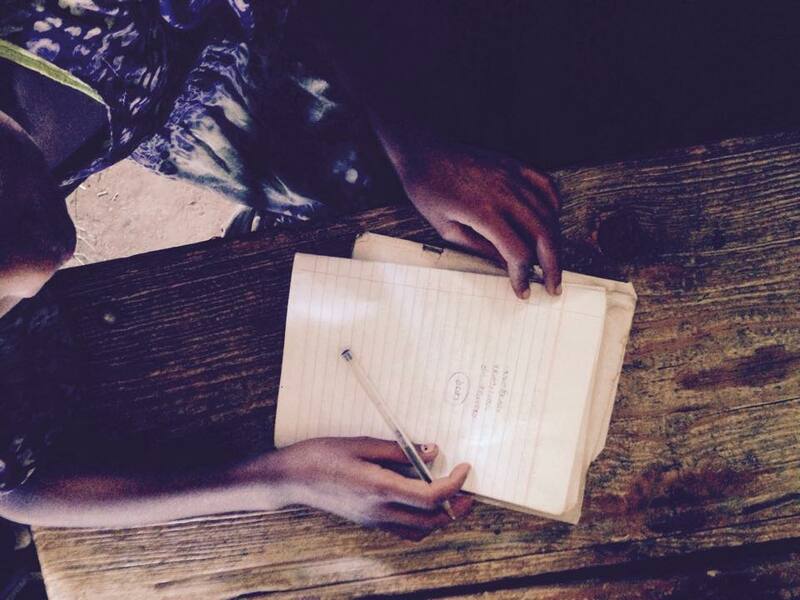 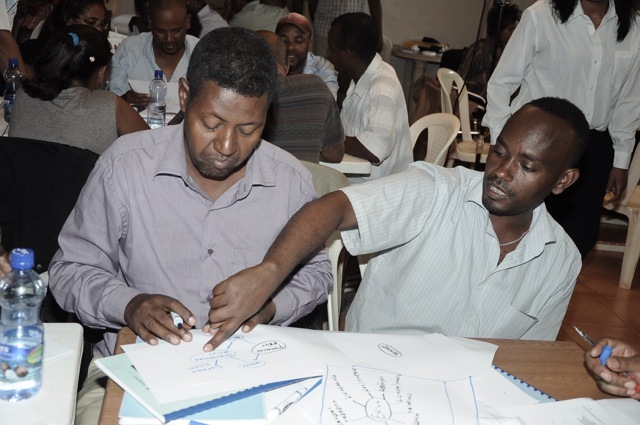 School leadership-teacher trainers-curriculum developers- teachers-students have been the foundation of the education system in Ethiopia. 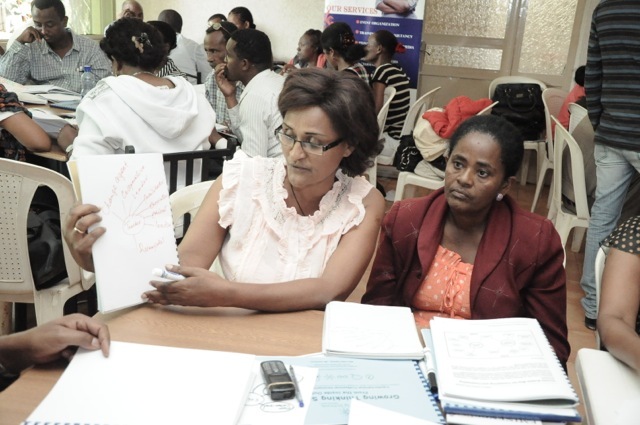 Using this as a guiding framework, training would be conducted by TSE to ensure all of the stakeholders understand and own the program and this would include the parents as well. 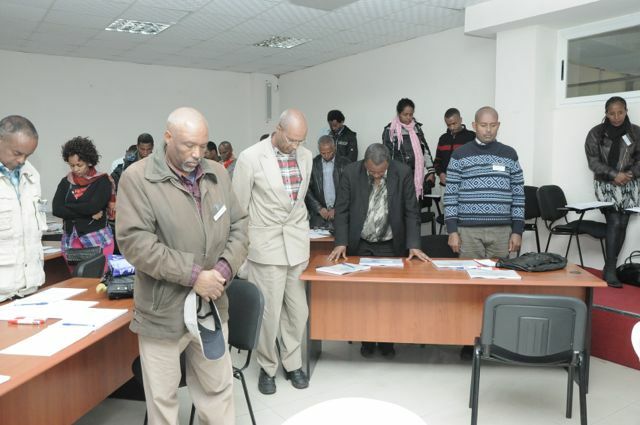 In the closing, Dr. Awol and Ato Dilamo expressed great support and commitment towards TSE and pledged to render support as would be required. 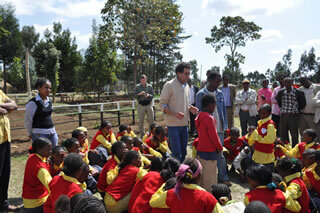 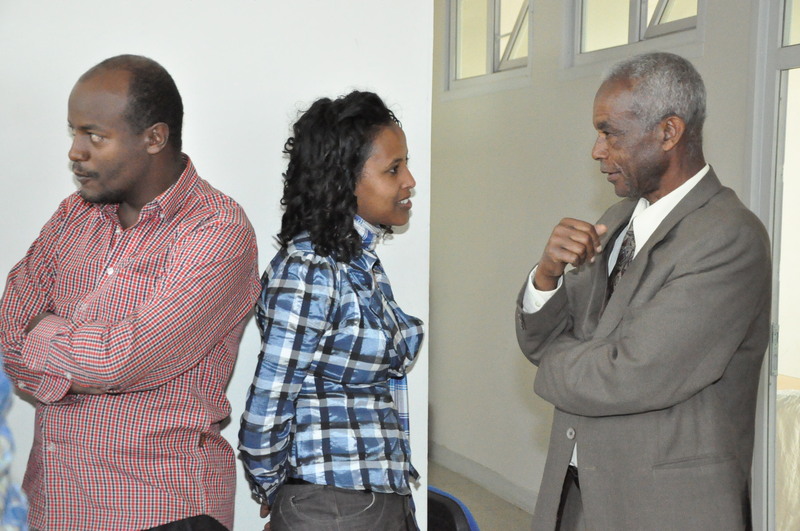 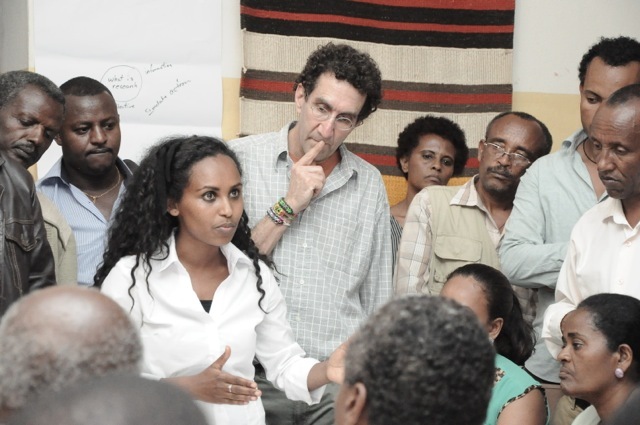 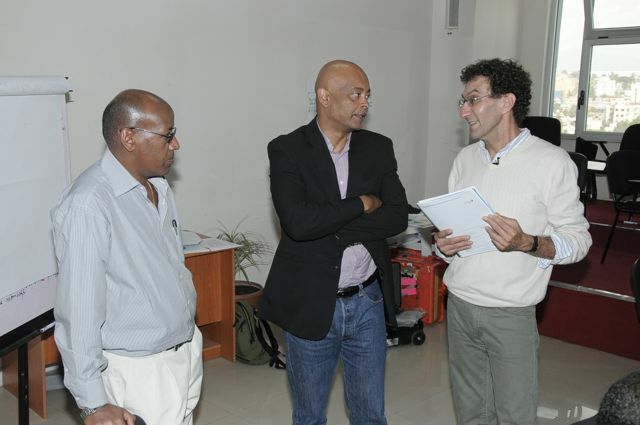 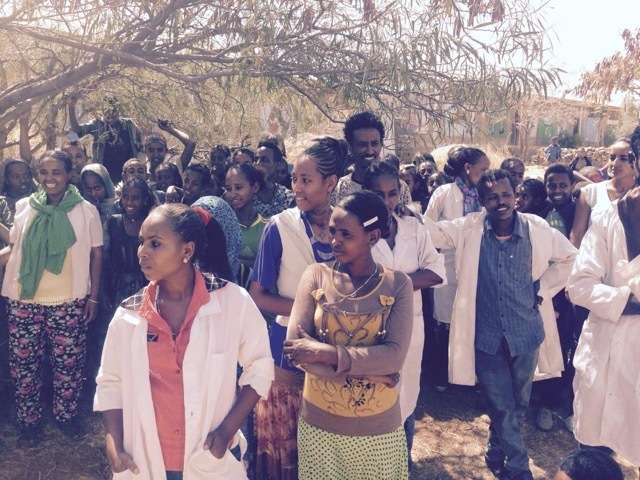 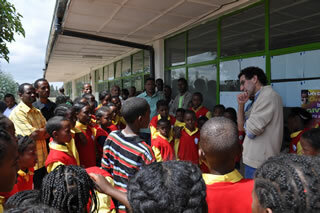 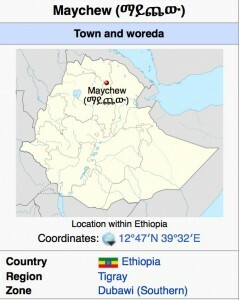 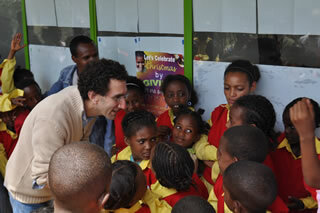 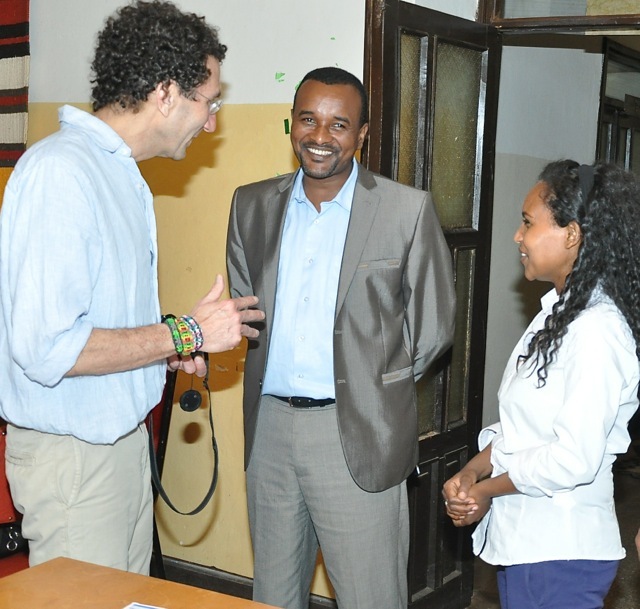 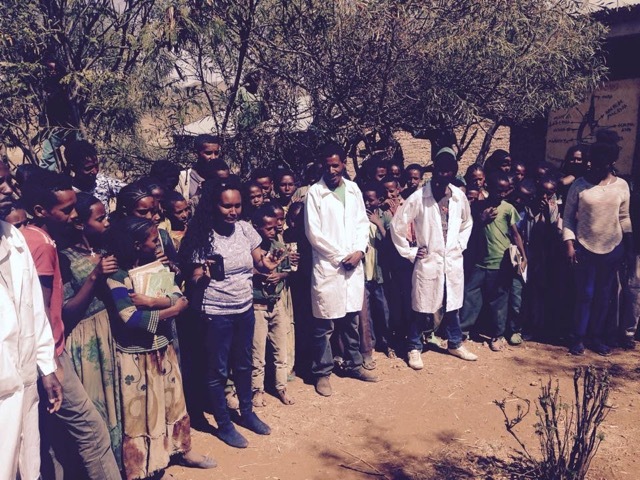 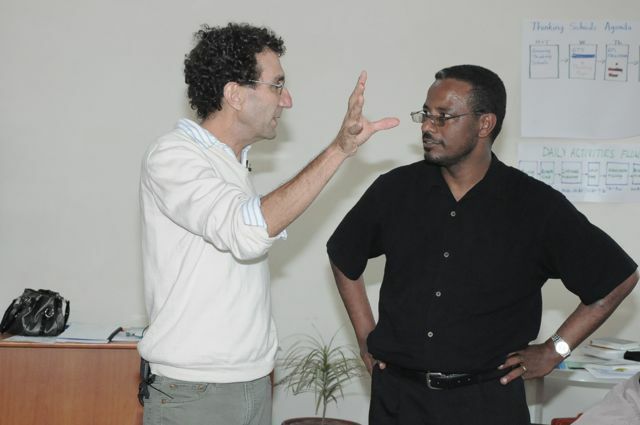 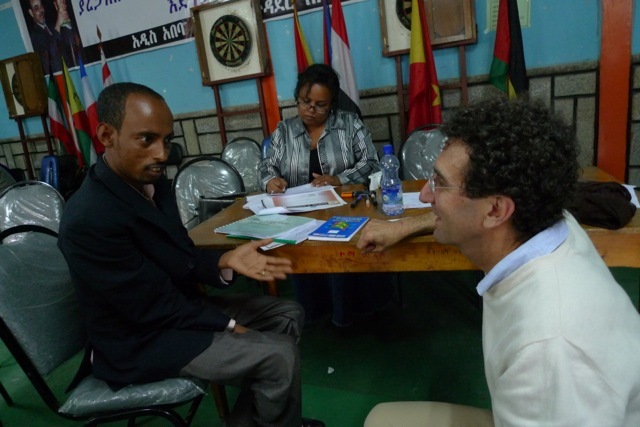 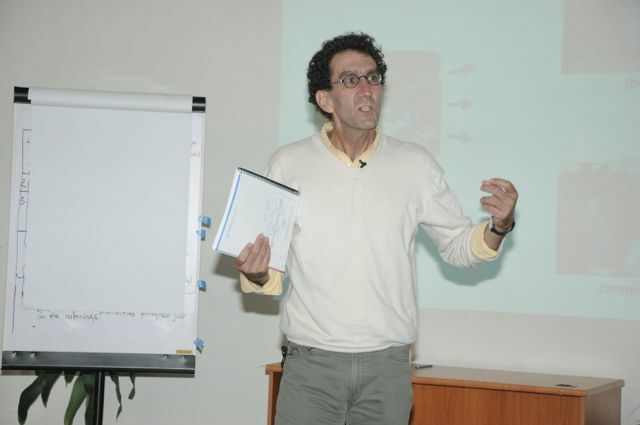 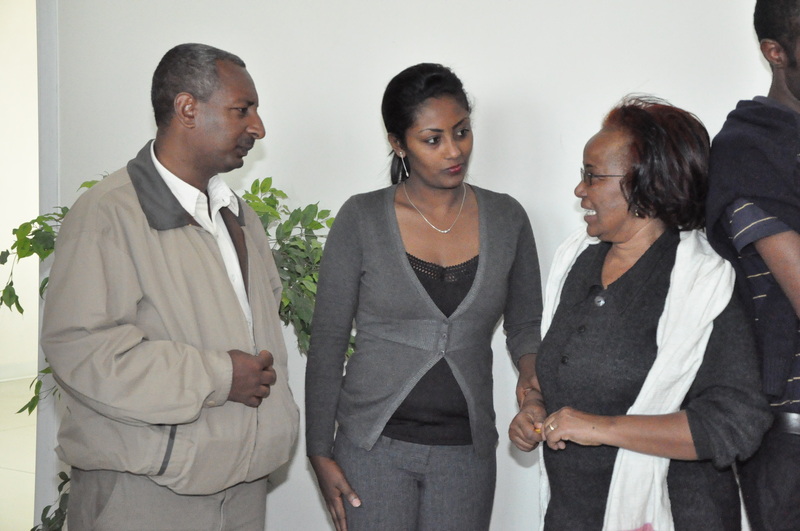 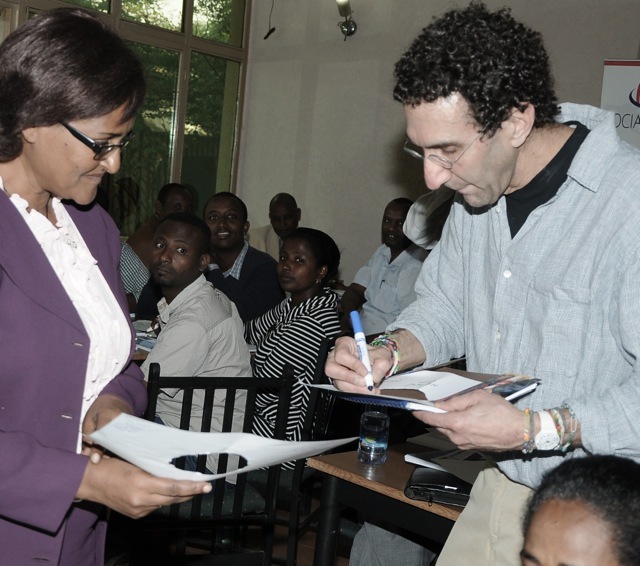 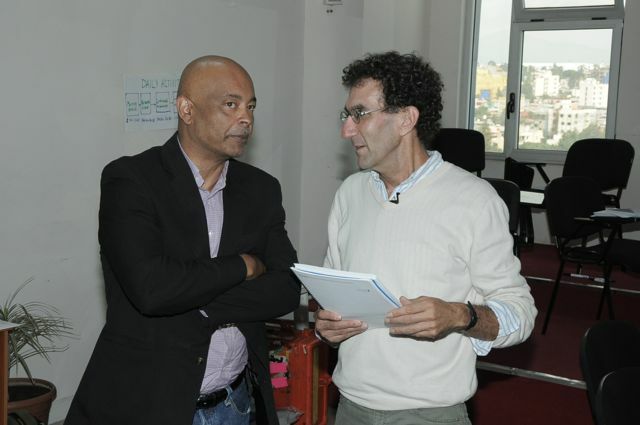 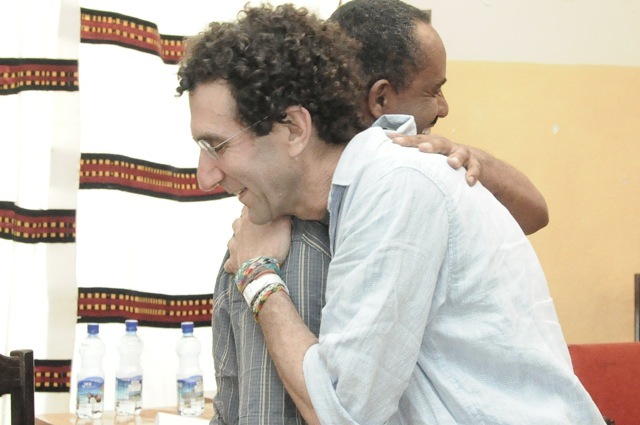 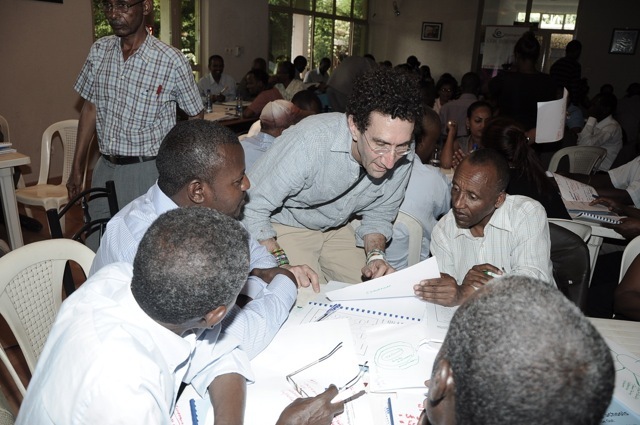 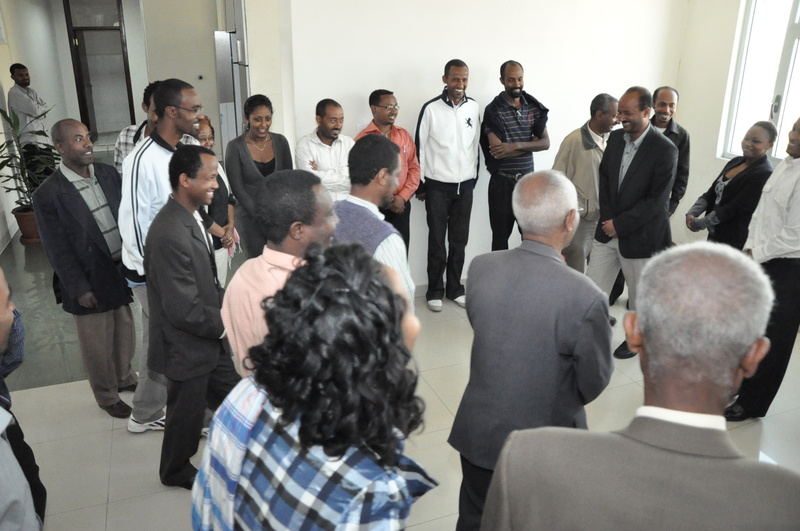 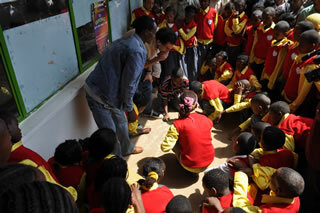 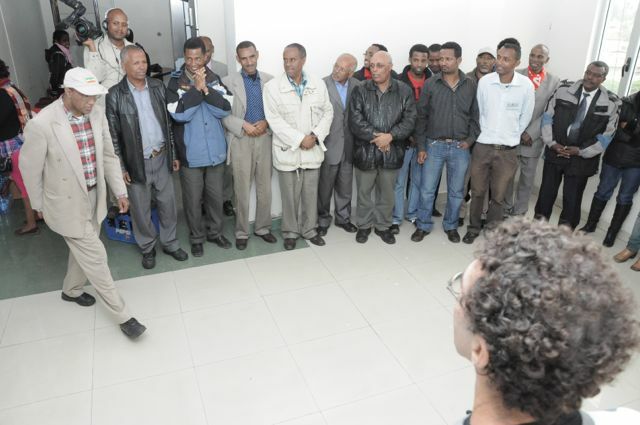 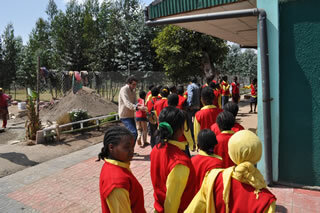 Dr. Hyerle was also thanked and applauded for coming to Ethiopia and sharing his vision for the program. 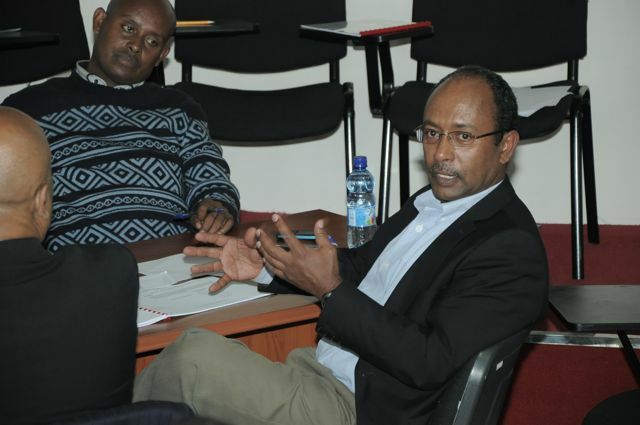 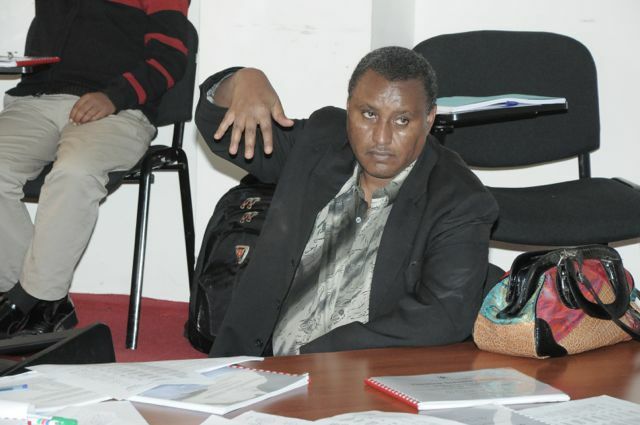 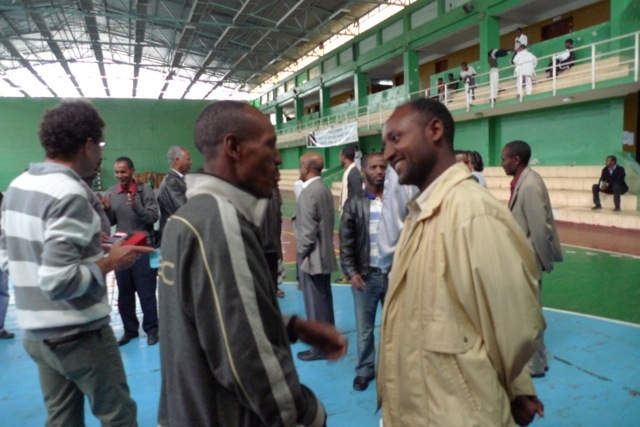 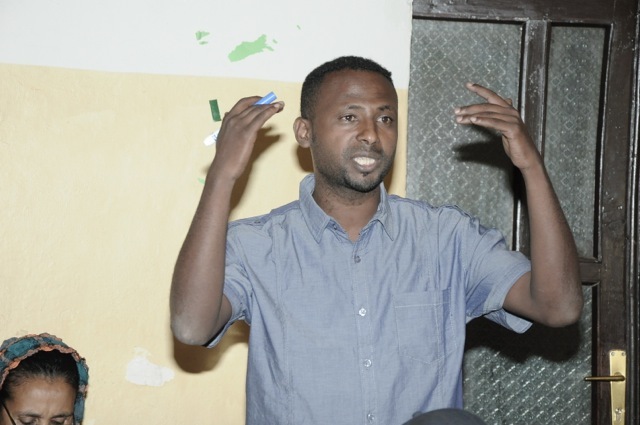 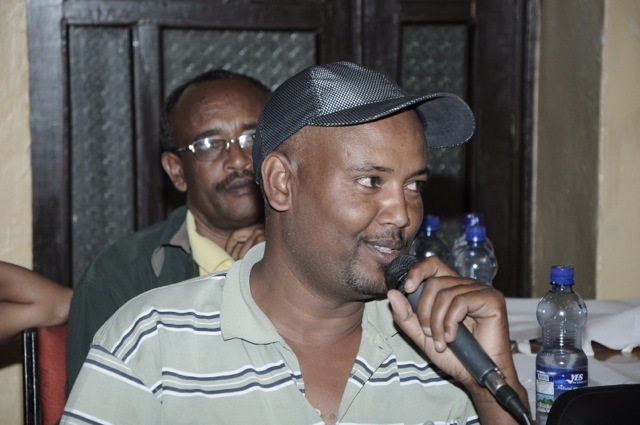 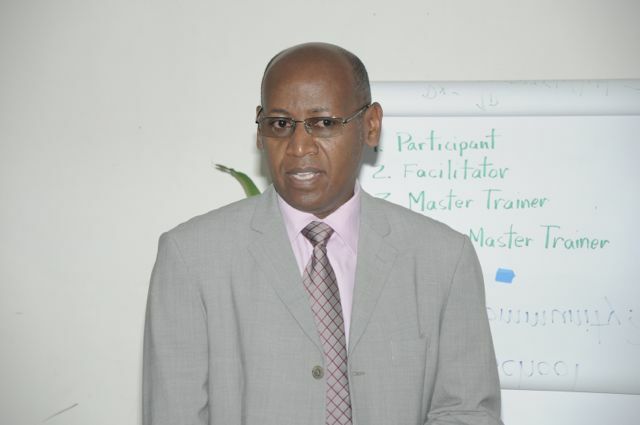 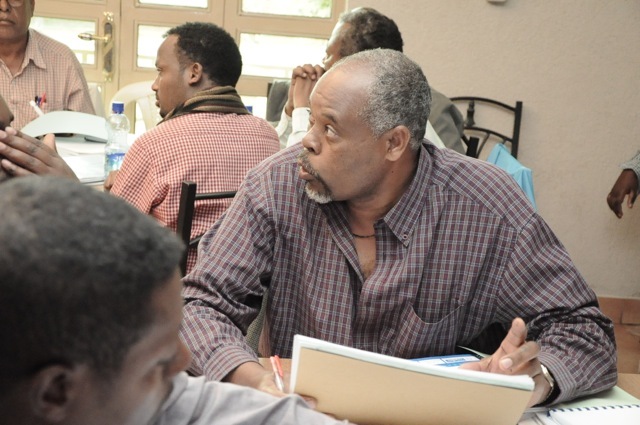 In conclusion, Ato Bereket thanked all of the participants mostly highlighting the support given by Dr. Awol and Ato Dilamo in collaborating the presence of the experts at the workshop. 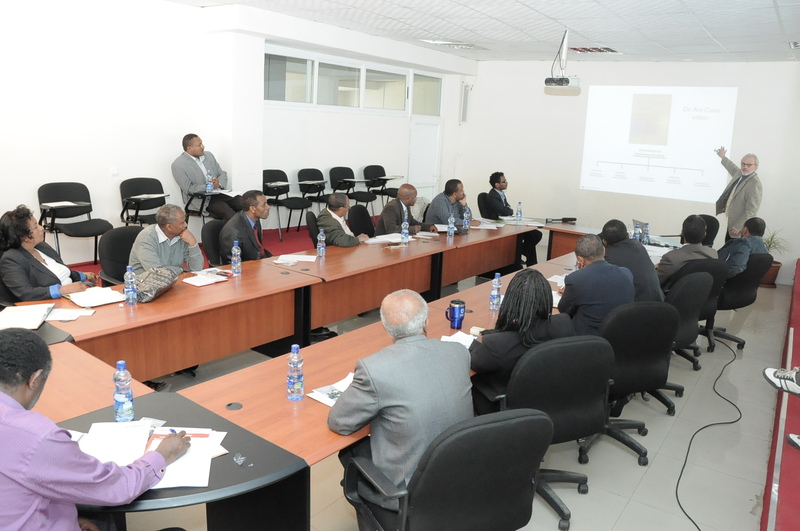 The workshop was attended by delegates from several sub city education bureaus, AAEB, Save the Children Norway, UNICEF, IICBA-UNESCO.